Catalog Last Updated: 04/18/19 269 items. but it can be browsed offline or printed. Info on Terms, Shipping & Help are linked within this document. New York: Harry N. Abrams/Smithsonian, 2001. 1st ed. 176 pages. Hardcover. 0810932784 0-8109-3278-4. 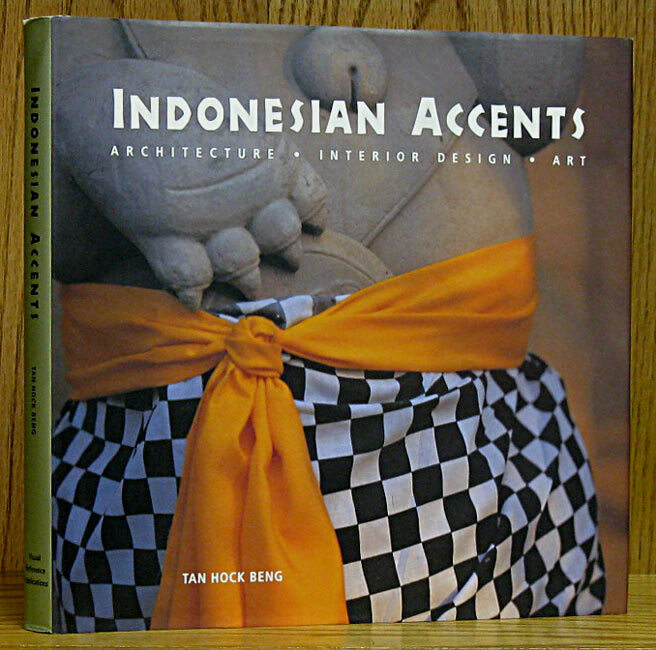 Published in conjunction with the Wright exhibit at Cooper-Hewitt, National Design Museum, Smithsonian Institution November 2001-March 2002. 154 illustrations, 103 in color. New York: Stewart, Tabori & Chang, 1998. 1st ed. 208 pages. Hardcover. 1556708475 1-55670-847-5. 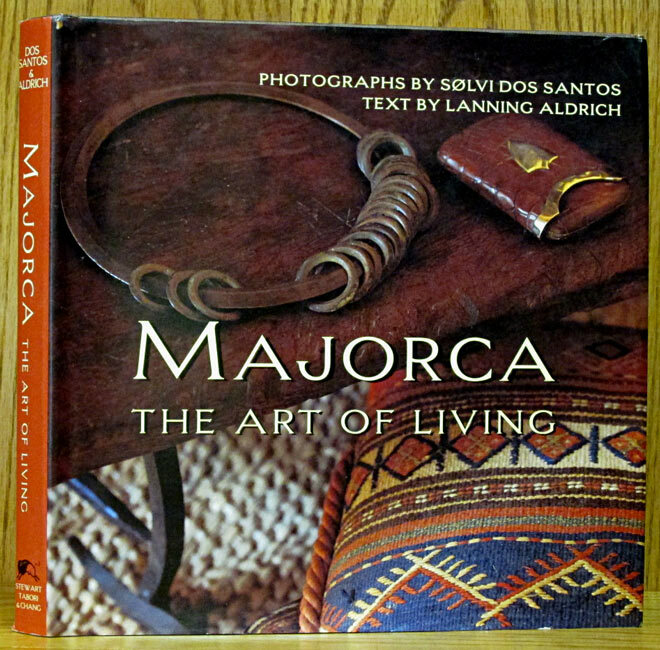 Over 220 color photos bring the invitingly warm, rustic and colorful world of architecture and interior design of the Spanish islands of Majorca, Ibiza, Menorca & Formentera. 10.25 inch square format. New York: American Showcase, 1998. 848 pages. Paperback. 1887165126 1-887165-12-6. Showcase of artists and graphics companies functions as a directory. Thousands of colorful illustrations. Large, heavy book designed with French flaps. New York: Konecky & Konecky, 1998. Reprint. 543 pages. Hardcover. 1568521987 1-56852-198-7. Translated from French by Rosetta Translations. 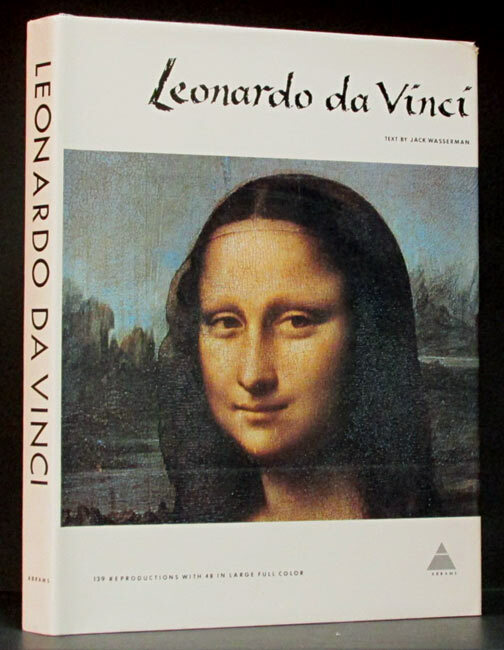 Follows Da Vinci's work in scientific and artistic fields. 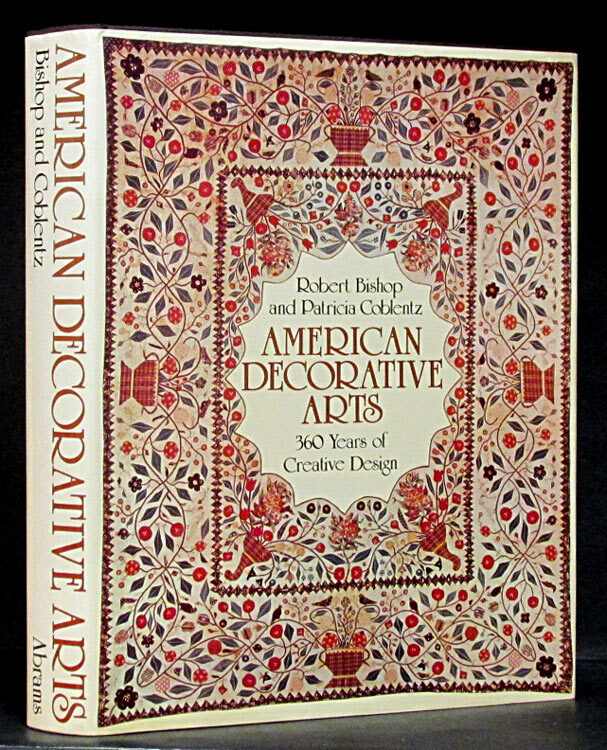 New York: Peacock Press/Bantam, 1975. 1st ed. Paperback. First printing, unpaginated, 44 color plates. Landscape format. 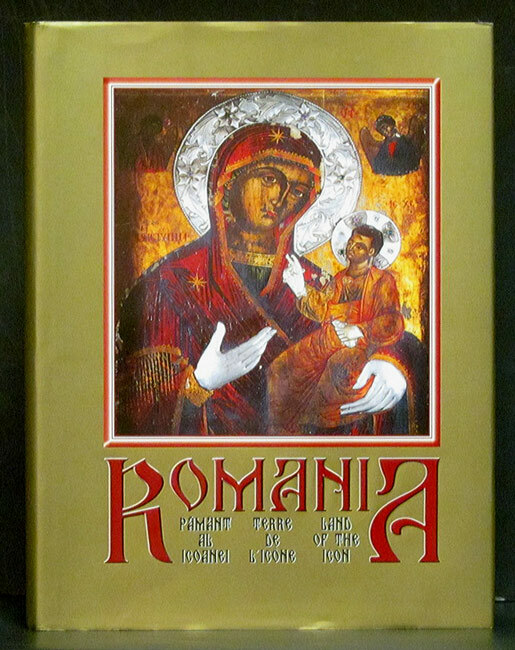 Bucharest: Editura Royal Company, 2003. 1st ed. 144 pages. Hardcover. 9738622808 9-7386228-0-8. Text and captions in Romanian, French, and English. Color illustrations every page. Religious art in wood, fresco, and stained glass. Ribbon page marker. New York: Rizzoli, 1986. 1st Am. ed. 141 pages. Paperback. 0847806677 0-8478-0667-7. 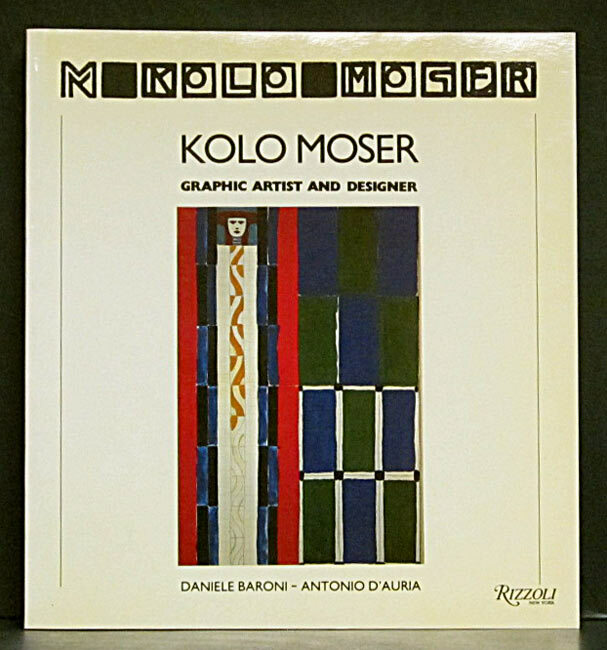 Ceramics, glass, furniture, metals, painting, drawing are some of the mediums in which Kolo Moser's talents were displayed. 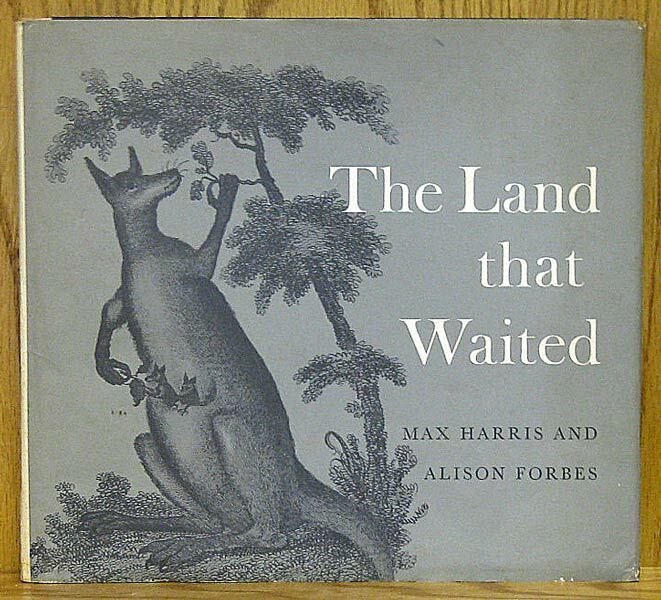 Filled with b/w illustrations and a few color plates. New York: Sterling Publishing, 2005. Reprint. 128 pages. Paperback. 1402728018 1402728018. New York: Dover Publications, 1967. Reprint. 174 pages. Paperback. 174 plates with 2 in color. New York: Dover Publications, 1967. Reprint. 331 pages. Hardcover. 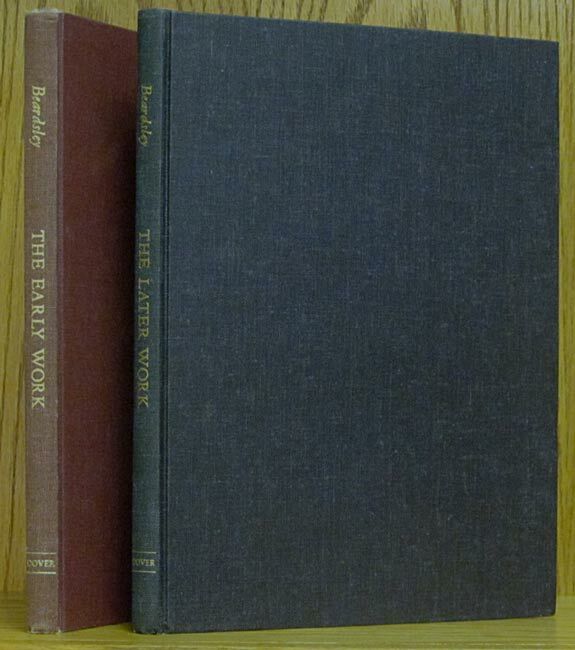 Two volumes set, Early Work in dark red cloth and Later Work in black cloth, both with bright gilt titles on spine. 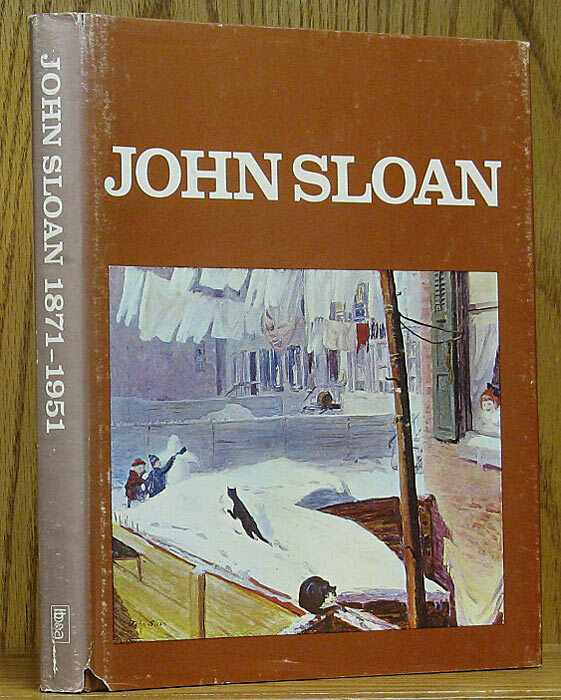 A reprint of 1920 edition published by John Lane, The Bodley Head. 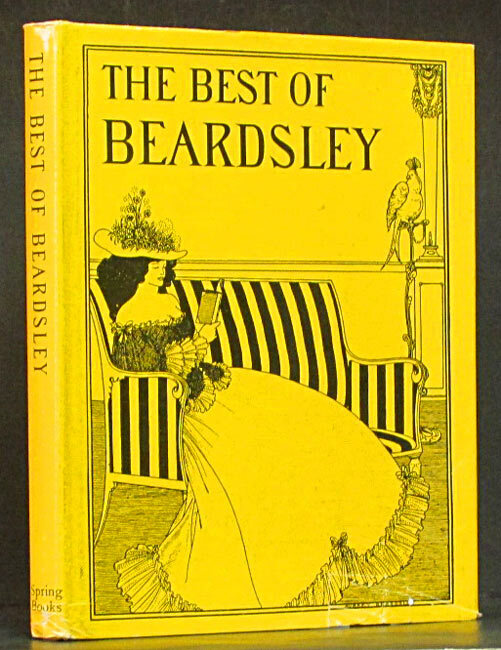 Reproductions made from the best available editions or collections of Beardsley's work. Fredericksburg: Beckendorf, 1981. 1st ed. 24 pages. Paperback. Catalog of Beckendorf's works, many offered as prints. 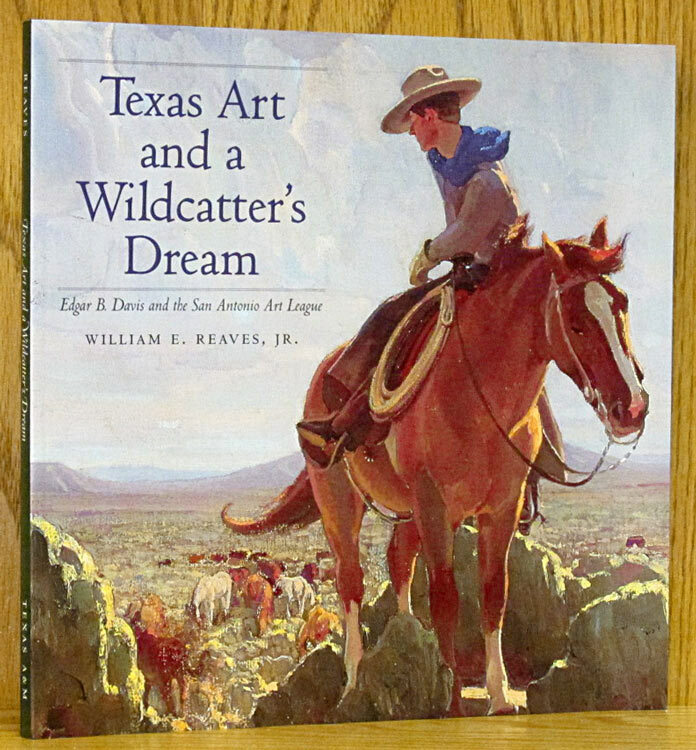 Mostly animals, nature and Texas scenery, including pencil drawings and paintings. 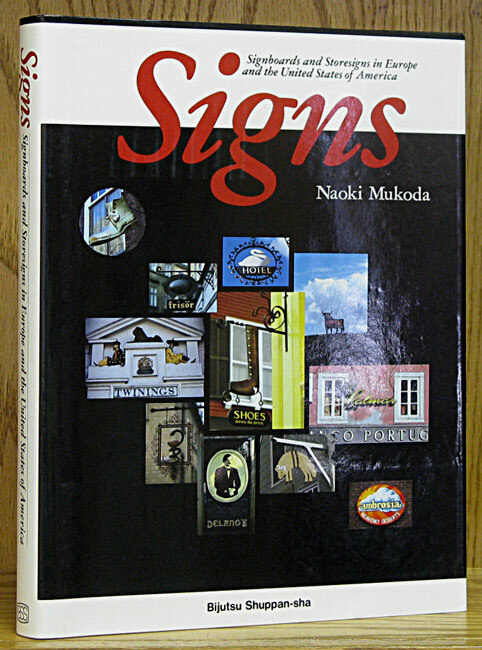 New York: Visual Reference Pubs., 1999. 1st ed. 216 pages. Hardcover. 0934590702 0-934590-70-2. Over 200 color photos. Dj has coffe splash on inside causing some puckers on outside of Dj back. Was off the book when accident happened. Flagstaff: Northland Press, 1980. 1st ed. 104 pages. Hardcover. 0873582667 0-87358-266-7. B/w photos by Linda Fry of a roundup in West Texas in which the artist, the author and she participated. 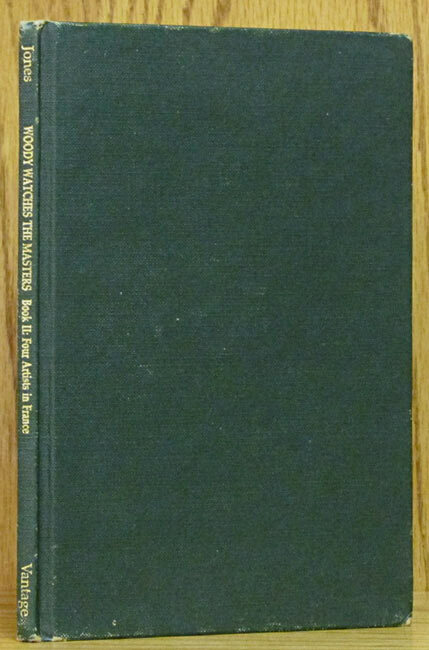 37 color plates of Snidow paintings and introduction by John Connally. Includes a description of the parties and auctions of the fifth annual Western Heritage Sale in Houston. 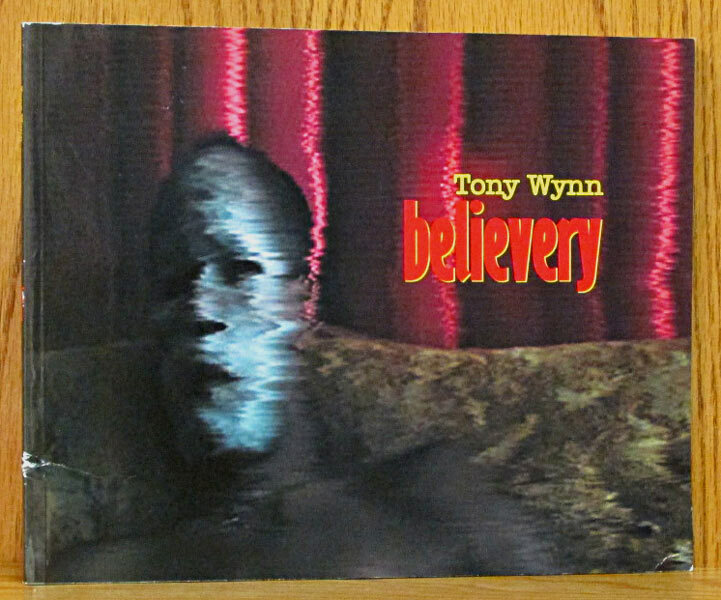 Atglen, PA: Schiffer Publishing, 2004. Revised ed. 161 pages. Paperback. 0764318969 0-7643-1896-9. Hundreds of color photos of pots and figures with relevant info and suggested price. 45 page biographical directory of artists. Index. Austin: Texas Monthly, 1978. Reprint. 54 pages. Paperback. 0932012000 0-932012-00-0. New York: Hudson Hill Press, 1981. 1st ed. 128 pages. Hardcover. 0933920202 0-933920-20-2. 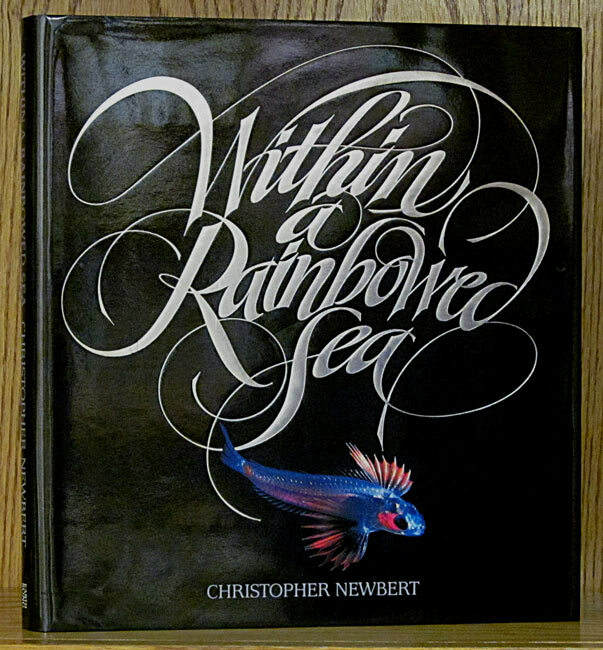 74 full-colour plates showing the "abstract" art within nature as well as man-made objects. On quality stock. London: Grange Books, 1994. Reprint. Spiral Bound. 1856275620 1-85627-562-0. 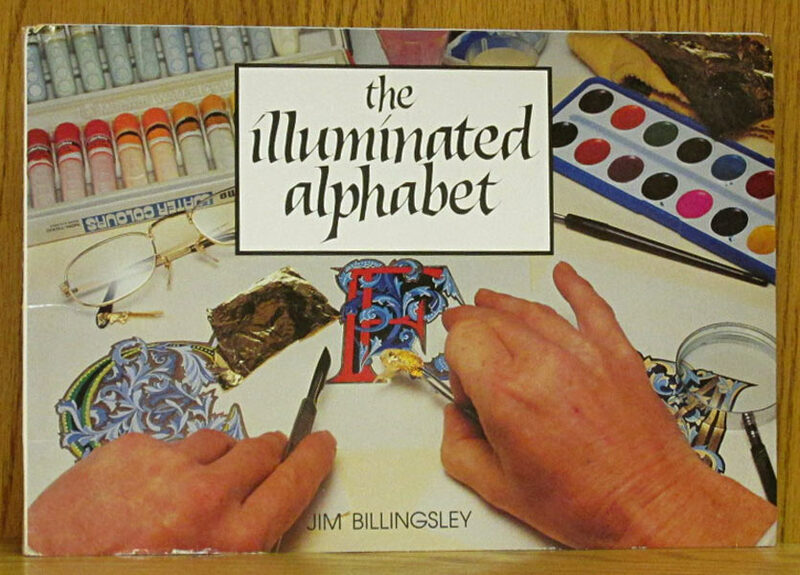 Preprinted letters and instructions in the art of illumination. 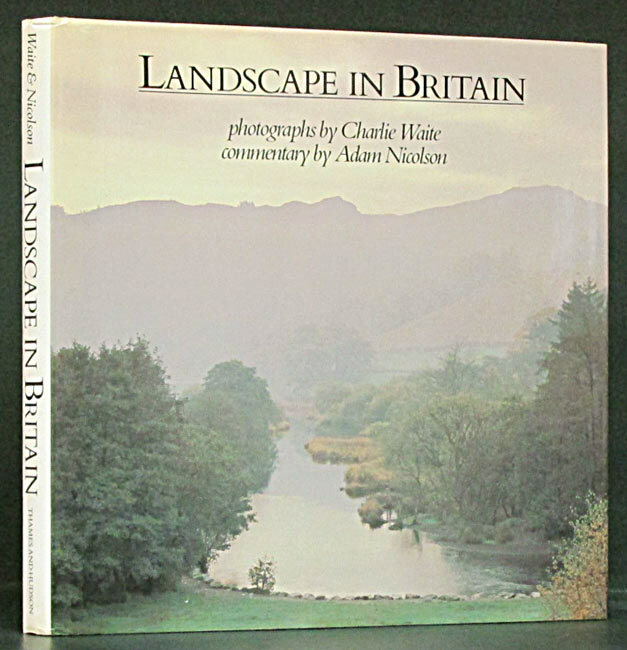 Landscape format with covered spiral binding. New York: Newsweek, Inc., 1981. 1st ed. 172 pages. Hardcover. 0882253069 0-88225-306-9. From the Great Museums of the World series. 142 color photos show the ceramics and textiles of Pre-Columbian Peru selected from public and private collections. Cologne: Taschen, 1993. 96 pages. Paperback. 3822805696 3-8228056-9-6. 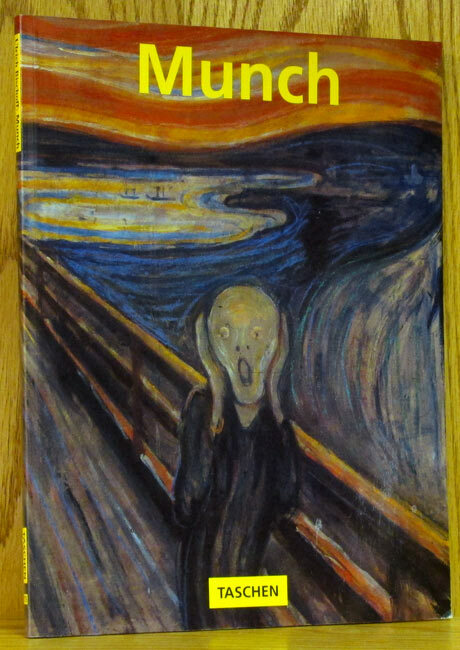 History of the life and work of Norwegian artist Edvard Munch with color plates on most every page. New York: Harry N. Abrams, 1982. 1st ed. 406 pages. Hardcover. 0810906929 0-8109-0692-9. 443 illustrations, including 160 plates in full color. 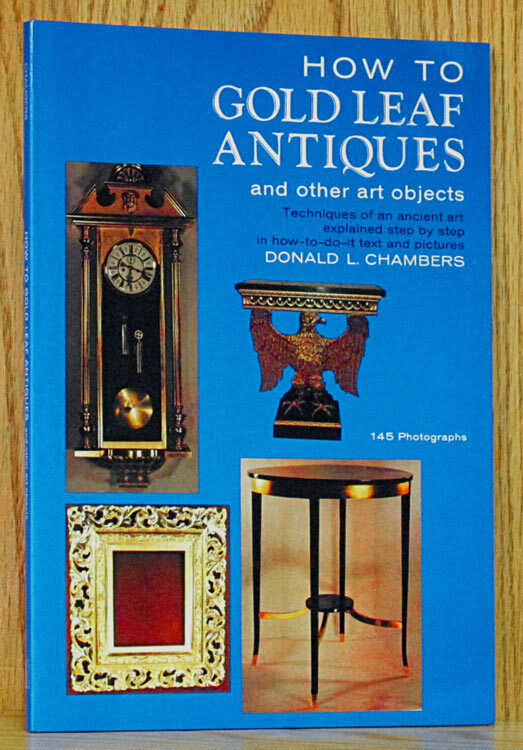 Covers the wide variety of American crafts and designs: furniture, silver, clocks, tapestry, paintings, sculpture, ceramics, glass and much more. Massive 9-pound volume measures 10.5 x 13.5 inches. Kew Gardens, NY: The Black Book, Inc., 2003. 18th ed. 307 pages. Boards. 0942454871 0-942454-87-1. 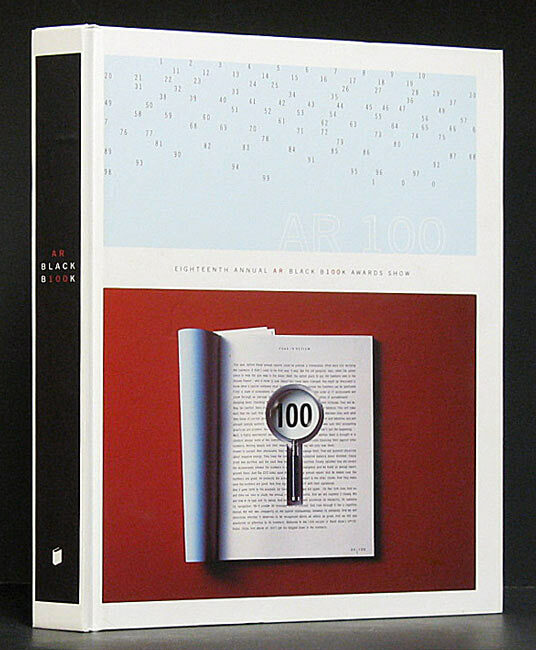 The Black Book AR 100 for 2003. Great source for advertising & photographic agencies and photographers. Oversized, heavy book. New York: Watson-Guptill, 1972. Reprint. 176 pages. Hardcover. 0823001008 0-8230-0100-8. 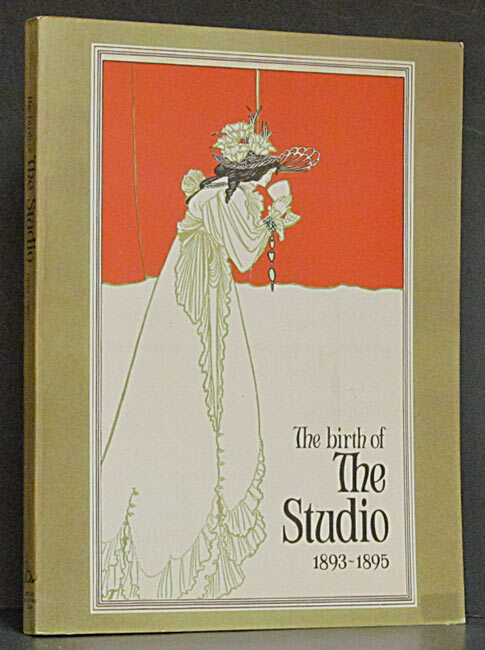 105 b/w illustrations, 32 color plates, bibliography. Clean, tight, unmarked. No wear, but cloth top edge faded. Dj has a wrinkle at spine top. How to paint transparent and opaque watercolors in acrylic artists' colors. 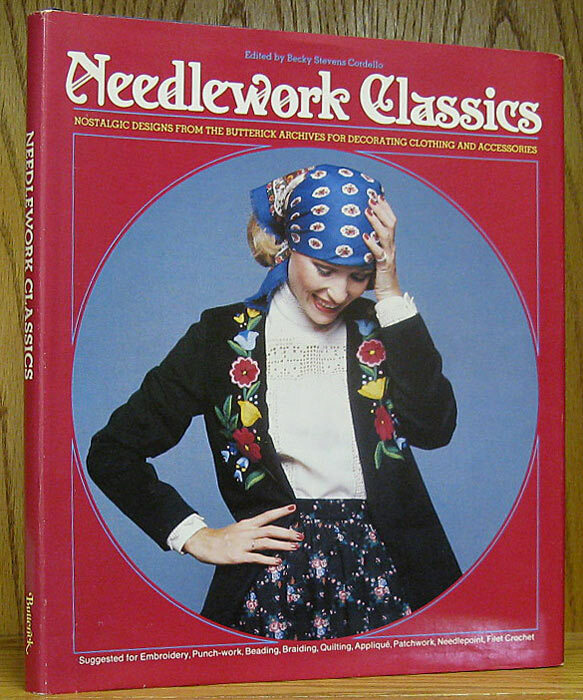 Englewood, CO: Westcliffe Publishers, 1986. 192 pages. Hardcover. 094239416X 0-942394-16-X. 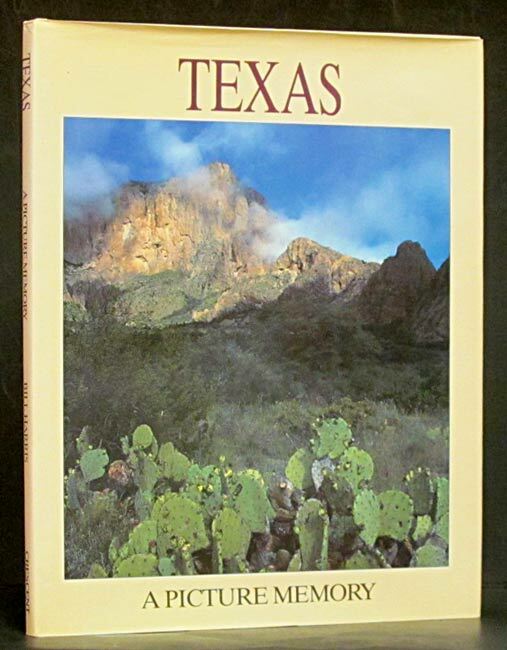 163 Beautiful full color photos of Texas' natural beauty on heavy, glossy stock make this book a fine coffee table item. 14 x 10.5 inch format. College Station: Texas A & M, 1993. 1st ed. 157 pages. Hardcover. 0890965714 0-89096-571-4. Forty-nine color plates and ninety-nine b/w reproductions of limited edition prints and lithographs. Introductory essay by Michael McIntosh. Herb Booth's own commentary on the plates. 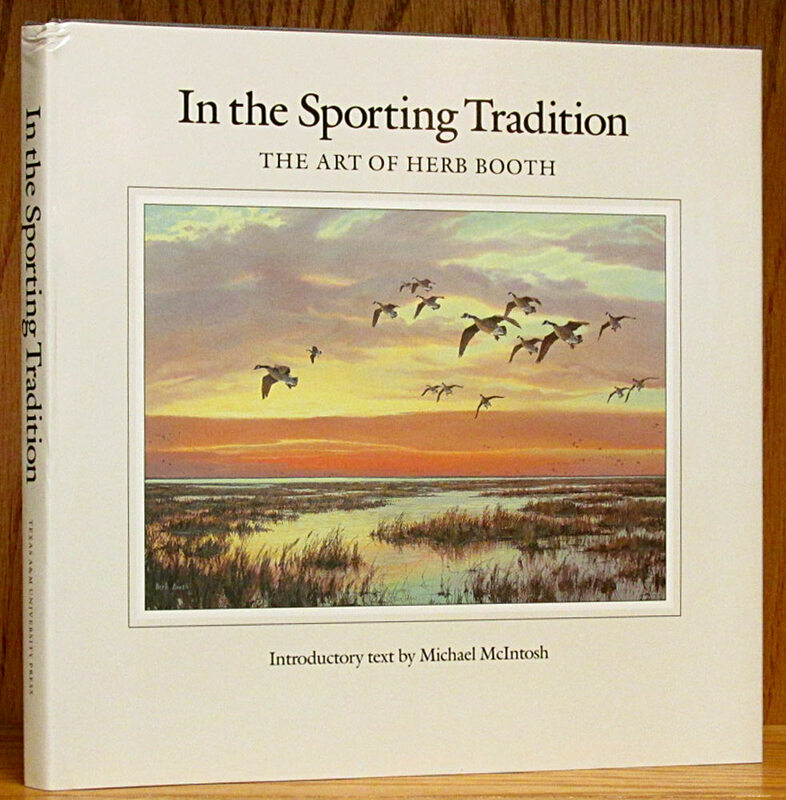 Large, nearly square book, 11.25 X 11.5 inches. Philadelphia: Philadelphia Museum Art, 2000. Reprint. 628 pages. Paperback. 0876331363 0-87633-136-3. 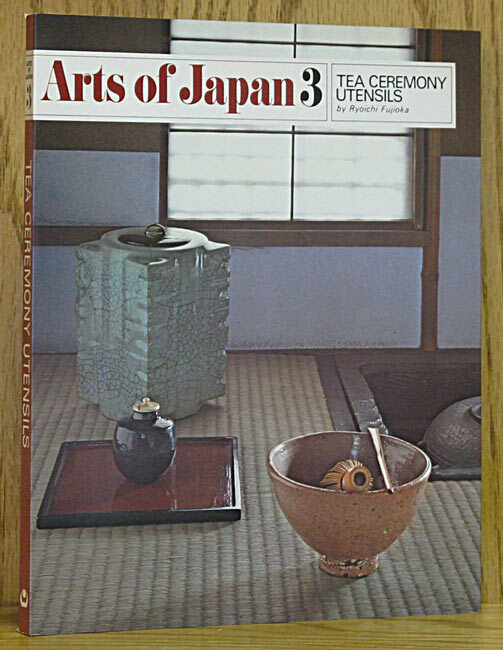 Catalog of an exhibition held in 2000 in Philadelphia and Houston. 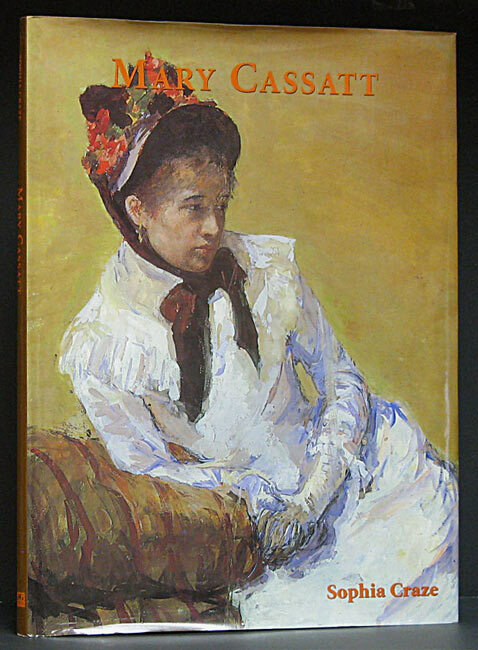 Three essays on the period and the artists, hundreds of b/w and color illustrations. Munich: Prestel, 2000. 1st Am. ed. 223 pages. Paperback. 3791323806 3-7913238-0-6. 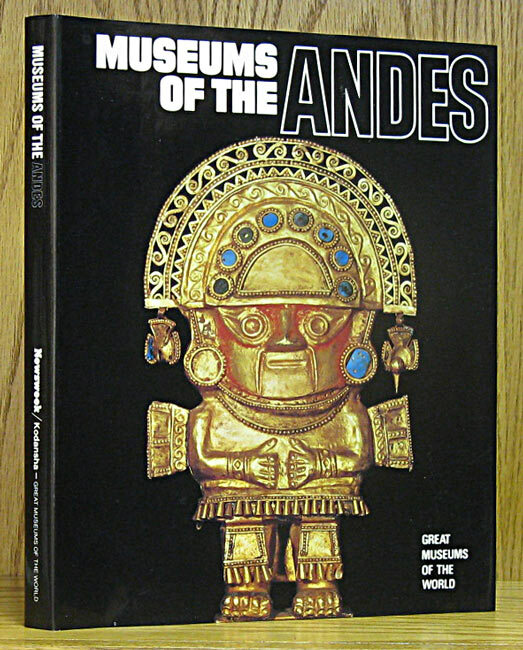 This book was published on the occasion of an exhibit held in 2000 in Leipzig and Houston, and organized by the museums in those cities. There are 84 color plates, each facing a page of description. Thirteen pages of biographical sketches of the artists. New York: Hawthorne Books, 1976. 1st ed. 116 pages. Paperback. 0801558751 0-8015-5875-1. Patterns and instructions for making humorous people pillows. New York: HarperCollins, 1991. 1st Am. ed. 493 pages. Hardcover. 0060160659 0-06-016065-9. Translated from French by Sian Reynolds. London: Thames & Hudson, 1995. 1st Am. ed. 128 pages. Paperback. 0500278245 0-500-27824-5. Contains 192 illustrations, 148 in color. 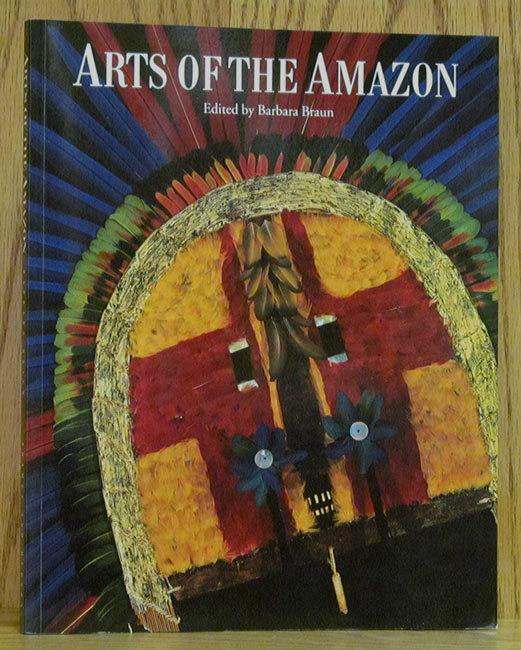 Arts and crafts of the indigenous people of the Amazon region. Birmingham: Oxmoor House, 1990. Reprint. 224 pages. Hardcover. 0848707729 0-8487-0772-9. Color photos, drawings, and glossary fill this source for decorating ideas you can use to make your space gracious & livable. New Haven: Yale Univ., 2005. Reprint. 366 pages. Paperback. 0912804440 0-912804-44-0. 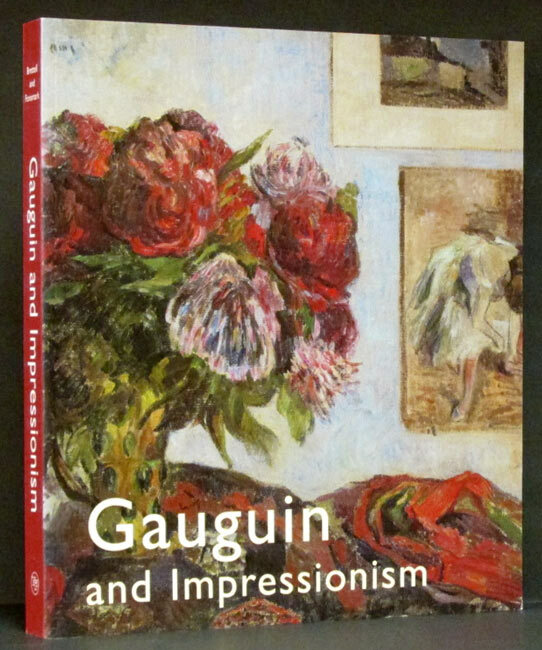 Published in conjunction with the exhibition Gauguin and Impressionism , organized by the Kimbell Art Museum, Fort Worth, and Ordrupgaard, Copenhagen. Notes, bibliography, and index. Hundreds of color illustrations. 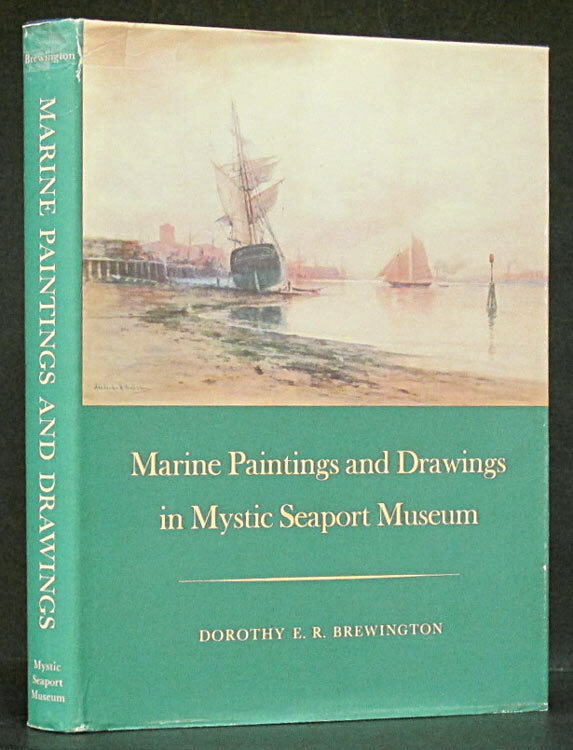 Mystic CT: Mystic Seaport Museum, Inc., 1982. 1st ed. 219 pages. Hardcover. 0913372250 0-913372-25-0. Hundreds of b/w images and seventeen color plates. Blue cloth-covered boards with bright gilt title on spine. New York: Van Nostrand Reinhold, 1981. 1st ed. 192 pages. Hardcover. 0442200846 0-442-20084-6. 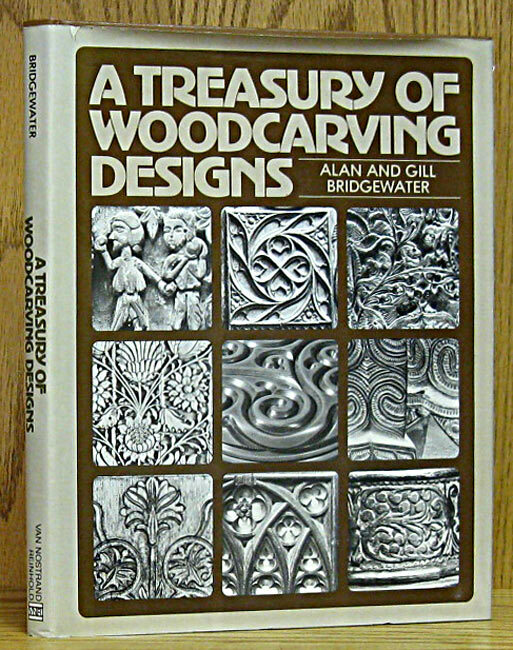 Woodcarving designs from all over the world, with over a 1,000 detailed drawings and photos. New York: Simon & Schuster, 2000. 1st ed. 7 pages. Hardcover. 0689840195 0-689-84019-5. Pop-ups by the world's best illustrators and paper engineers. 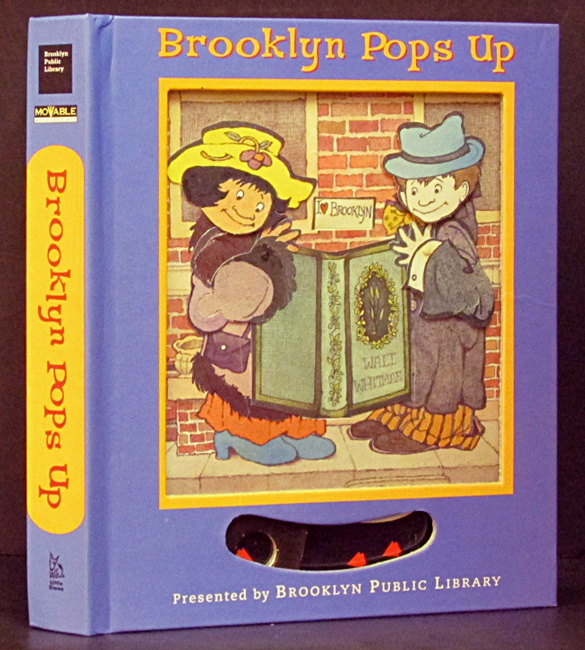 As a tour of Brooklyn icons there are seven scenes plus an action cover by Maurice Sendak. Robert Sabuda is among the other artists. College Station: Texas A & M, 2001. 1st ed. 379 pages. Hardcover. 0890969485 0-89096-948-5. 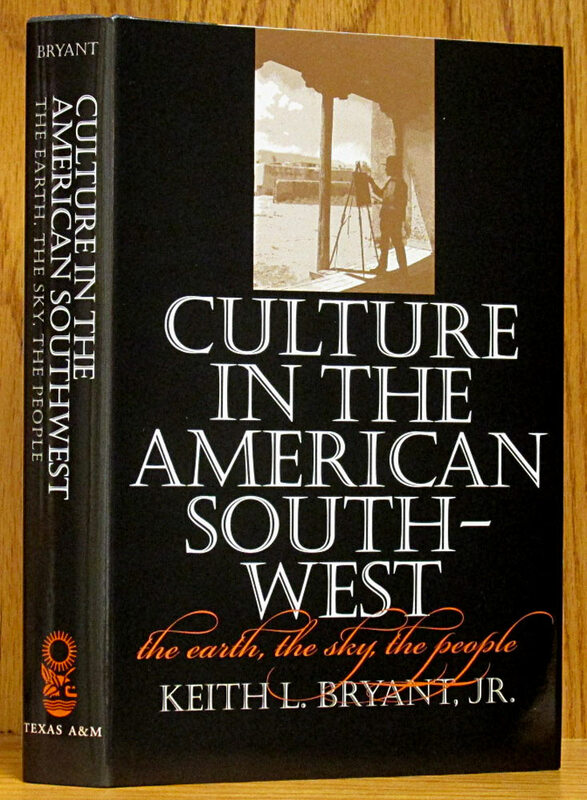 Traces the development of 'high culture' in the southwest as it was modified by the region. B/w photos, bibliography, and index. Sao Paulo: H.B. Cultural Ltda., 1981. 1st ed. 42 pages. Hardcover. Twelve full page watercolors, pen/ink sketches on every page illustrate this praise of the island of Marajo at the mouth of the Amazon River. Full page map. Text in Portuguese, German, and English. Sao Paulo: H.B. Cultural Ltda., 1983. 1st ed. 36 pages. Hardcover. 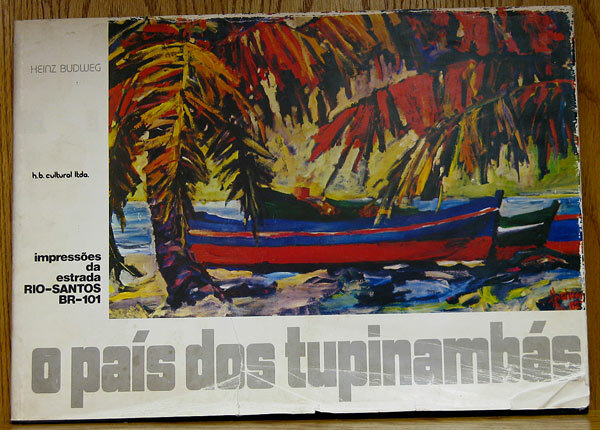 Filled with pen and ink drawings and full page watercolor illustrations, this is a history of the region in Brazil originally inhabited by the Tupinamba Indians. Europeans took it over for agriculture fueled by imported slaves. That epoch ended in 1888 and the area fell into disuse, but has come back since the construction of the highway BR-101. Text is in Portuguese, with an insert in English & German. Fold-out map o/t region. Heavy paper. 12.5 x 18 in. Sao Paulo: H.B. Cultural Ltda., 1982. 1st ed. 57 pages. Hardcover. Text in Portuguese, German, and English. 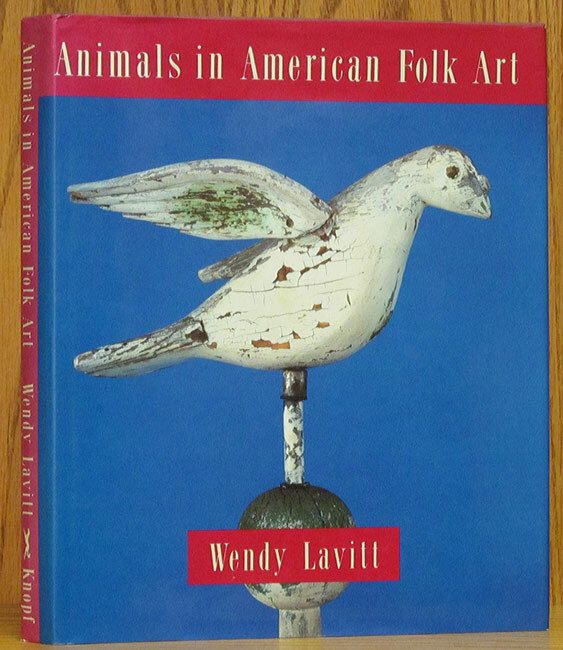 Illustrated with color photos and paintings, and drawings in rust colored ink. Frontispiece is map of the area made in 1783. 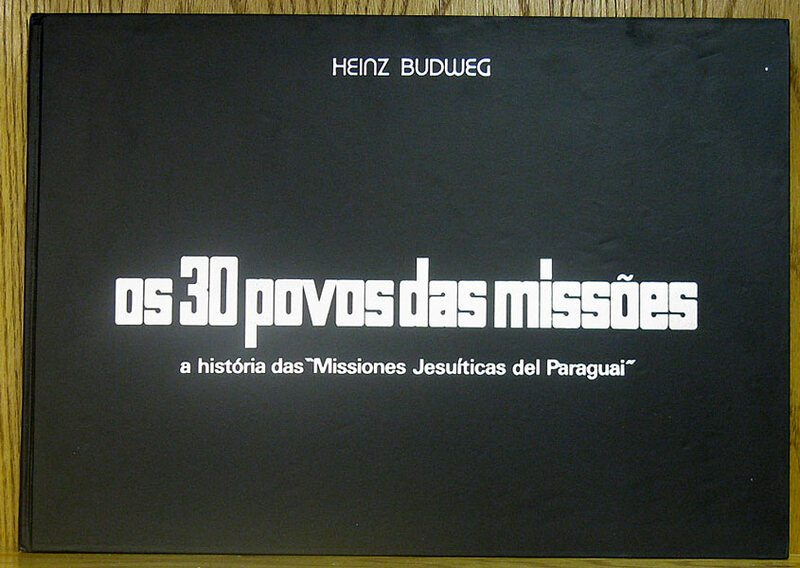 History of the Jesuit missions and South America. INSCRIBED and SIGNED by the author. Oversize 12.5 x 18 inch format. Sao Paulo: VDO, 1981. 48 pages. Hardcover. Text in Portuguese, German, and English describing the people, history, and beauty of the river and land, and how industry has hurt them. Twelve full page prints of watercolor paintings along the river. Oversize 12.5 x 18 ich format. New York: Scala/Riverside, 1982. 80 pages. Paperback. 1878351168 1-878351-16-8. Biography and history of the works of 15th century artist Andrea Mantegna with color plates on every page. Tokyo: CanonInc., 2003. Paperback. Two SPANISH language factory manuals: Pocket sized guide to using the camera (CT1-4104-004) 135 pages. Trade paperback sized manual for using the software (EOS Digital Solutions version 6.0). No software. San Francisco: Chronicle Books, 2006. 1st Am. ed. 352 pages. Hardcover. 0811856186 0-8118-5618-6. 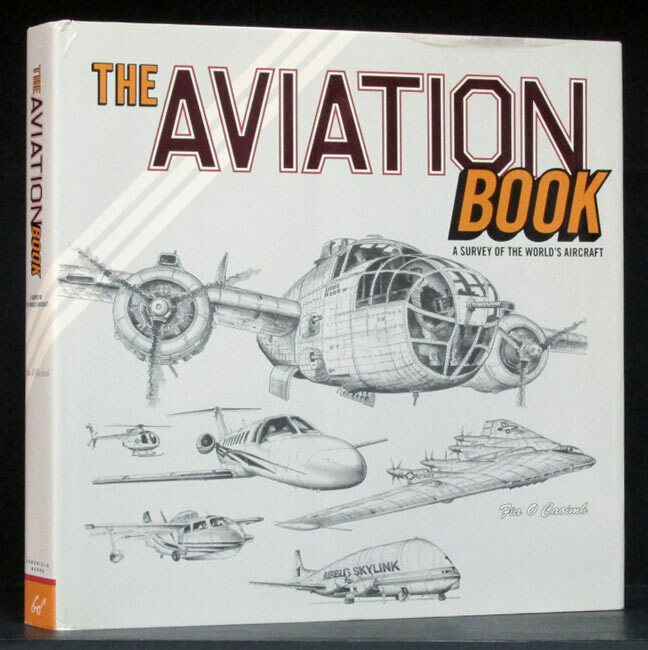 Wonderful catalog of aircraft of the world, illustrated with extemely detailed pencil drawings by the author. Large 11.75 inch square format. 8 pounds. New York: MetroBooks, 2005. Reprint. 399 pages. Hardcover. 0760771464 0-7607-7146-4. Five centuries of artworks from the Italian peninsula, displayed in color images. Large 9.75 x 11.6 inch format. Santa Monica: Hennessey & Ingalls, 1996. Reprint. 256 pages. Paperback. 0912158999 0-912158-99-9. Illustrated throughout with b/w photos and drawings. Buffalo Gap: State House Press, 2012. 1st ed. 131 pages. Paperback. 1933337494 1-933337-49-4. Notes, bibliography, and index. Describes how her four years in Texas helped shape the artist's work through the rest of her long life. Washington D.C.: National Geographic, 1999. 239 pages. Hardcover. 0792279204 0-7922-7920-4. Endpaper maps by N. C Wyeth. Artists have taken readers beyond the reach of the camera and 156 of these 12,000 archived paintings are featured here. London: Thames & Hudson, 1997. Reprint. 256 pages. Paperback. 0500276226 0-500-27622-6. 220 illustrations, 20 in color. Bibliography and index. New York: Crown Publishers, 1973. Reprint. 108 pages. Paperback. 051754217X 0-517-54217-X. Techniques explained step-by-step in text with 145 photos. Newark: Univ. Delaware, 2003. 1st ed. 85 pages. Paperback. 1887421076 1-887421-07-6. 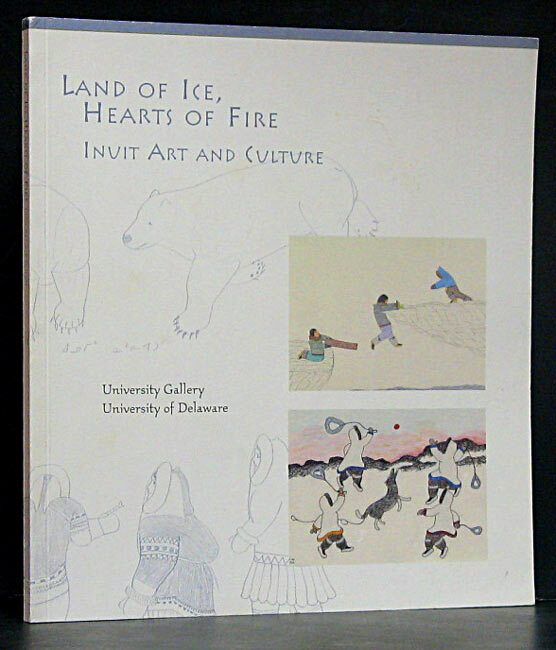 Selected drawings, prints, and sculptures from the University Gallery Collection of Canadian Inuit Art, highlighting the Frederick and Lucy S. Herman Collection of Native American Art. New York: Grosset & Dunlap, 1967. Reprint. 192 pages. Hardcover. History of the flowering of culture and relating art and architecture to man. Survey of the period from 1600 to 1800, with a chronological table. B/w photos, drawings, and plans, and bibliography. Nacogdoches: Stephen F. Austin Univ., 2011. 1st ed. 140 pages. Hardcover. 1936205238 1-936205-23-8. A new interpretation by Marc Guidry and Charles Jones. Illustrated with new woodcuts in a Classical Greek style. Unopened CD in rear pocket. Dark red cloth-covered boards with black title on spine. Barcelona: Ediciones Poligrafa, 1972. 1st ed. 204 pages. Hardcover. Spanish and English text. Illustrated throughoutin b/w and many color plates. San Diego: Thunder Bay Press, 2002. 1st ed. 128 pages. Hardcover. 1571451323 1-57145-132-3. An examination of the materials and techniques of traditional African weaving, printing, and cloth decoration. Filled with full-page color photos. First printing. New York: Lark Books/Sterling, 2004. Reprint. 127 pages. Paperback. 157990548X 1-57990-548-X. A Lark Photography Book, illustrated on every page. Covers equipment, poses, and lighting. 8.5 X 11 inches, and made with french flaps. New York: Butterick Publishing, 1977. 311 pages. Hardcover. 0884210340 0-88421-034-0. Holiday ideas featuring recipes, games, decorations, and crafts for 25 occasions. Filled with line drawings and 32 color plates. New York: Butterick, 1976. 1st ed. 128 pages. Hardcover. 0884210235 0-88421-023-5. Nostalgic designs from the Butterick archives for decorating clothing & accessories, along with design histories & instructions for their use. New York: Knickerbocker Press, 1999. Reprint. 112 pages. Paperback. 1577150791 1-57715-079-1. 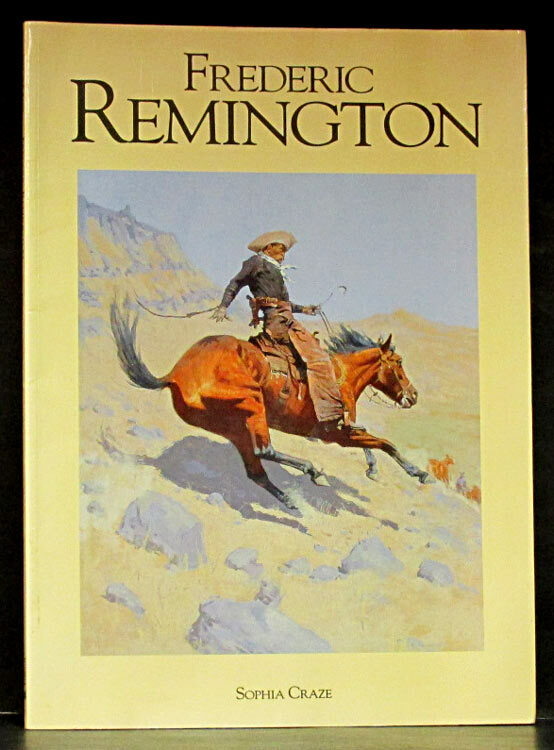 Contains 67 color plates and 25 b/w illustrations showing some of the finest Remington paintings, drawings, and sculptures. Over 14 inches tall, produced with french flaps. N. Dighton, MA: World Publications, 2005. Reprint. 112 pages. Hardcover. 1572153407 1-57215-340-7. 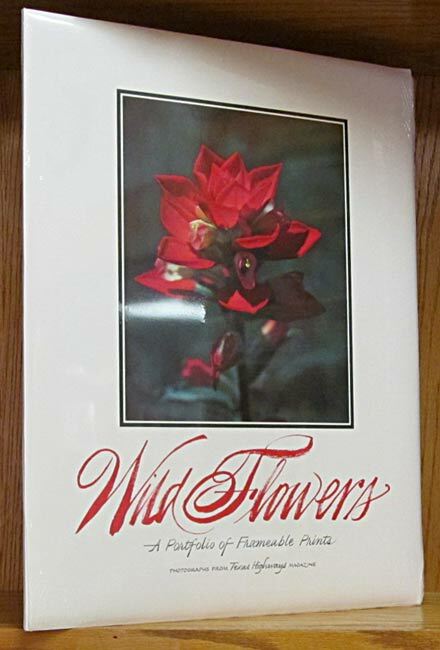 Contains 75 full color plates. Large book is 14.5 inches tall and 10.5 inches wide. Boston: Christopher Publishing, 1953. 1st ed. 219 pages. Hardcover. 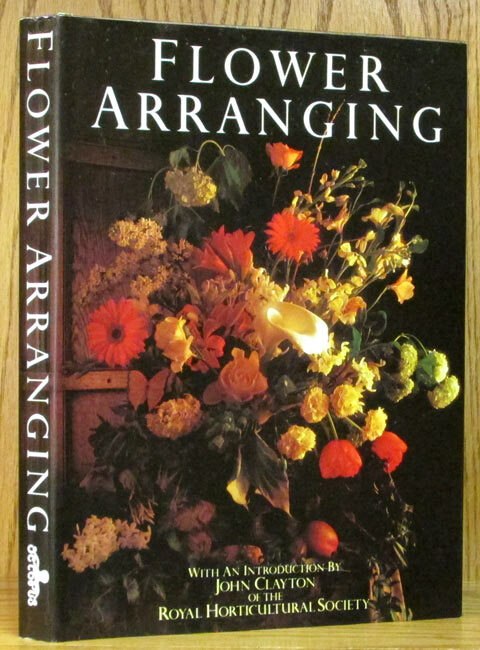 A book for the advanced student of flower arrangement with challenging new ideas. Book is tight, has darkened area on FEP from note paper left in. Remains of address label on FEP. Corners square. 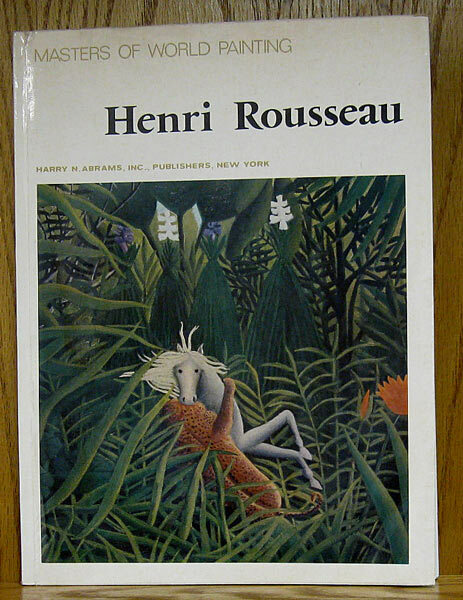 New York: Abbeville Press, 1986. 1st ed. 319 pages. Hardcover. 0896596648 0-89659-664-8. Secaucus, NJ: Chartwell Books, 2009. Reprint. 256 pages. Hardcover. 078582538X 0-7858-2538-X. Beautiful artistic creations shown in color photos, with full info of makers, materials, and mechanisims. Contact info of makers. Black cloth-covered boards with silver titles on front and spine. 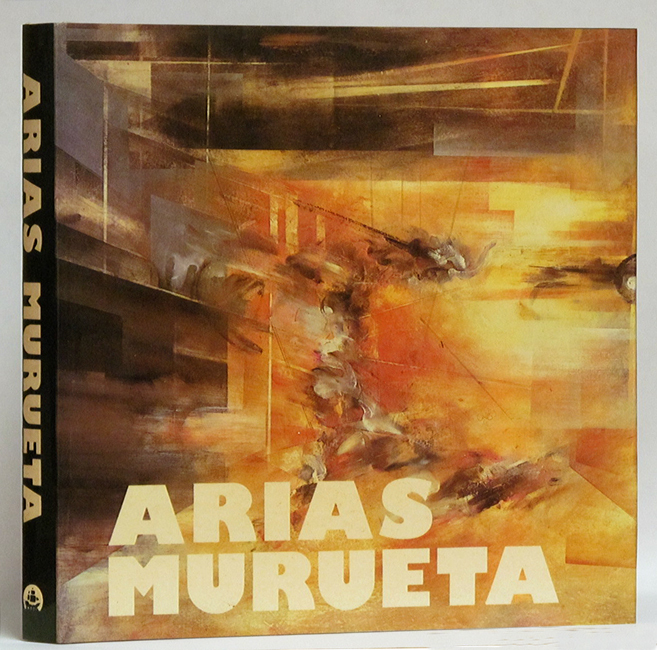 Color photos on front and rear of black dustjacket. Stunning craftsmanship and photography. Boston: Houghton Mifflin, 1951. 1076 pages. Hardcover. "The story of the American Adventure form the medieval dream of a western paradise to the complex society of today" Wasn't post-war America just so fun, just & right. Here's the story of how we got there. Over 1,200 b/w illustrations help present the American experience. 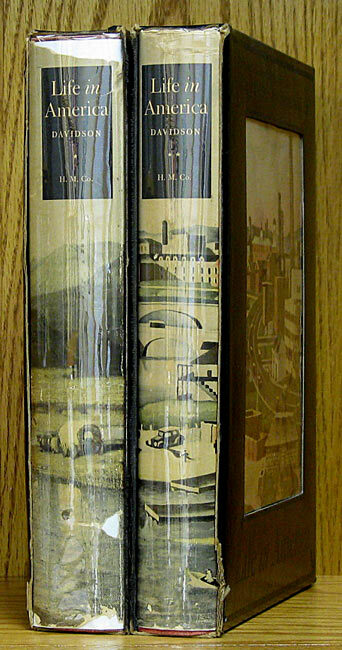 In two windowed slipcases. 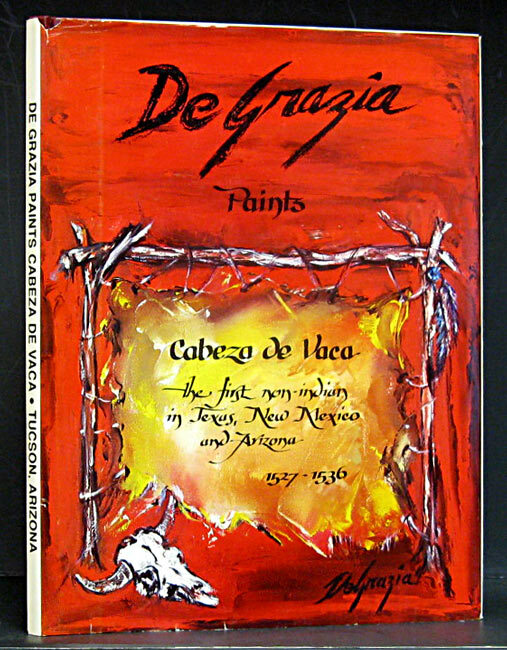 Tucson: De Grazia Gallery, 1973. Limited ed. 67 pages. Hardcover. 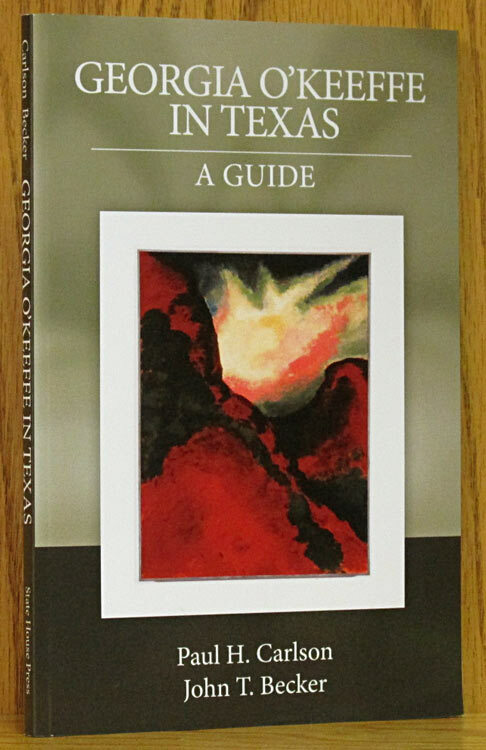 This book illustrates many episodes of Cabeza de Vaca's trek across the unknown wilderness, many of them harrowing. They began their travels from Florida across the Southwest to Mexico Ciy after shipwreck. 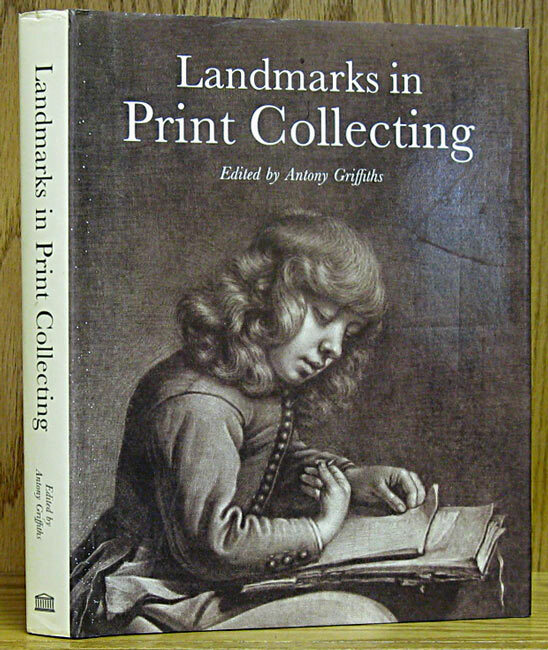 Title page states ARTIST'S PROOF EDITION, first printing limited. Dj chipped top front near spine. 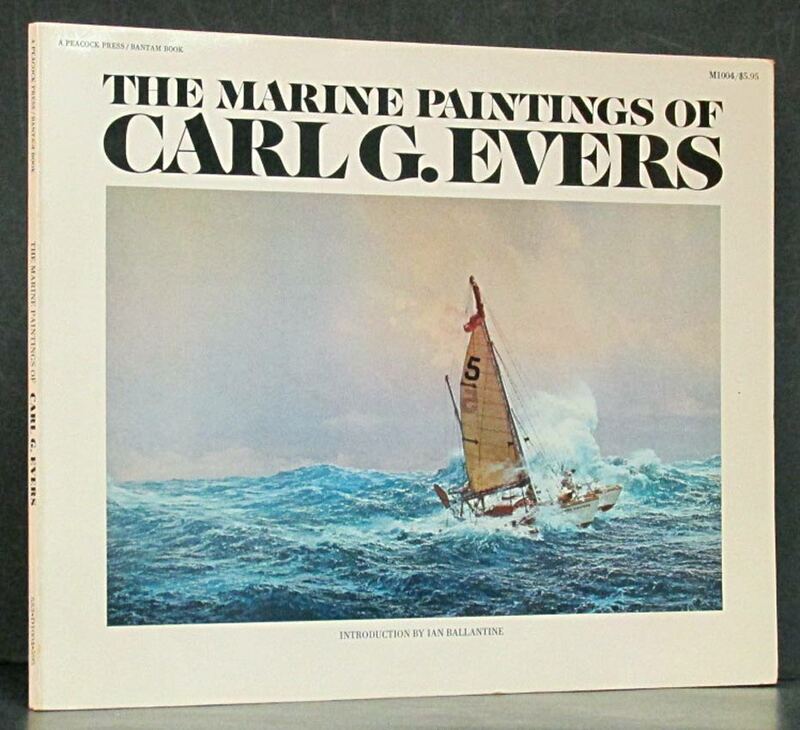 His 1973 illustrated catalog of reproductions is laid in. New York: Random House, 1985. 1st ed. 167 pages. Hardcover. 0394546547 0-394-54654-7. 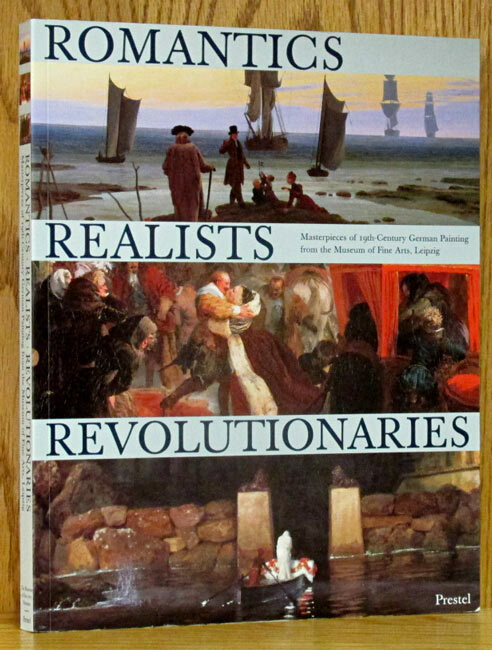 More than ninety paintings, with much commentary by the artist. Signed by the artist on the halftitle page. 12 x 11 inch format. New York: Promontory Press, No Date. Reprint. 224 pages. Hardcover. 0883940086 0-88394-008-6. Nice study of pottery, baskets, clothing and objects of American Indians. 69 Color plates, 180 b/w illustratoins. Not dated, but 1973 or so. London: Octopus Books, 1979. 1st ed. 224 pages. Hardcover. 0706409841 0-7064-0984-1. With an introduction by John Clayton of the Royal Horticultural Society. Hundreds of drawings and large color photos. Mission, TX: Times Publishing Co.,. Paperback. Volumes for 1950, 1951, and 1953 by the Donna, Texas Garden Club in connection with the Texas Flower Festival. Photos of hundreds of arrangements w/description and name of designer on each. Cobb, CA: First Glance Books, 1998. 1st ed. 176 pages. Hardcover. 1885440375 1-885440-37-5. 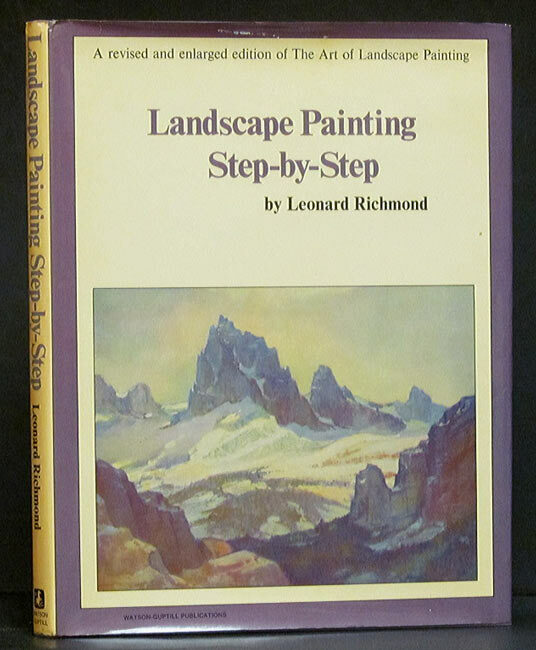 Survey of landscape painting in the U.S., tracing the work of 200 years region by region. 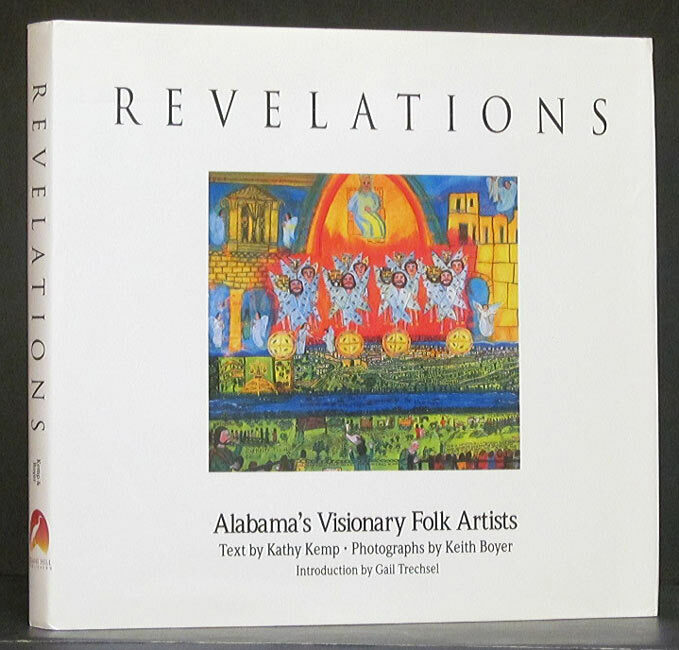 Features 162 artists. Color illustrations throughout. Boston: Tuttle Publishing, 2000. 1st ed. 125 pages. Hardcover. 0804832595 0-8048-3259-5. Based on the SAKUTEIKI by Tachibana no Toshitsuna. An ancient and revered style of gardening derived from the precepts formulated by eleventh century poet. Color photos throughout. London/New York: Batsford/Watson-Guptill, 19. 1st ed. 96 pages. Hardcover. 0713424192 0-7134-2419-2. New York: Quadrangle/New York Time, 1975. 1st Am. ed. 208 pages. Hardcover. 081290575X 0-8129-0575-X. Celebrated fashion artist and stage designer once at the heart of the Art Deco movement, has written the story of his long and fascinating life. Lots of illustrations, some color, most b/w. Garden City: Doubleday, 1973. Revised ed. 240 pages. Hardcover. 0385044747 0-385-04474-7. 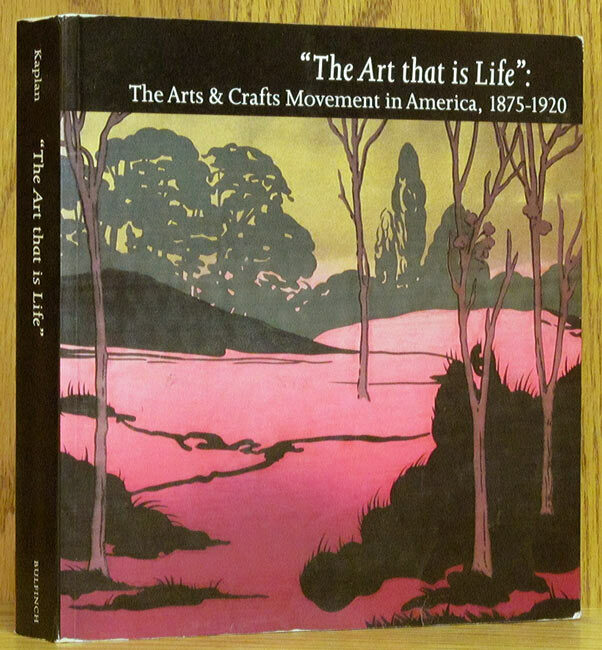 Enlarged edition by Chanticleer Press of 1965 pictorial record of the pioneer artists who explored the plains & mountains of the trans- Mississippi, including Peale, Catlin, Miller & others. Nice. New York: Watson-Guptill, no date. 192 pages. Hardcover. 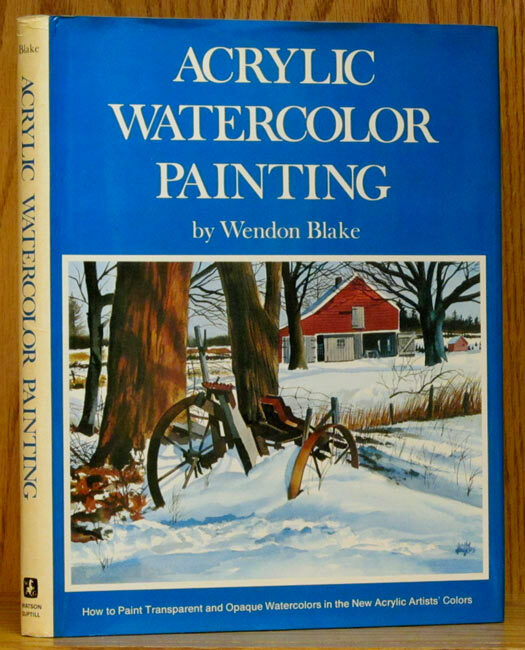 Heavily illustrated with demonstrations in oil, watercolor, polymer, casein & pastel. Offers help with composition, perspective, color, lights & shadows, textures & architectural styles. New York: Watson-Guptill, 1971. Reprint. 166 pages. Hardcover. 200 b/w illustrations, 10 full color plates. Book clean, tight, unmarked, no wear. Dj spine derkened, chipped. Remnants of old price sticker on front of Dj. Lafayette, CA: C&T Publishing, 2007. 79 pages. Paperback. 1571204156 1-57120-415-6. Projects for all skill levels. Large folding pull-out pattern sheets never removed. Full color throughout. Houston: Humble oil & Refining, 1958. Revised ed. 104 pages. Paperback. 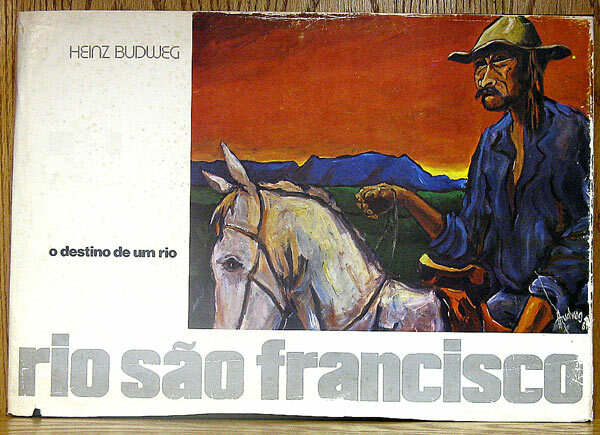 Essays by Fields, with paintings and drawings by Buck Schiwetz. Stories about Spanish missions, early East Texas, Galveston, Texas Revolution, Texas Navy, frontier forts, and more. List of ships of Texas Navy, their armament, and fate. 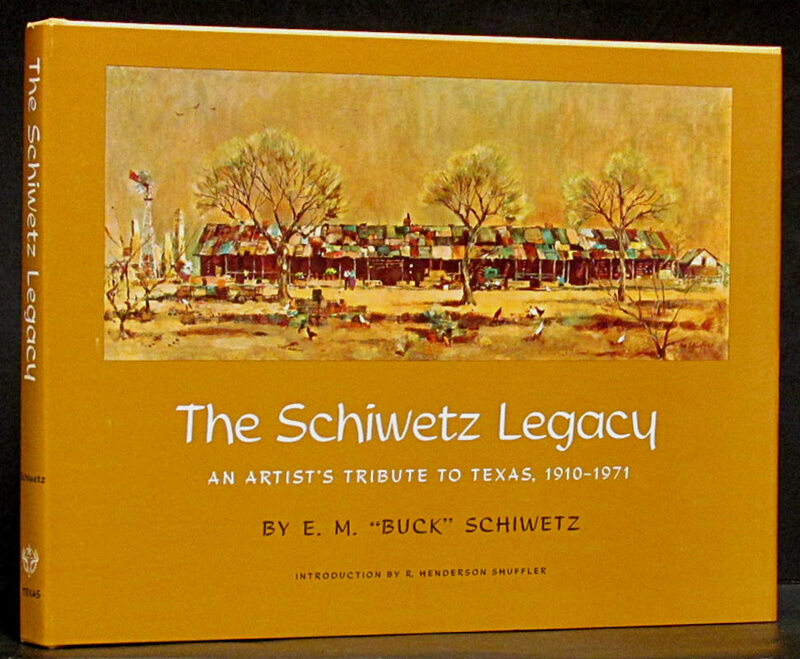 Includes multi-page article clipped from Texas Highways, September 1984, about life and work of Buck Schiwetz. Stapled magazine format. Salvador, Bahia: Odebrecht, 1996. 3rd ed. 244 pages. Hardcover. 8585023643 8-5850236-4-3. 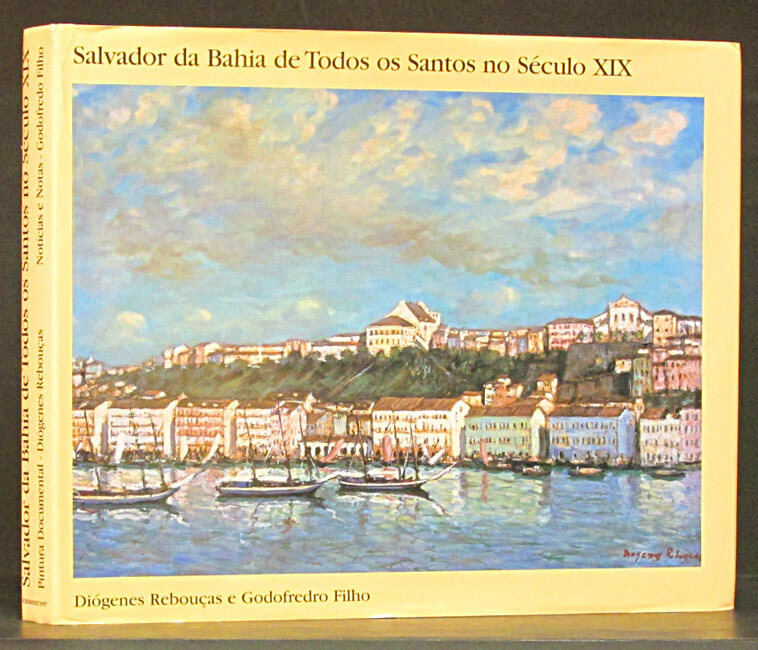 Celebration of the city of Salvador-Bahia as it was in the nineteenth-century, with a collection of paintings by Diogenes Reboucas. Includes large fold-out panarama of the old city. Reorganized and expanded third edition. Maps, including a large fold-out of the city. Text by Godofredo Filho, Pedro Calmon, and Thales de Azevedo. New York: Watson-Guptill, 1972. Reprint. 208 pages. Hardcover. 0823008258 0-8230-0825-8. Over 200 b/w illustrations and 27 color plates. The author discusses materials, anatomy, the model and posing conditions, and the process of painting. Newtown, CT: Taunton Press, 1981. Reprint. 189 pages. Hardcover. 0918804027 0-918804-02-7. Methods, tools, and materials for serious woodworkers, selected from the first seven issues of Fine Woodworking Magazine. B/w photos and drawings. Atglen, PA: Schiffer Publishing, 1998. Revised ed. 168 pages. Boards. 0764304526 0-7643-0452-6. 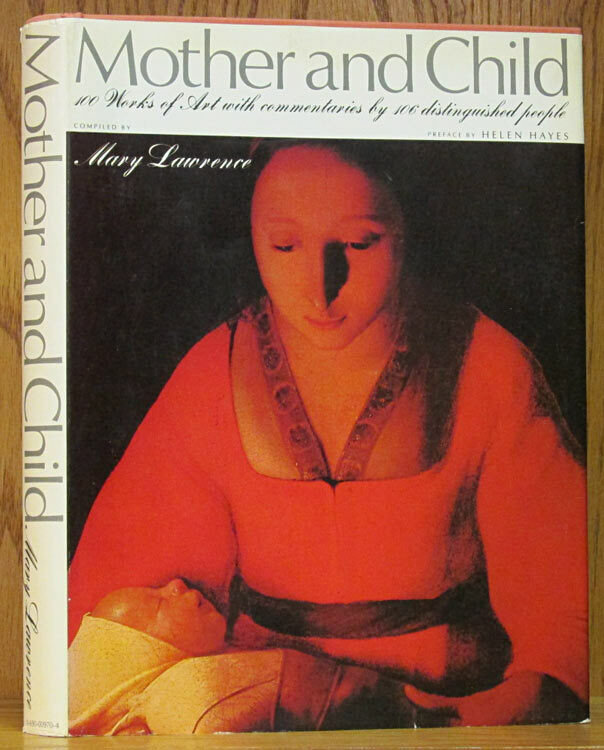 Revised 2nd edition, with 1998 values. 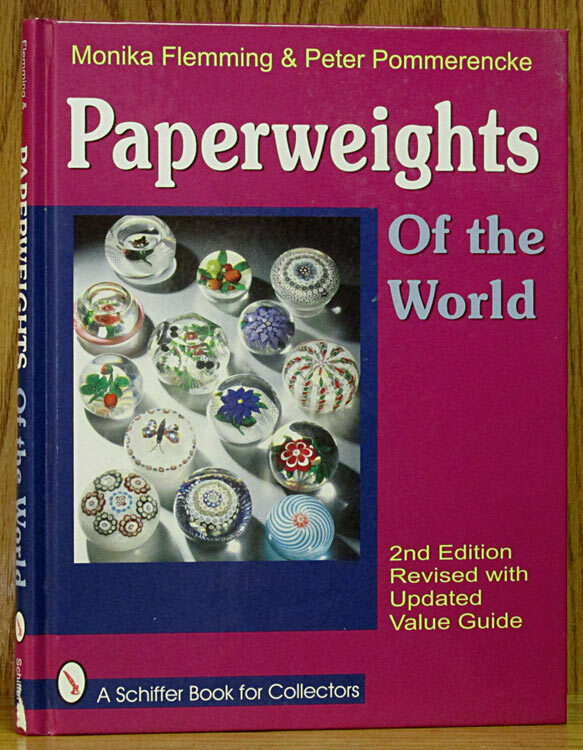 Beautiful color photographs highlight the variety of glass, ceramic & sulfide paperweights. Arranged by country, then artists. B/w & color photos, index of makers. 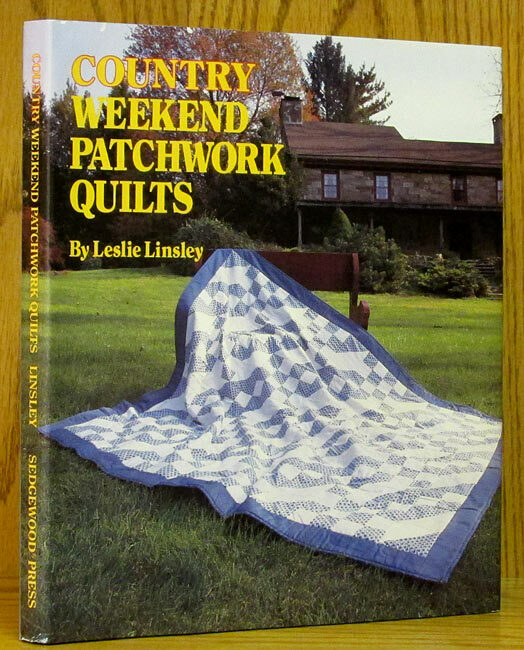 New York: Butterick Publishing, 1978. 192 pages. Paperback. 0884210561 0-88421-056-1. The art of collecting, pressing, arranging and framing garden and wild flowers for your home. 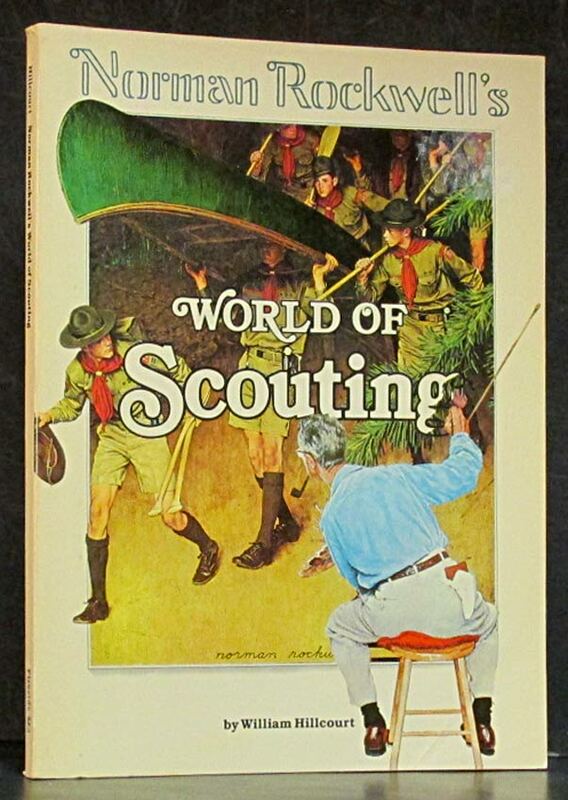 Illustrated throughout with b/w & color photos and drawings. College Station: Texas A & M, 2010. New Edition. 204 pages. Paperback. 1603441808 1-60344-180-8. 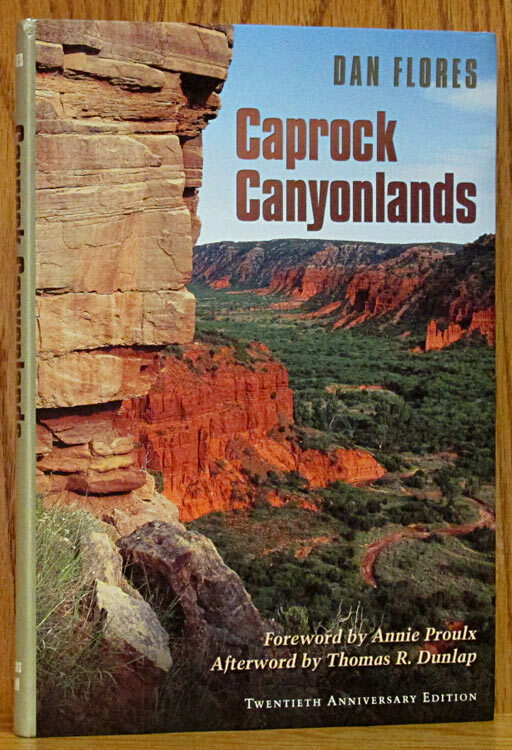 Nice work presenting the history of the Caprock Escarpment, Palo Duro Canyon and the dramatic vistas of the Texas Plains. Color photos, foreword by Annie Proulx, afterword by Thomas R. Dunlap. Bibliography and index. Flex bound, with french flaps. College Station: Texas A & M, 1984. 1st ed. 131 pages. Hardcover. 0890962073 0-89096-207-3. 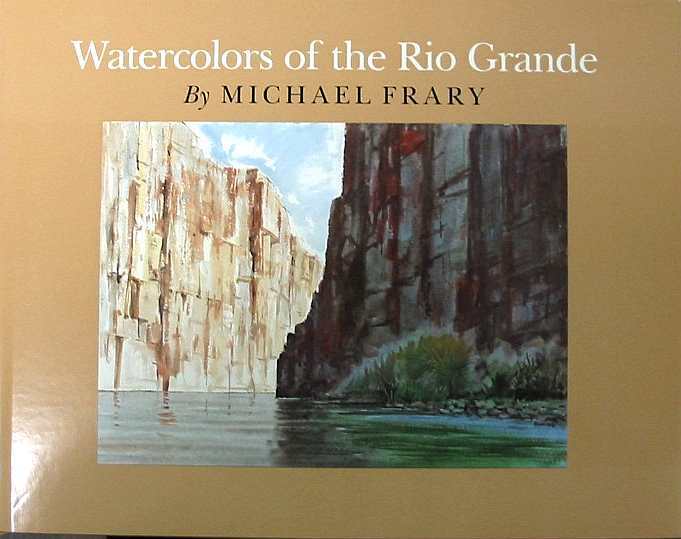 48 lovely watercolor paintings trace the Rio Grande over 1,880 miles from its headwaters on the Continental Divide, through the southwest, the canyons of Big Bend and onward to the Gulf. 11 x 9 format. Tokyo: Kodansha, 1972. 184 pages. Hardcover. Preface by John A. Pope is a biographical essay of Charles Lang Freer. Explanation of the plates is by Thomas Lawton. There are 131 plates, mostly in full color. Includes very good slipcase. 15 inches tall. London: Conway Maritime Press, 1987. Reprint. 174 pages. Hardcover. 0851774687 0-85177-468-7. Historical background on housing prisoners of war, tools and materials used in the art, and history of the models. Appendices, including a glossary and bibliography. New York: Weatherhill/Shibundo, 1973. 1st ed. 142 pages. Paperback. 0834827050 0-8348-2705-0. 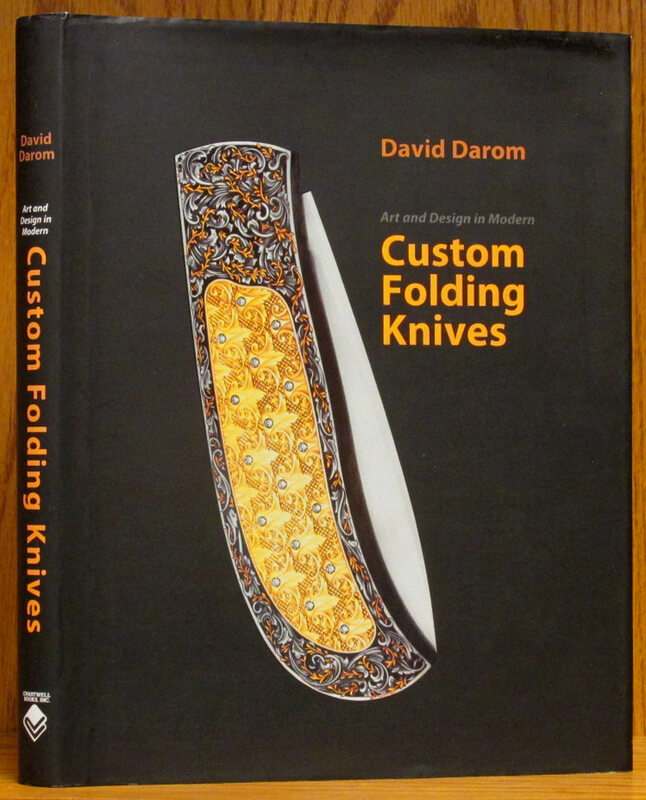 Provides a wealth of information about the history of each utensil, its aesthetic values, and its role in the ritual. Filled with b/w and color photos. 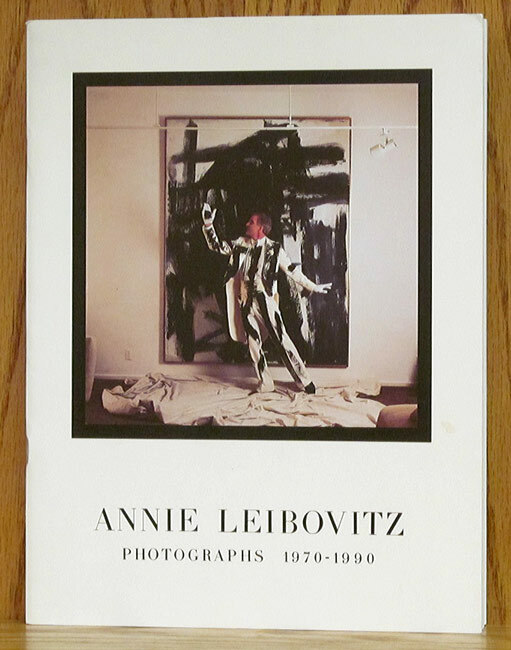 New York: Beaux Arts Editions, 1997. 320 pages. Hardcover. 0883632594 0-88363-259-4. 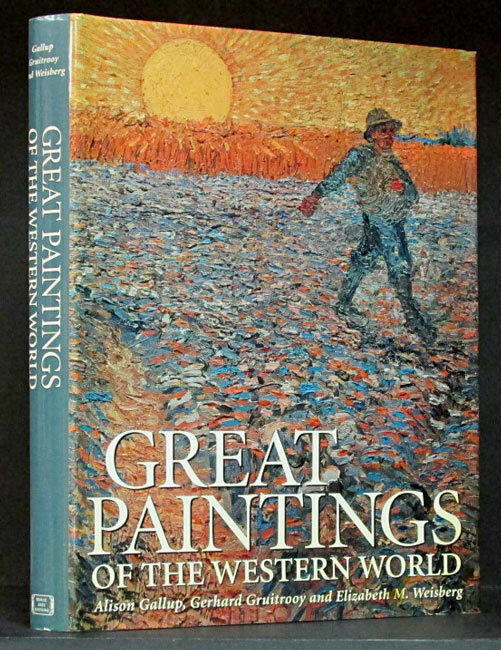 300 color images of many of the world's greatest paintings, with information about the work and the artist. New York: Studio Publications, 1949. 72 pages. Hardcover. PON inked FEP, o/w clean and tight. B/w pictures throughout. Dj is insect nibbled on edges, and spine top chipped. New York: Time, 1990. 192 pages. Wraps. Thirty years of U.S. and World history preserved in photos from the magazines of Time,Inc. Secaucus, NJ: Chartwell Books, 1982. 128 pages. Hardcover. 0890095612 0-89009-561-2. 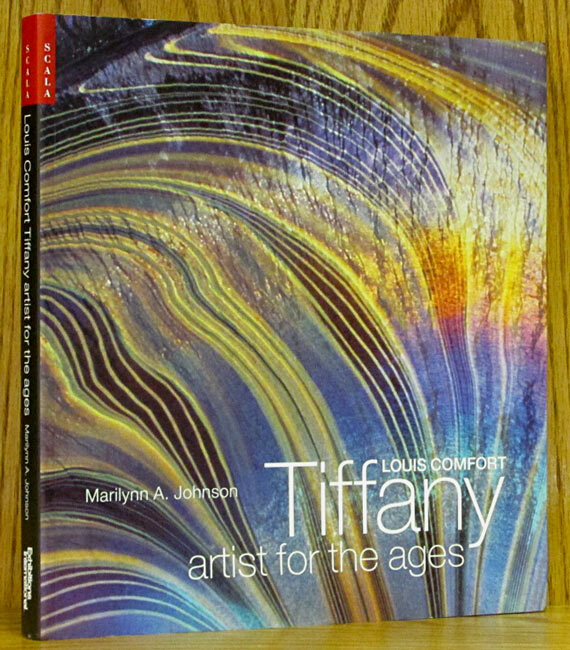 Author explores the use of filters, prism, soft focuts, color effects, close-ups, multiple exposure, infared, etc. Nice color photos, tasteful nudes. New York: Harry N. Abrams, 1991. 250 pages. Hardcover. 0810931184 0-8109-3118-4. Excellent photo history of the New York Borough, its inhabitants, architecture and culture. 279 excellent b/w photos and illustrations printed on heavy, glossy paper. 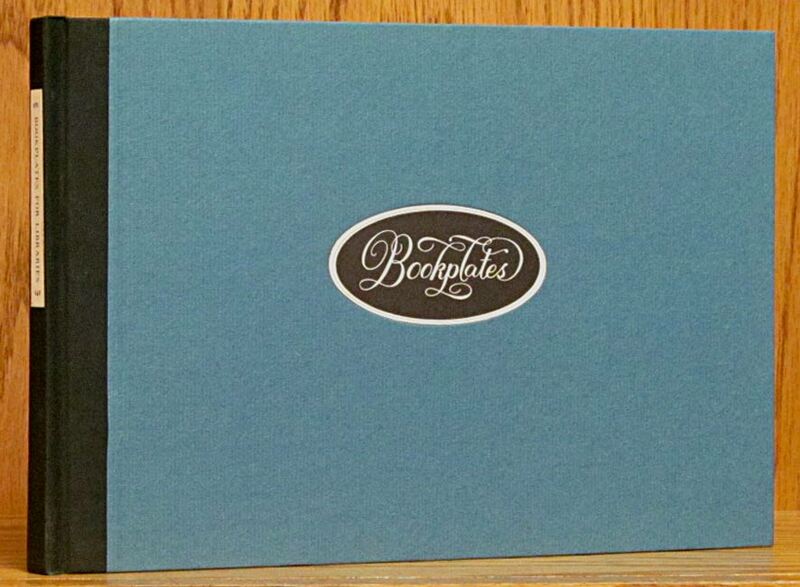 9.25 x 12 inch format in maroon cloth covers. London: Miller's, 2004. 1st ed. 271 pages. Hardcover. 184000987X 1-84000-987-X. 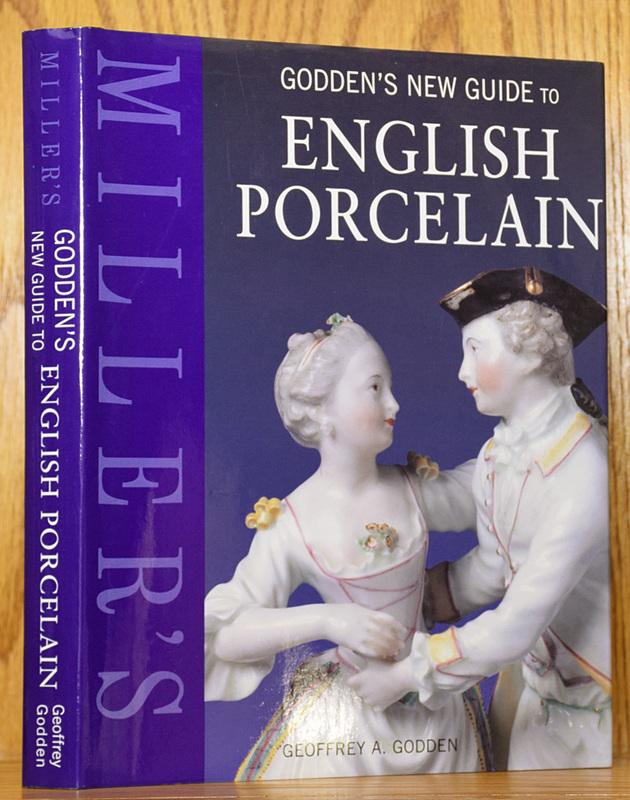 History of porcelain and its makers. Hints on forming a collection. Values and comments, bibliography, and index. 270 color photos. Scottsdale, AZ: Am. 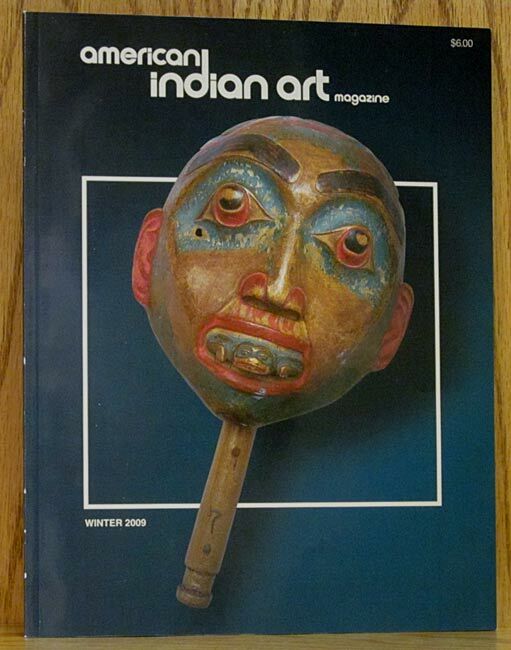 Indian Art Magazine, 199. 114 pages. Paperback. Articles on Kokopelli, Navajo sand paintings, Inuit "Coats of Eider" exibition, and artifacts of Benjamin West studio are included in this issue. Filled with color and B/w photos. Scottsdale, AZ: Am. Indian Art Magazine, 199. 1st ed. 112 pages. Paperback. 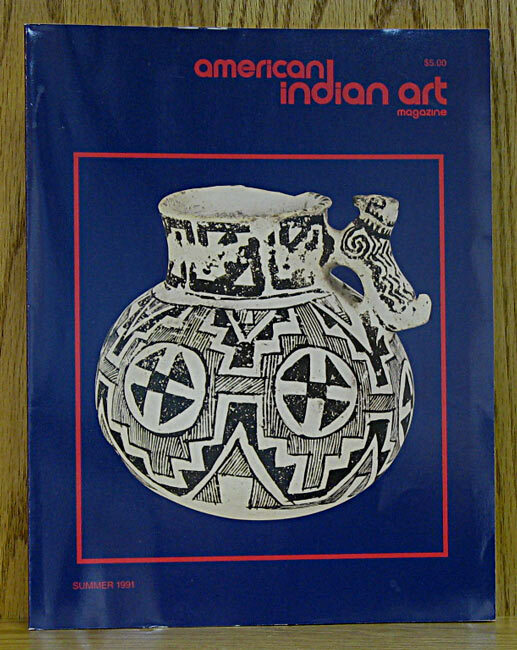 Articles on Wasco-style bead work, Museum Northern Arizona, Navajo wedge-weave textiles, early garments of the Alaskan coast are included in this issue. Filled with color and B/w photos. Denton: Univ. North Texas, 1991. 1st ed. 357 pages. Hardcover. 0929398335 0-929398-33-5. 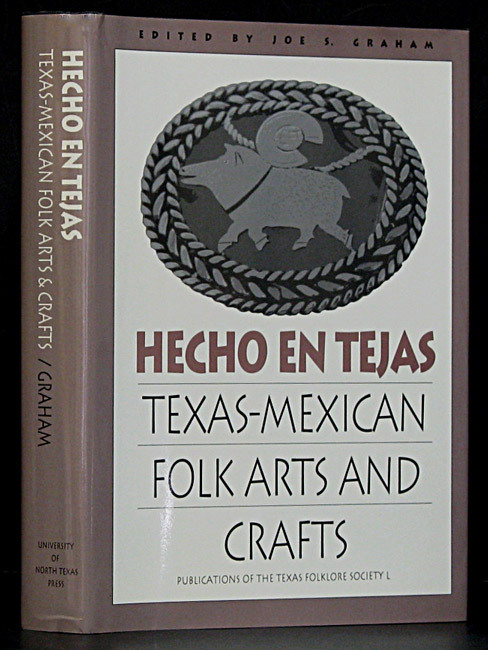 Shows the richness of Tejano Folk arts and crafts traditions which are part of our Spanish-Mexican legacy in Texas. College Station: Texas A & M, 1993. Reprint. 158 pages. Hardcover. 0890960887 0-89096-088-7. 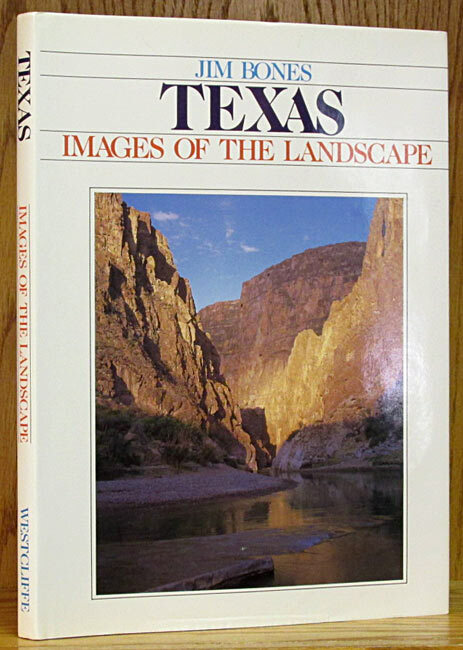 202 color photos show the beauty and diversity of Texas land, with an introduction by John Graves. New York: Design Press, 1989. Reprint. 128 pages. Paperback. 0830655018 0-8306-5501-8. 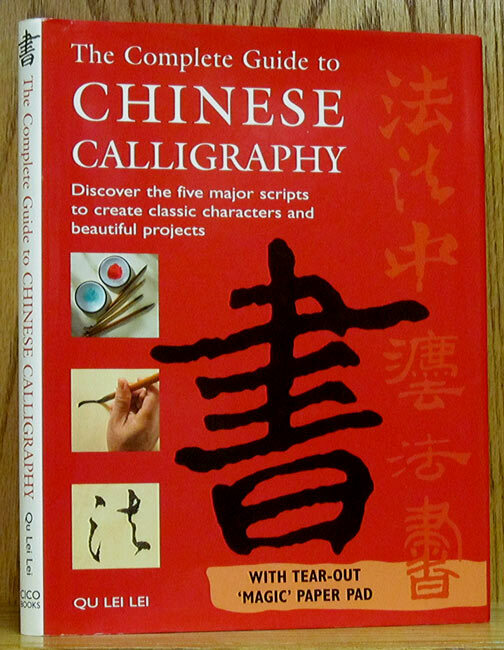 History of development of writing and instruction for all forms of calligraphy. Illustrated throughout. London: British Museum Press, 1996. 1st ed. 304 pages. Hardcover. 0714126063 0-7141-2606-3. 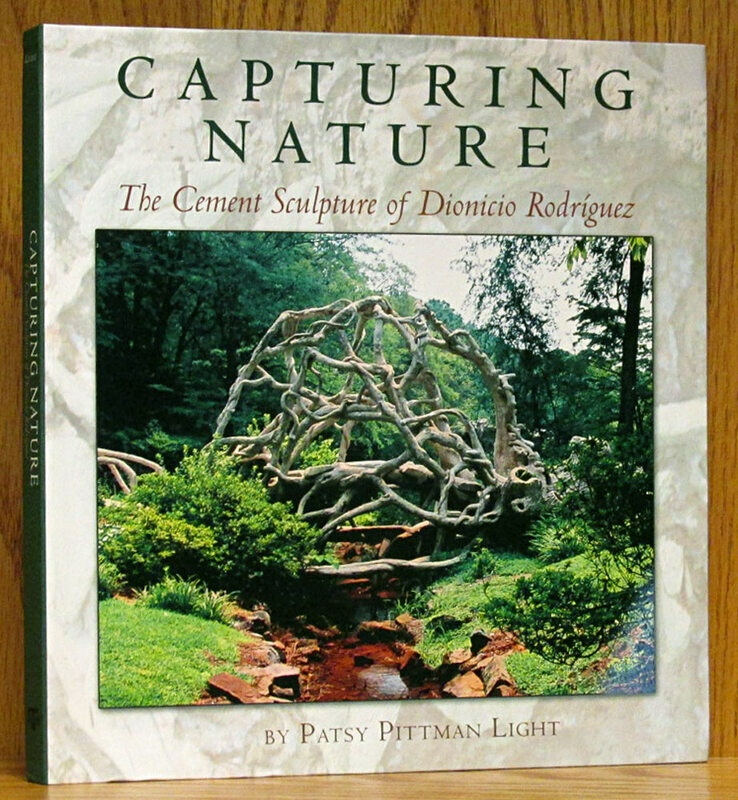 Published to accompany an exhibition in 1996-97 shown in Houston, San Marino, Baltimore, and Minneapolis. Contains 9 color and 159 B/w illustrations. New York: Winchester Press, 1970. 1st ed. 152 pages. Hardcover. 0876910134 0-87691-013-4. Color plates and drawings throughout showing unusual sports played in cultures around the world. Landscape format. Boards covered in white linen cloth. Foreword by Arnold Gingrich. College Station: Texas A & M, 2013. 1st ed. 164 pages. Paperback. 1933896868 1-933896-86-8. Buildings made from salvaged materials turn into works of art. Boston: David R. Godine, 1993. 1st ed. 232 pages. Hardcover. 0879239395 0-87923-939-5. Biography of leader in nineteenth-century Canadian photography, and hundreds of b/w images. Black cloth-covered boards with bright copper title blocks on front and spine. New York: Metropolitan Museum Art, 2000. 1st ed. 318 pages. Paperback. 0870999389 0-87099-938-9. 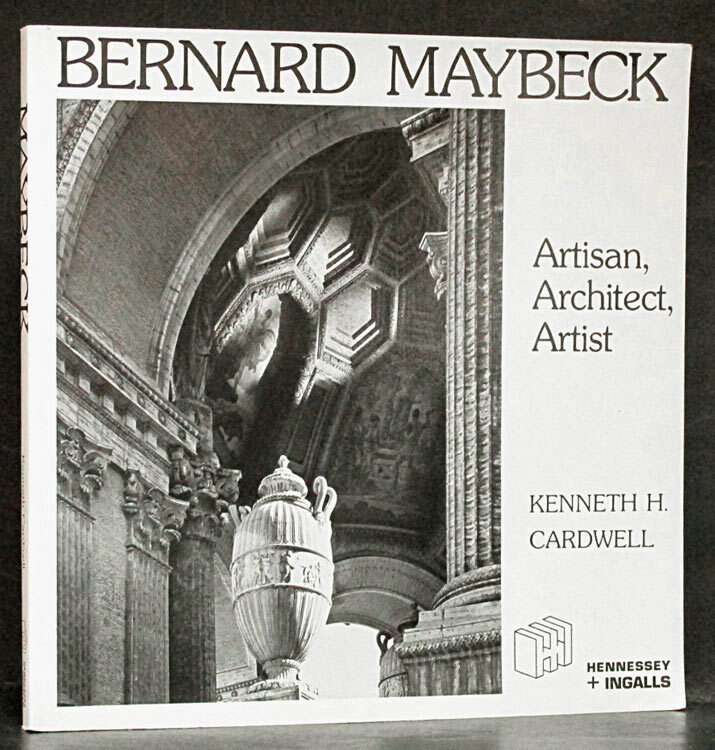 Fine biography and catalog of the exhibition held at the Metropolitan Museum of Art in early 2000. 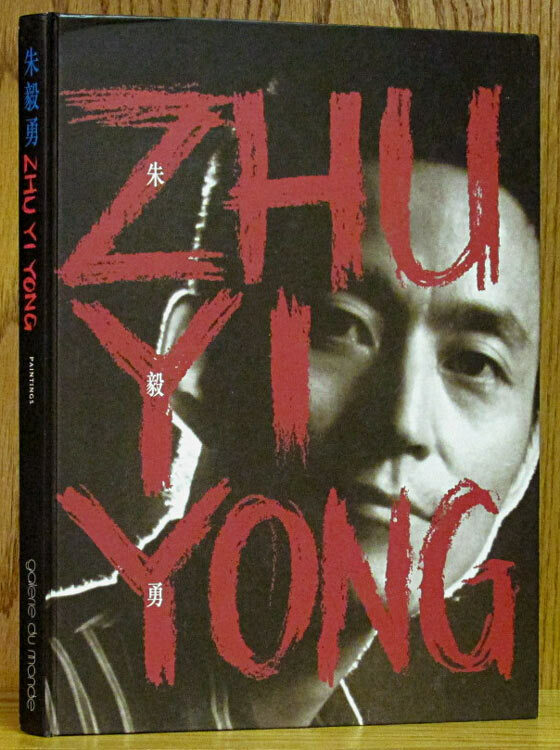 The first half of the book presents his life and progression of works. The last half are plates from the exhibition which were pulled from many collections and donors. A great resource on one of Americans great photographers and chroniclers of the human experience during the Great Depression and early 20th century. Austin: Amon Carter / U.T. Press, 1971. 1st ed. 350 pages. Hardcover. 0292701101 0-292-70110-1. 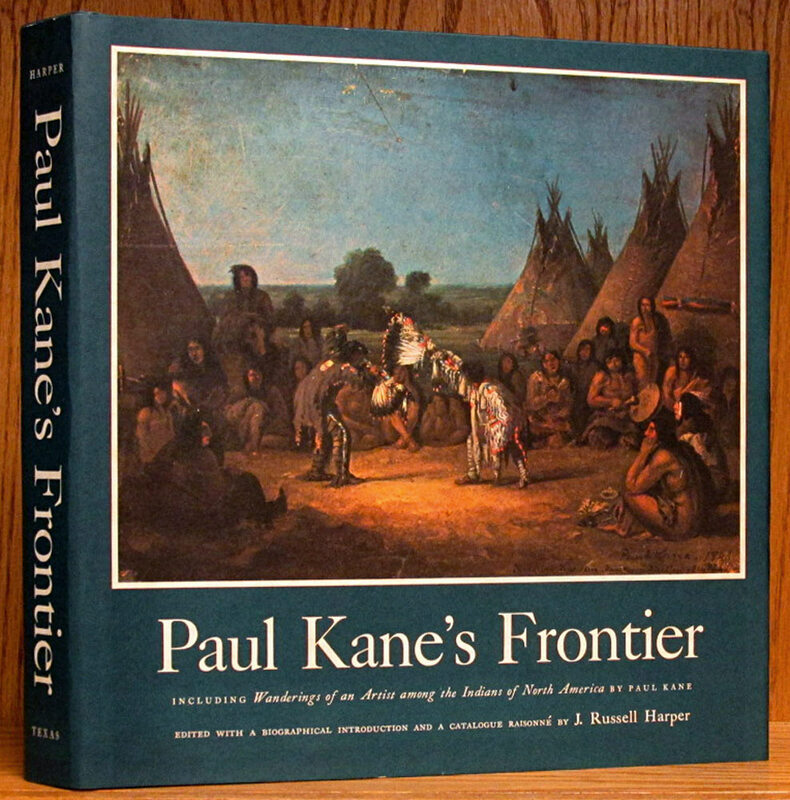 Fine biography of Kane and his work among the Indians in Canada and the Pacific Northwest. Stunning pencil skethces as well as full color reproductions. Well noted and indexed. 48 color plates, 204 b/w illustrations. Catalogue raisonne. New York: Crescent Books, 1990. 1st ed. 64 pages. Hardcover. 0517025396 0-517-02539-6. Over 100 color photos provide a photographic tour of the state. 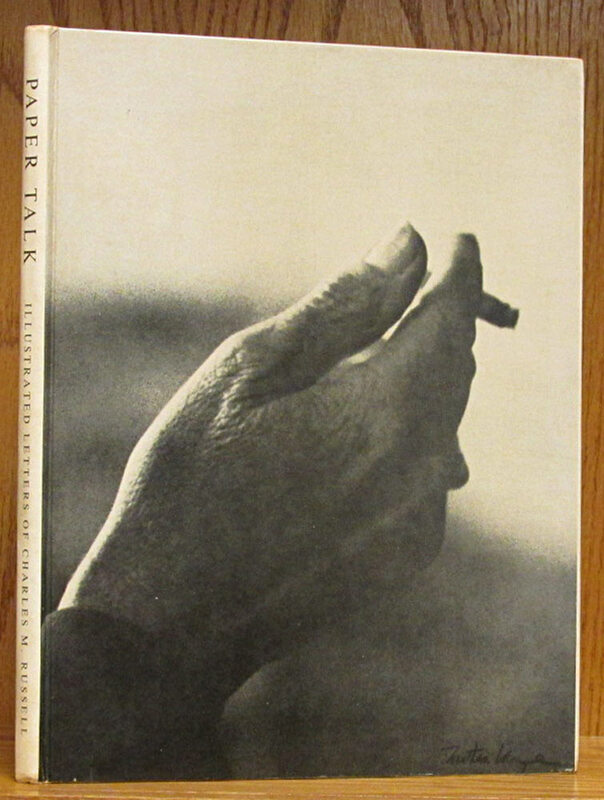 New York: HartPublishing, 1969. 1st Am. ed. Hardcover. 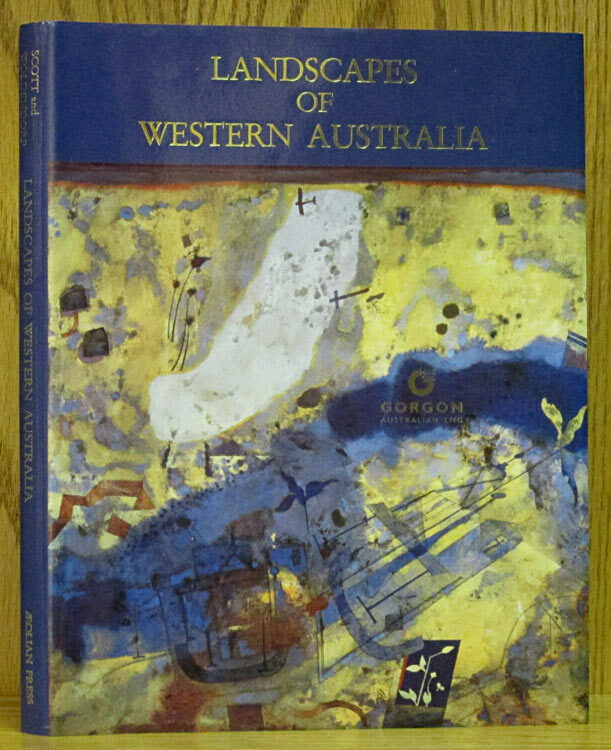 One hundred fifteen drawings, paintings, and antique photos illustrate Australia's colonial period. Utica, NY: North Country Books, 1986. 1st ed. 127 pages. Hardcover. 093205241X 0-932052-41-X. Photographic essay on the mountain areas of New York State. SIGNED on the front endpaper by the author/photographer. New York: Rizzoli, 2000. Reprint. 239 pages. Paperback. 0847823253 0-8478-2325-3. Overview of the museum's permanent collection, with a great number of color photos, list of artists in the collection, and index. Exton, PA: Schiffer Publishing, 1982. 368 pages. Hardcover. 0916838692 0-916838-69-2. 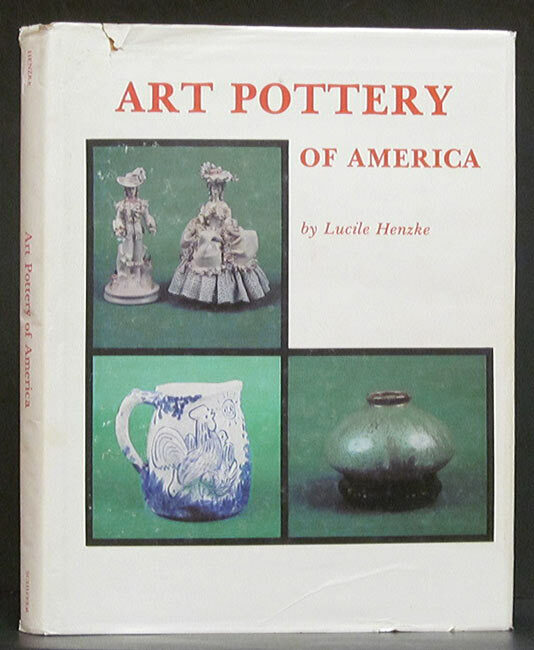 Guide to makers and designs of art pottery. Hundreds of b/w photos, makers' marks, hallmarks and other identifiers. Small section of color photos. New York: Watson-Guptill, 1987. 1st ed. 144 pages. Hardcover. 0862873908 0-86287-390-8. 150 color and 25 b/w illustrations. 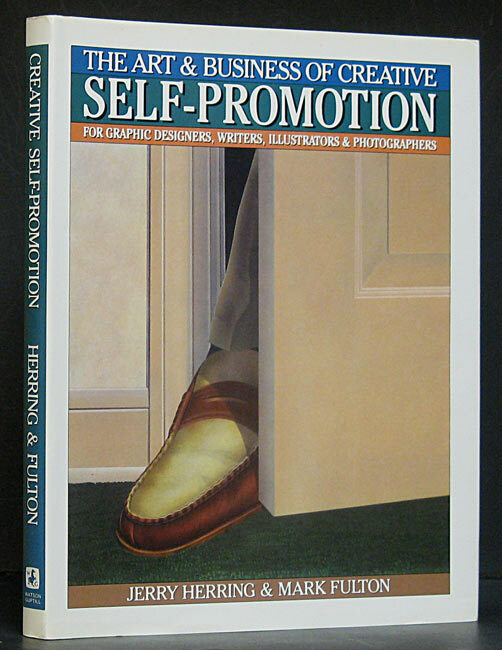 This book talks about the whys, whats, whens, and hows of self-promotion for creative people. London: Scala/Philip Wilson, 1980. 144 pages. Paperback. 0856670936 0-85667-093-6. 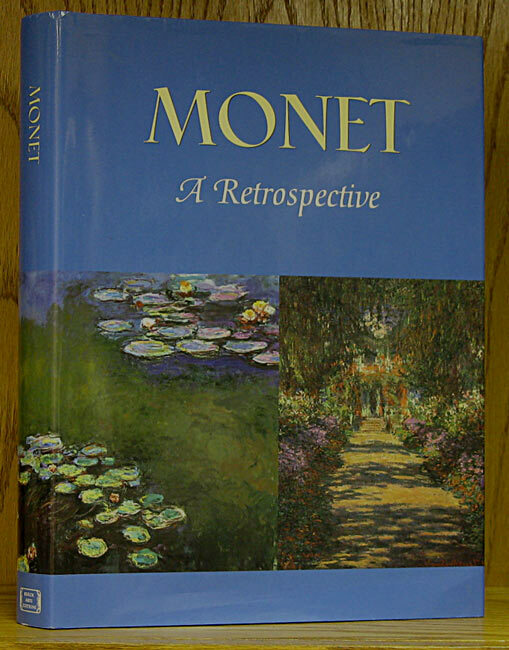 A catalog of paintings collected by Norton Simon. Firenze, Italy: Innocenti, no date. 96 pages. Paperback. Photos in b/w and color illustrate this collection of Michelangelo's work. Santa Fe: Kiva Publishing, 1995. 1st ed. 64 pages. Paperback. 1885772068 1-885772-06-8. 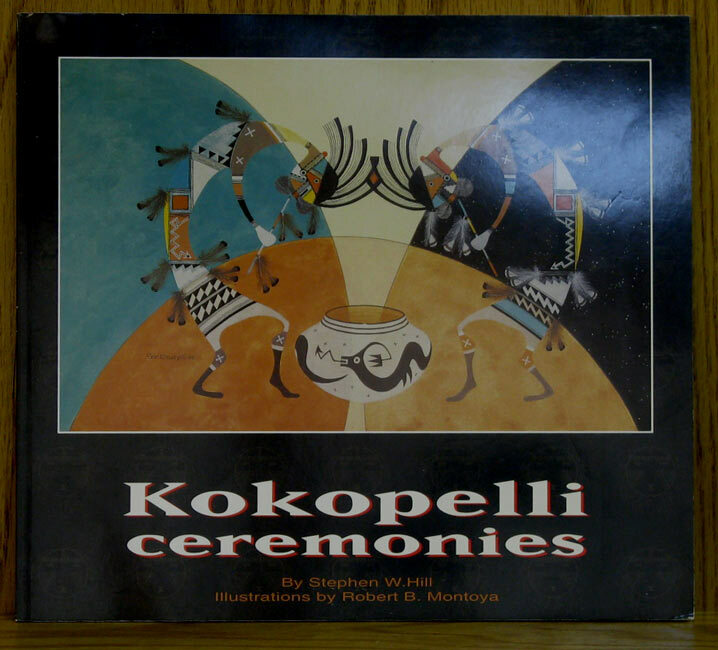 Discussion of the Kokopelli myths illustrated with drawings, maps, and paintings by Robert B. Montoya. New York: Simon & Schuster, 1980. Reprint. 160 pages. Paperback. 0671412329 0-671-41232-9. Tells the story of beloved interpreter of the spirit of twentieth-century America and his paintings for Brown and Bigelow and the Boy Scouts. Full-page plates in color and other illustrations in color and b/w. Houston: Rice University, 1971. 1st ed. 502 pages. Hardcover. 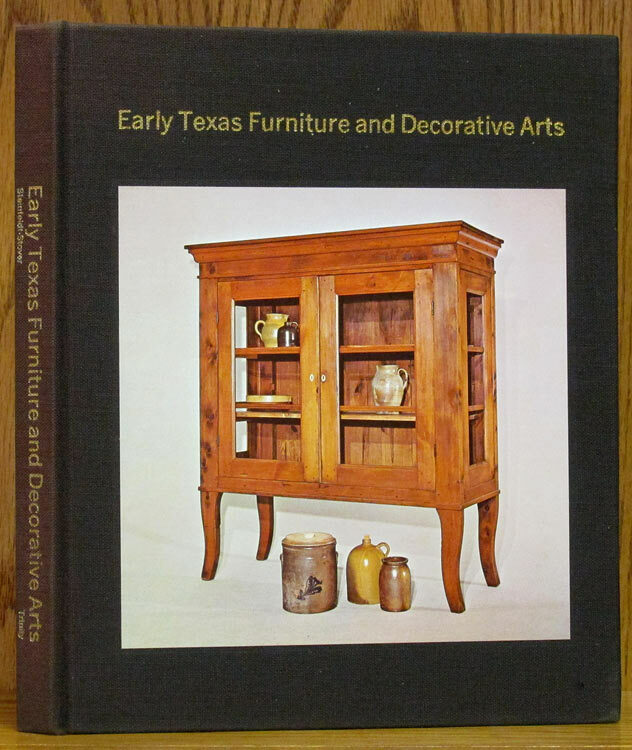 Catalog of exhibition put together by several Texas museums in 1969. 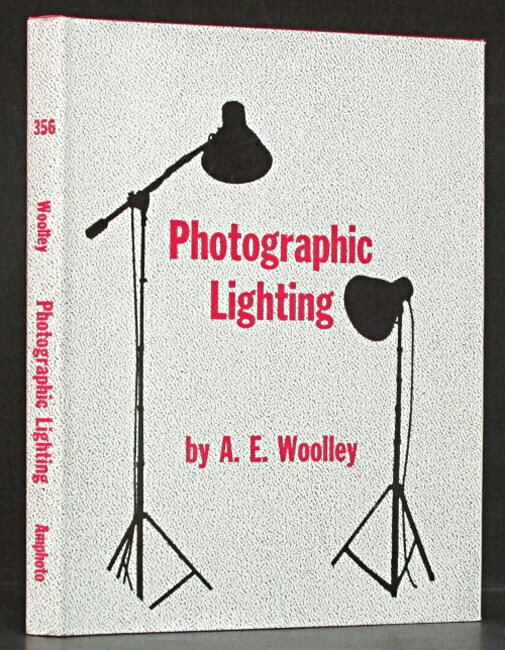 B/w photos of hundreds of items with their descriptions by the author. Tan cloth. no place: Antique Collectors Club, 1990. 1st ed. 176 pages. Paperback. 0902028448 0-902028-44-8. Twenty-seven articles from the early years of THE STUDIO. The magazine became almost the 'Bible' for modern, stylish living, focusing attention on art, furniture, interiors, fabrics, architecture, and manageable, modern ways of living. New York: William H. Wise & Co., 1923. Reprint. 240 pages. Hardcover. 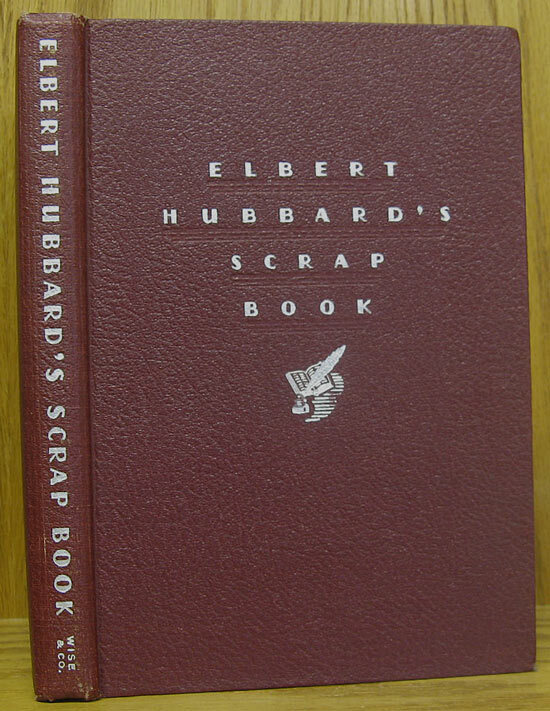 Hubbard's collection of quotations on many subjects. In maroon cloth with silver lettering. 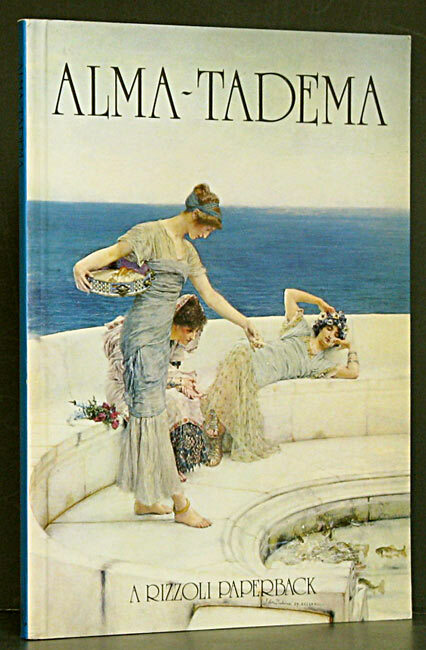 Published posthumously in 1923 after the Hubbards' deaths during the sinking of the Lusitania in 1915. Cleveland: World Publishing, 1928. Reprint. 358 pages. Hardcover. Book is clean, tight, unmarked in original gift mailing box provided by the publisher. It has always been in the box, thus protected from ageing. (never mailed) Brown embossed boards with gilt title in green panel on spine and gilt decoration. Discussion of 12 artists, from Raphael to Whistler. Skookumchuck, BC: Canadian Caboose Press, 19. 1st ed. 144 pages. Paperback. 092069862X 0-920698-62-X. Drawings by Okan Hungry Wolf, b/w photos, and section of color photos. 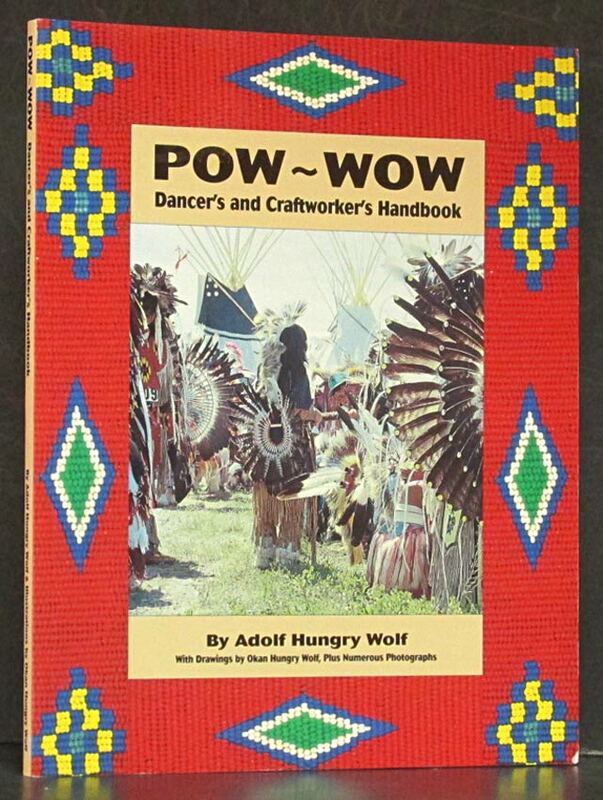 Drawings and directions for making many of the pieces of the clothng for the dances at Pow-Wow. Austin: Shoal Creek, 1978. 1st ed. 172 pages. Hardcover. 0883190370 0-88319-037-0. The life & art of Texas sculptor Waldine Tauch, whose works include statues of MacArthur, Moses Austin, John Allen Walker & others. B/w photos, appendix with list of her major works. SIGNED by the author on the half-title page. Leipzig, GDR: Edition Leipzig, 1973. 1st ed. 60 pages. Hardcover. A child's history of the ways artists have portrayed flora, fauna, and the outdoors since earliest times. Illustrated throughout in b/w and color. New York: Intl. Center Photography, 1991. 1st ed. 32 pages. Paperback. Two essays, chronology of her work, 20 pages selected photos from the National Portrait Gallery exhibition organized in 1991. Title list laid in back. 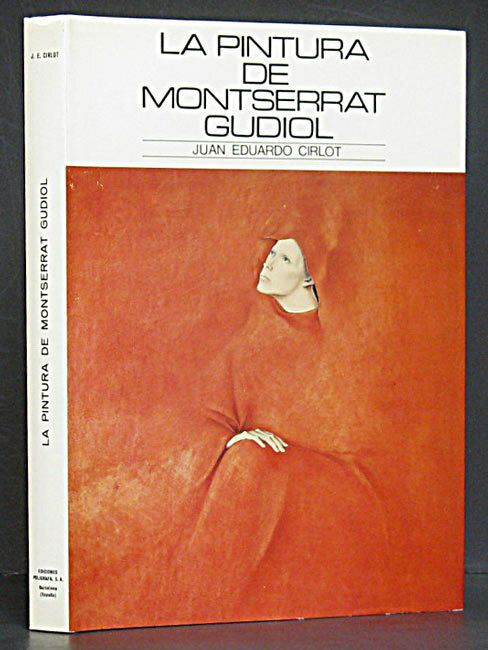 French-flap style soft cover. New York: St. Martin's, 1986. Reprint. 48 pages. Paperback. 0856708801 0-85670-880-1. 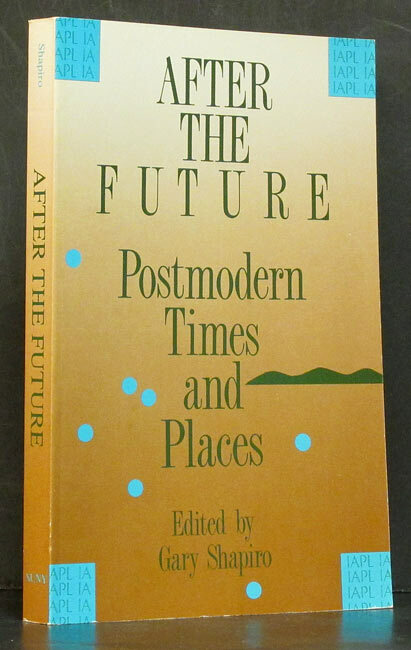 Jencks describes the twisting path of the growth of Post-Modernism, and tries to give meaning to it. Many color plates of art and architecture. New York: Rizzoli, 1983. 1st ed. 342 pages. Paperback. 0847805034 0-8478-0503-4. Primitive works made by contemporary, self-taught artists are displayed in full color page size plates, along with info about the maker. College Station: Texas A & M, 1979. Reprint. 175 pages. Hardcover. 0890960739 0-89096-073-9. 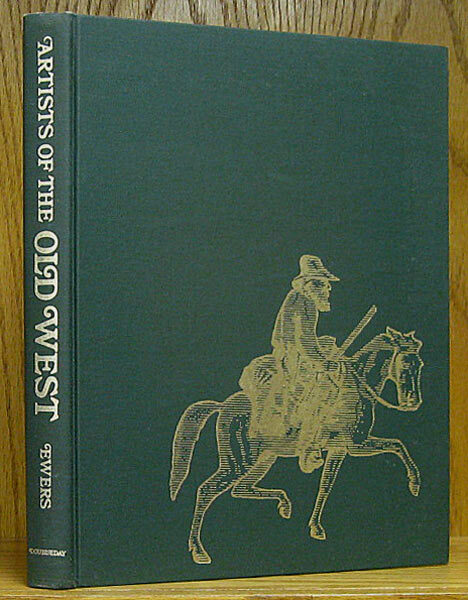 With a forward by Tom Lea, this biography of a colorful & varied career in the American West, is the story of H.O. 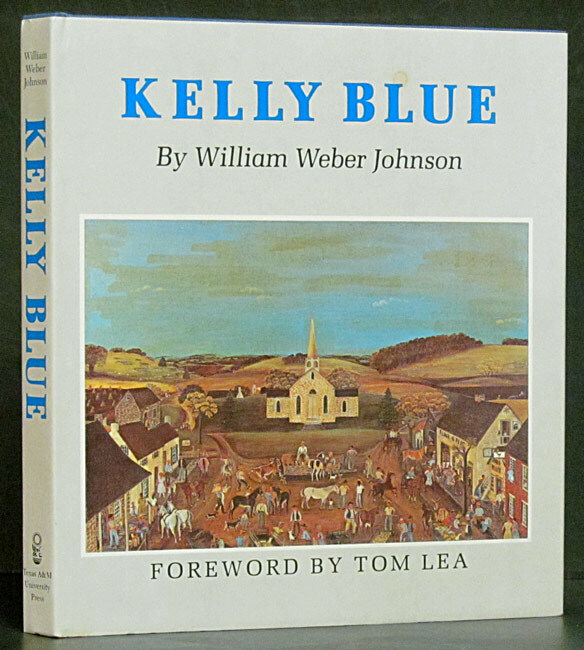 "Cowboy" Kelly who's nostalgic paintings are a memorial to a vanished time in the West. London: Scala, 2005. 240 pages. Paperback. 1857594142 1-85759-414-2. B/w and color photos throughout. Biography, history and catalog of exhibit hosted by museums in Seattle, Toledo, Dallas, and Pittsburgh. Softcover in French-flap design. Large 10.25 x 11 inch format. Oakland, CA: Oakland Museum, 1972. 1st ed. 105 pages. Paperback. Catalogue of exhibition at the Oakland Museum May 12-July 30, 1972. 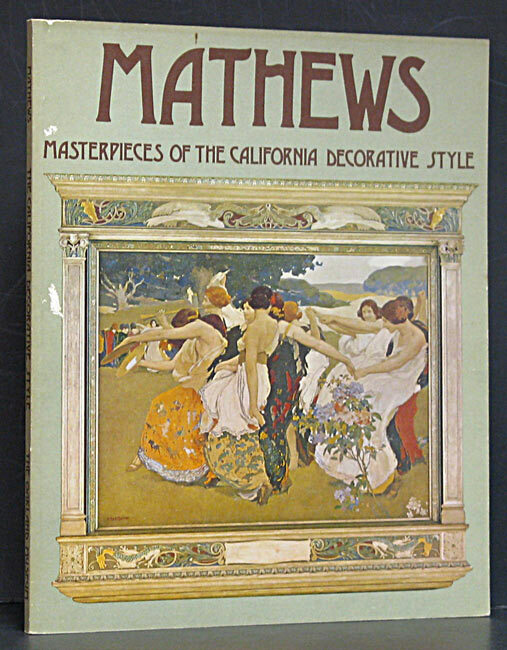 Finely crafted works of Arthur F. Mathews and Lucia K. Mathews ranging from murals to easel paintings, frames, furniture, decorative objects, and publications. 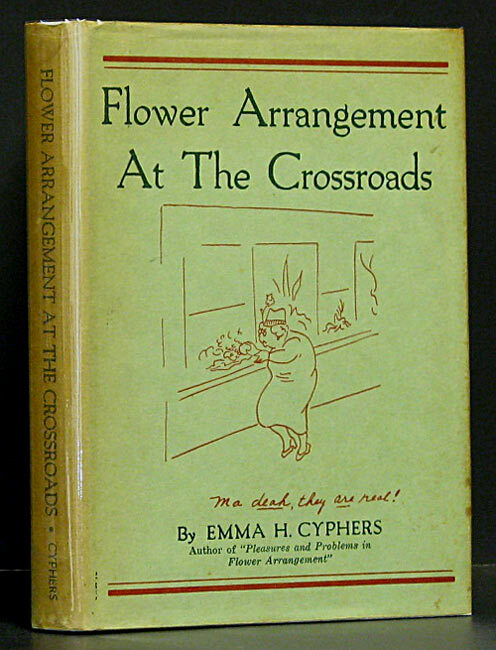 Illustrated throughout with color and b/w images. New York: Vantage Press, 1986. 1st ed. 25 pages. Hardcover. 0533066999 0-533-06699-9. Woody, the bookworm tells in rhyme about the lives and works of four French artists; Seurat, Cezanne, Van Gogh, and Gauguin. Inscribed and signed on front endpaper by the author. 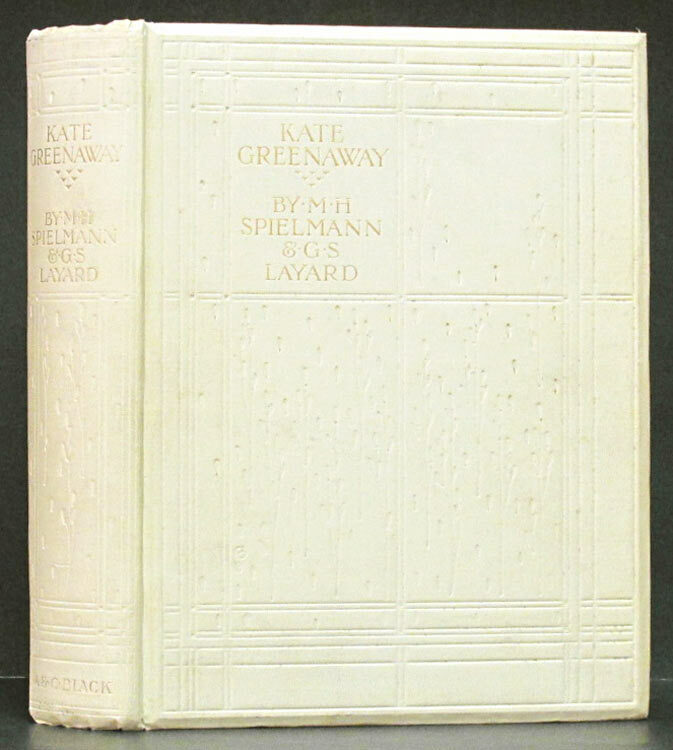 Dark green boards with bright gilt title on spine. 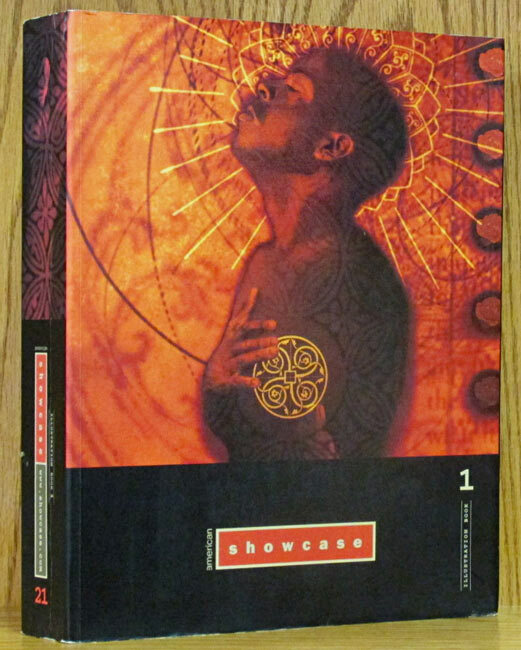 New York: Viking Press, 1994. 1st Am. ed. 288 pages. Hardcover. 067085350X 0-670-85350-X. Organized as a graduated course, this is an encyclopedia of practical advice and tricks of the trade, including technical details. 600 photos. Mexico City: EdaMex, 1983. Limited ed. 140 pages. Hardcover. 9684092342 9-6840923-4-2. Special edition with tipped-in folder containing hand embossed and tinted art-work, SIGNED by the artist and numbered 47/100. Text in Spanish, English, and French. 87 pages of text, followed by 52 b/w and color plates, and folded index to the plates. Two copies of glasine protector decsribing the artwork 'Desnudo a la Ventana' are laid in. Published for 1983 exhibit at Gerhard Wurzer Gallery in Houston. 8 inch square format. 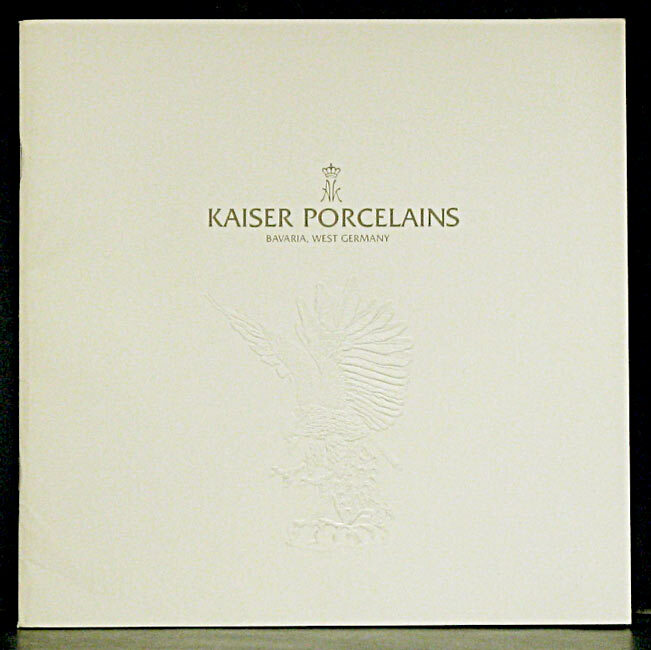 Bavaria: Kaiser Porcelains, 1977. 39 pages. Paperback. Undated product catalog fom Kaiser, with color photos throughout, along with a separate, but matching, price list from January 1977. Boston: Bullfinch Press, 1987. Reprint. 410 pages. Paperback. 0821225545 0-8212-2554-5. Eight essays by distinguished authors, more than 300 illustrations, 55 in color. 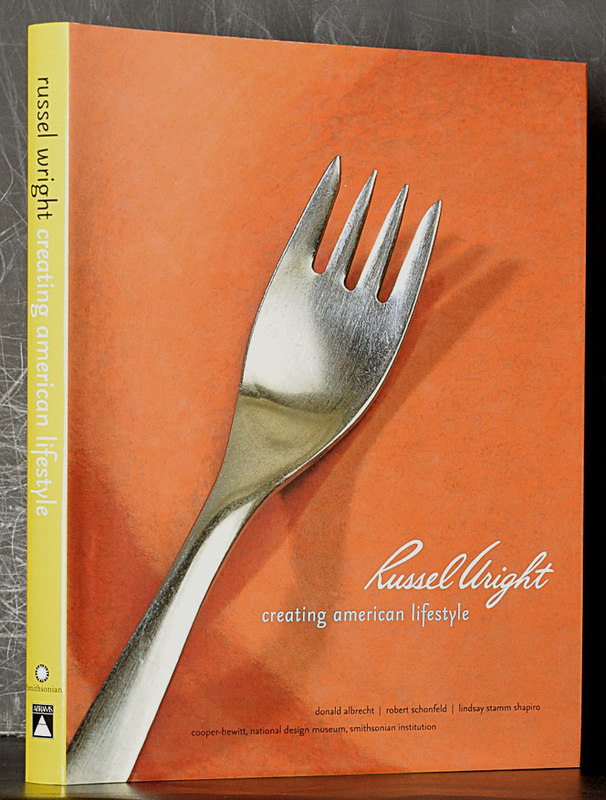 This book serves as a reference on American design reform. 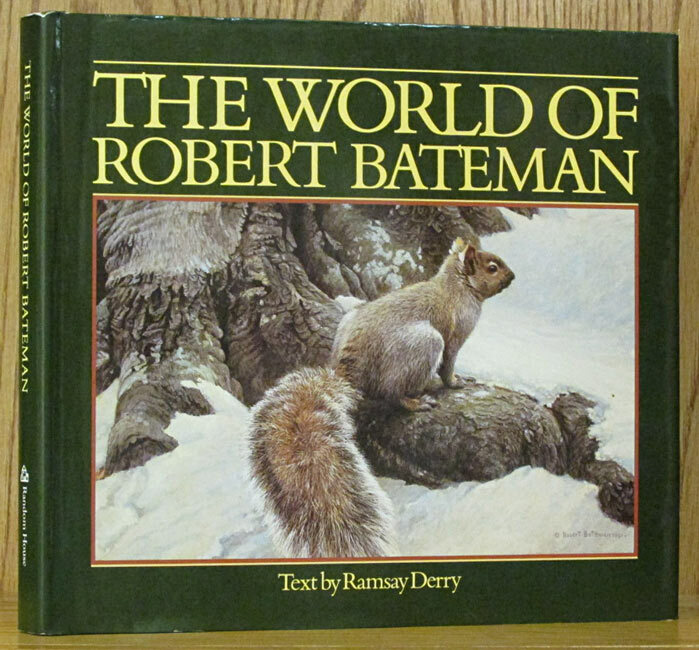 1st trade paperback printing of the 1987 original hardcover. New York: Harry N. Abrams, 1991. 1st Am. ed. 200 pages. Hardcover. 0810938189 0-8109-3818-9. 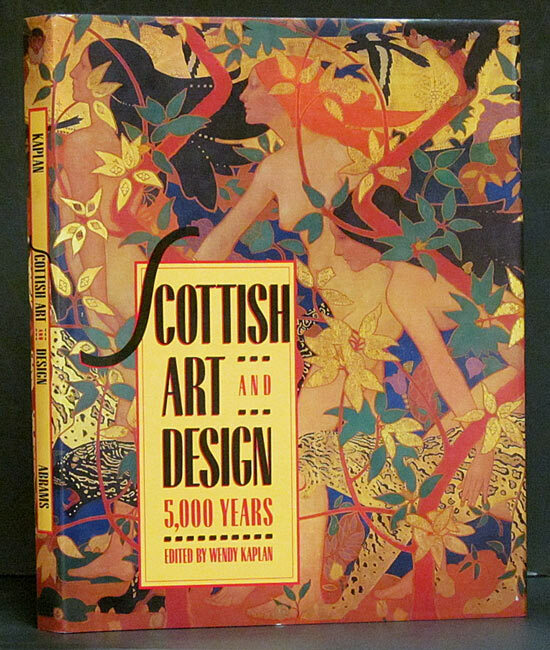 Seeks to identify and reveal characteristics evident in the finest Scottish painting, sculpture, architecture, interior design, textiles, books, jewelry, and more. Birmingham, Al: Crane Hill, 1994. 1st ed. 224 pages. Hardcover. 1881548074 1-881548-07-4. Profiles of 31 artists and over 125 color reproductions of their work. Signed on the half-title page by both authors. New York: Amphoto, 1960. 1st ed. 164 pages. Hardcover. 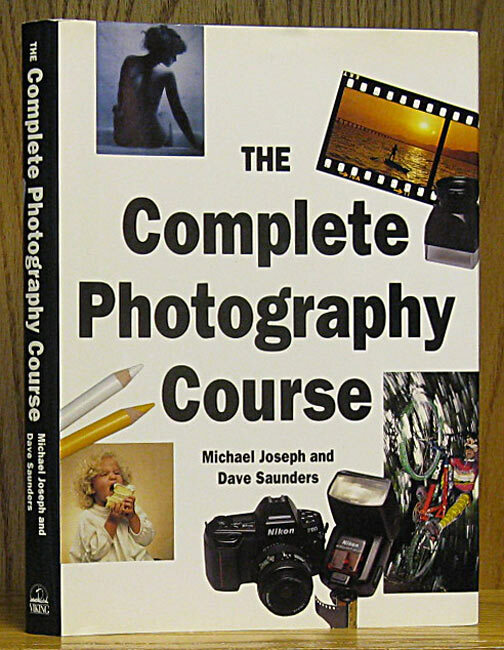 Direct, unstuffy information with entertaining analysis and critique of the single lens reflex and how to use it. Paducah, KY: Collector Books, 2002. 3rd ed. 301 pages. Hardcover. 1574322567 1-57432-256-7. Hundreds of b/w and color illustrations. 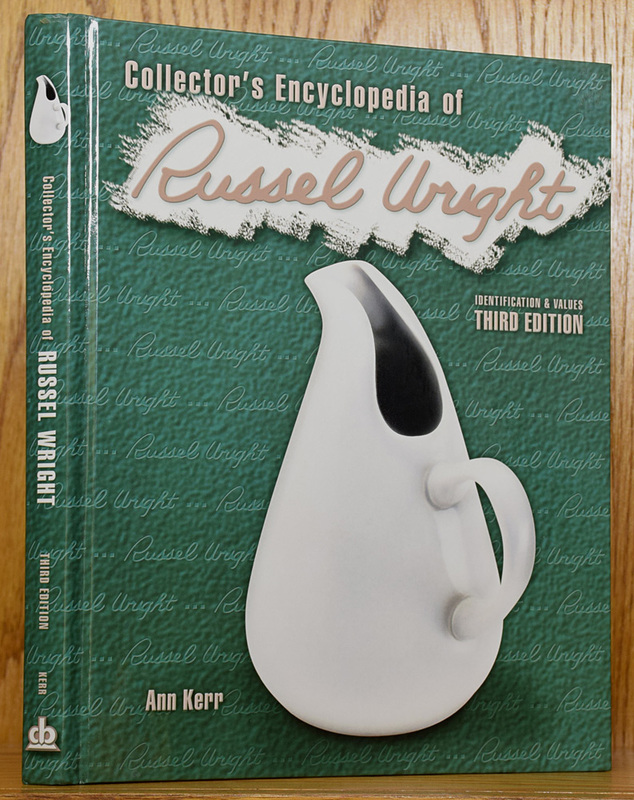 Includes Wright biographical essay. New York: William Morrow, 1968. 1st ed. 127 pages. Hardcover. 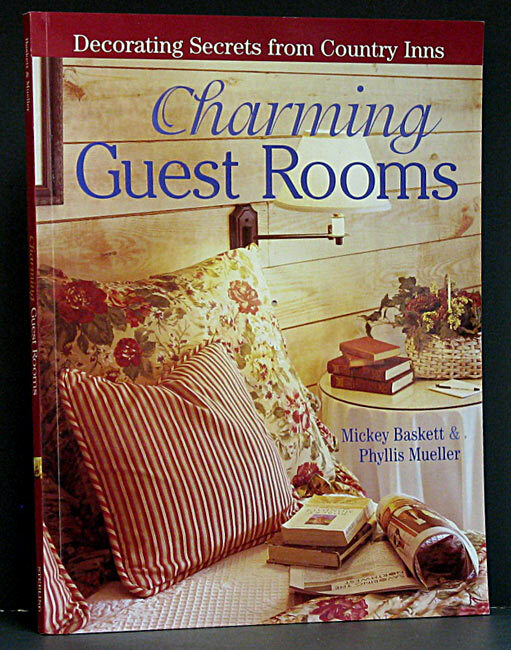 Where to find weathered wood, how to clean, join, and design arrangements with it are covered in this helpful book. Seasonal, abstract, holiday & general designs are pictured in b/w & color. Includes guides for point-scoring in shows. 12 pages in color and 55 b/w photos. Des Moines, IA: Better Homes/Gerdens, 1988. Reprint. 256 pages. Hardcover. 0696016702 0-696-01670-2. 300 photos in and around some of America's most delightful country settings will give you ideas to use for your own place. New York: Meredith Press, 1990. 192 pages. Hardcover. 0696016354 0-696-01635-4. How-tos, ideas, directions and patterns for lots of projects, including home decor, furniture, toys, gifts, and Christmas. London: Thames & Hudson, 1994. Reprint. 216 pages. Paperback. 0500202567 0-500-20256-7. 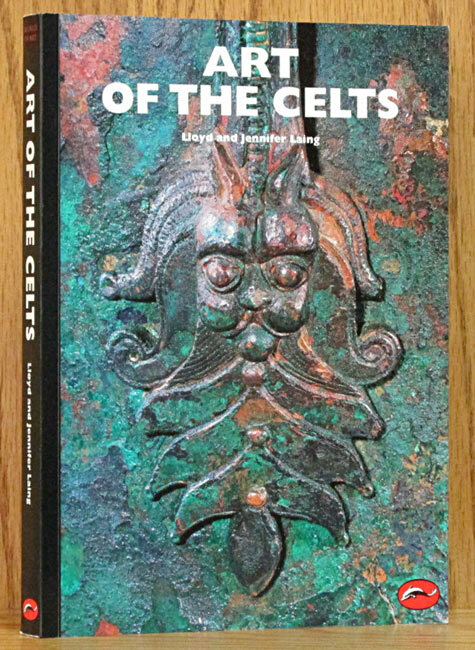 From 700 BC to the Celtic Revival with 212 illustrations, 22 in color. New York: Knopf, 1990. 1st ed. 244 pages. Hardcover. 0394571568 0-394-57156-8. Woodcarving, pottery, rugmaking, painting, and more are featured in 350 color photos of artworks from the eighteenth through the twentieth centuries. New York: Thomas Crowell, 1975. 1st ed. 224 pages. Hardcover. 0690009704 0-690-00970-4. Paintings and sculptures from around the world and many ages depicting mothers and their off-spring. Index of the artists, and separate index of the commentators. Christmas inscription signed by the author and dated 1975. Hanoi: Art Vietnam, 2005. 1st ed. Paperback. Retrospective for exhibit curated by Suzanne Lecht, presented in 2005 in London and in Austin. 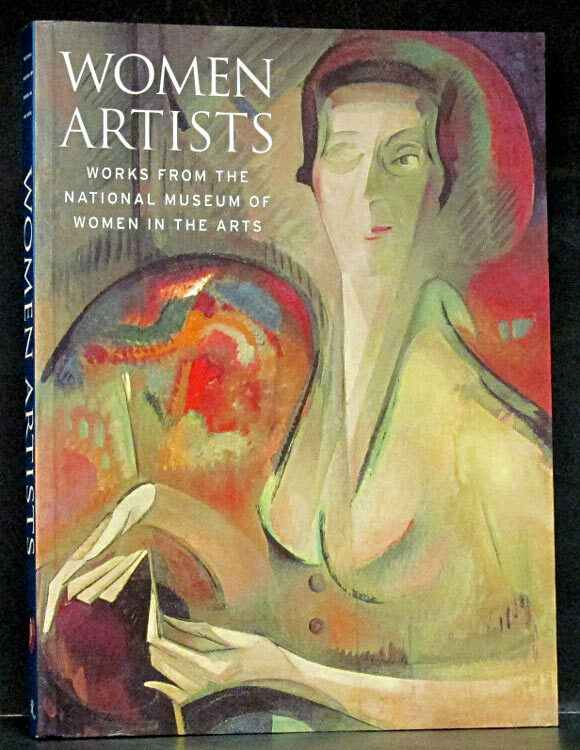 In this book the author discusses the life and work of the ten artists featured in the exhibit. 11.5 X 8.25 inches landscape format. London: Cico Books, 2007. 1st ed. 144 pages. Hardcover. 1904991866 1-904991-86-6. Five major scripts to create classic characters and beautiful projects, including games, cards, and decorative items. Complete with 'magic' practice paper to be used over and over. Chicago: Contemporary Books, 1978. 1st ed. 247 pages. Hardcover. 0809273365 0-8092-7336-5. 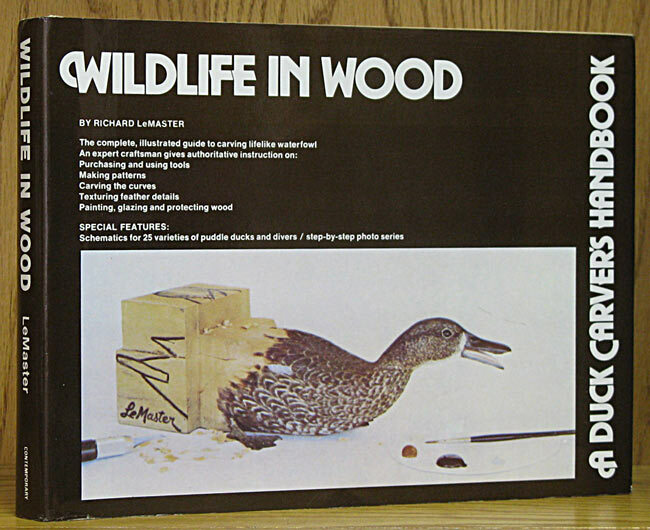 The complete, illustrated guide to carving lifelike waterfowl. Schematics for 25 varieties of puddle ducks and divers, with step-by-step photos. Groningen: B.V. Foresta, 1983. Reprint. Hardcover. Repring of the classic 1860 edition, being an artistic study of 36 Dutch castles, with a lovely sepia pointillistic etching and brief description of each. In green cloth covers with gilt lettering. New York: Harry N. Abrams, 1975. 1st ed. 303 pages. Hardcover. 0810904691 0-8109-0469-1. 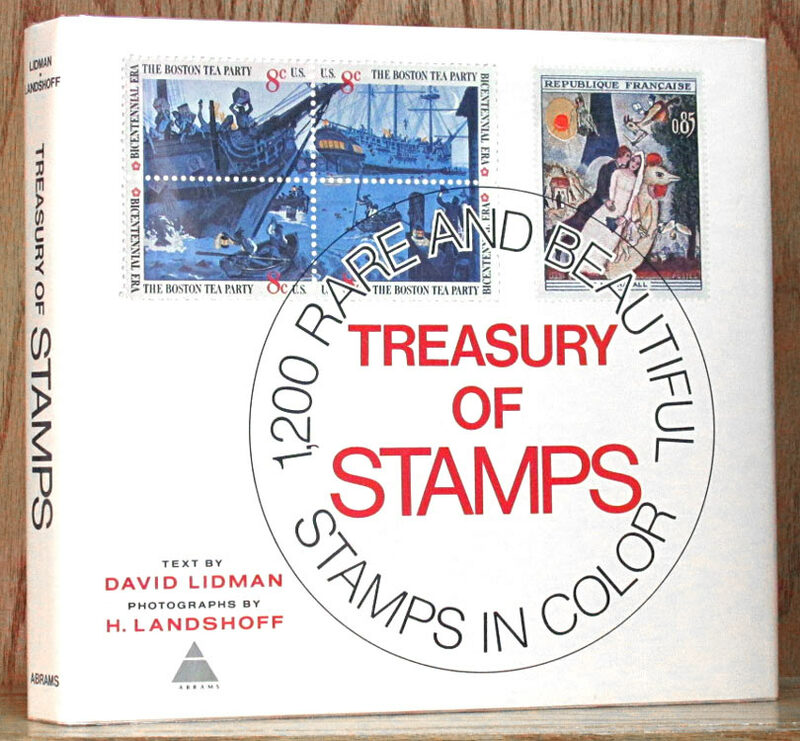 Includes a large tri-fold portfolio of Bicentennial stamps issued after the book had gone to press. There is an essay on the history of letter-writing, and chapters on stamps around the world. College Station: Texas A & M, 2014. Reprint. 135 pages. Paperback. 1623492483 1-62349-248-3. Color and b/w photos and desriptions of Rodriquez's trabajo rustico in San Antonio, Houston, and cities in eight other states. Soft cover with french-flaps. 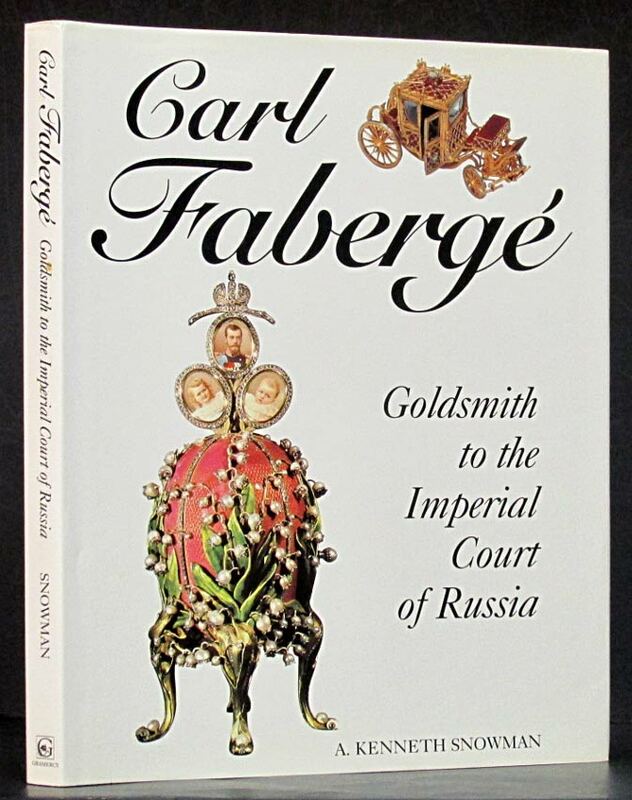 New York: Sedgewood Press, 1990. 1st ed. 168 pages. Hardcover. 0696023342 0-696-02334-2. 26 quilts to make with time-saving shortcuts and techniques. Drawings and color photos. Garden City: Doubleday, 1977. 1st ed. 192 pages. Hardcover. 0385126875 0-385-12687-5. 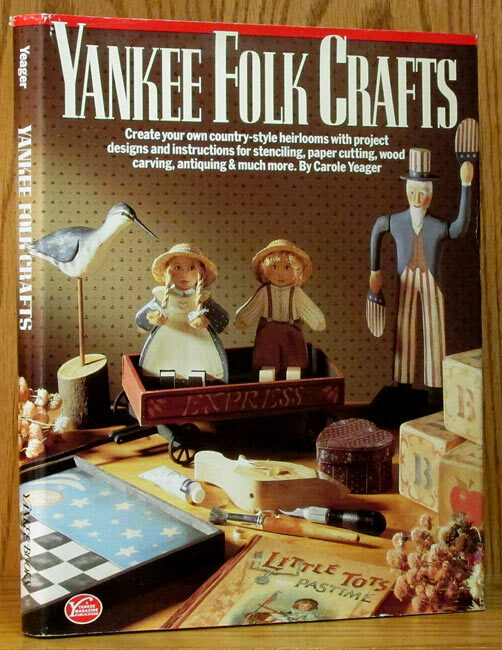 Instructions for many crafts, including macrame, decoupage, candlemaking, basket weaving, printing, and collage. Illustrated throughtout with color and b/w photos by Jon Aron. San Diego, CA: Mingei International, 1996. 1st ed. 168 pages. Hardcover. 0810963388 0-8109-6338-8. Contemporary crafts of American artists displayed in the inaugural exhibition of the Mingei Museum in its new facility. Franklin, LA: LA Garden Club Federatio, 1956. 1st ed. 64 pages. Paperback. 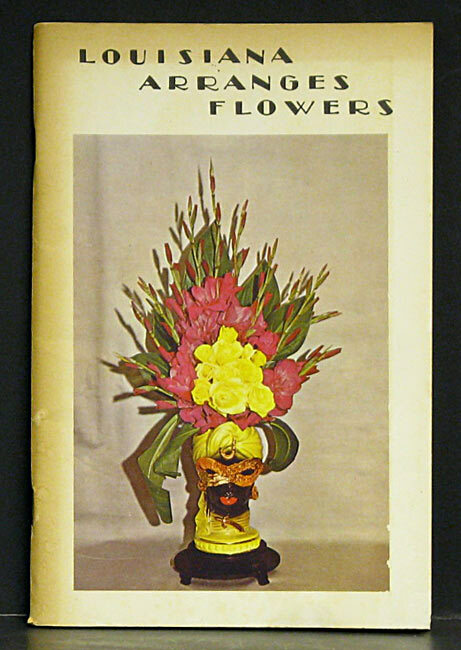 Fifty-nine blue ribbon winning flower arrangements made from Louisiana materials are pictured with descriptions. San Antonio: Institute Texan Cultures, 1977. 1st ed. 50 pages. Hardcover. 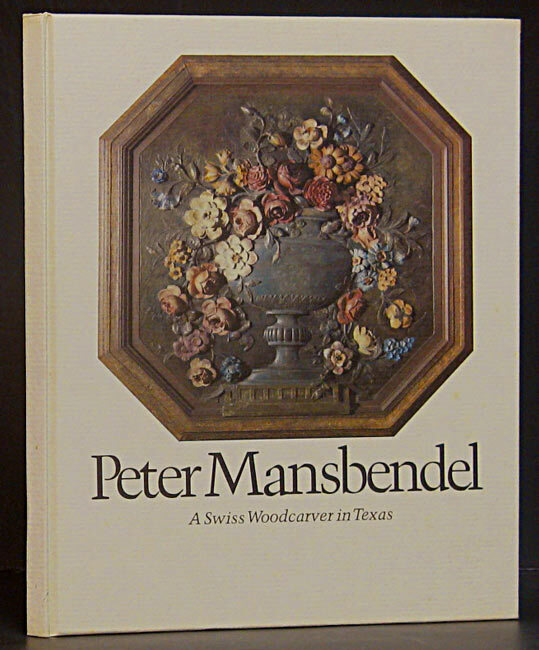 A catalogue of the artist's work ranging from the doors of the restored Governor's Palace in San Antonio, through all kinds of architectural parts to carving boards, mirrors & chess sets. Palo Alto, CA: Hidden House, 1976. 144 pages. Paperback. 0825638127 0-8256-3812-7. 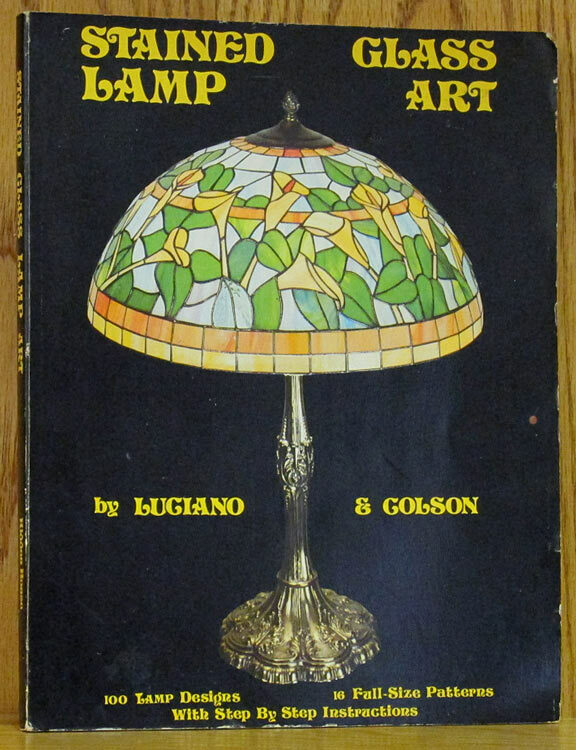 Fifteen lamps illustrated in color. Patterns and instructions for 16 lamps. Drawings of 100 lamp designs from various sources. Starts with introduction to designing and making stained glass pieces. Houston: Lawrence Ludtke, 1986. 12 pages. Paperback. 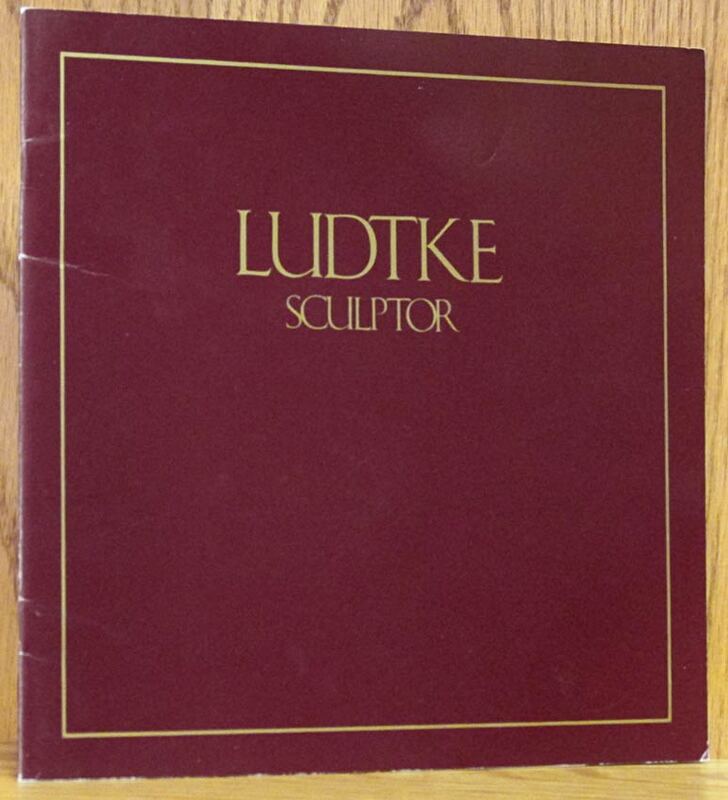 Brochure showing works of the noted sculptor in b/w photos. Biographical notes. Enclosed is Ludtke's 2007 obituary from Houston Chronicle. New York: Harry N. Abrams, 2003. 1st ed. 384 pages. Hardcover. 0810934922 0-8109-3492-2. First printing of this revised and expaned edition, now out of print. 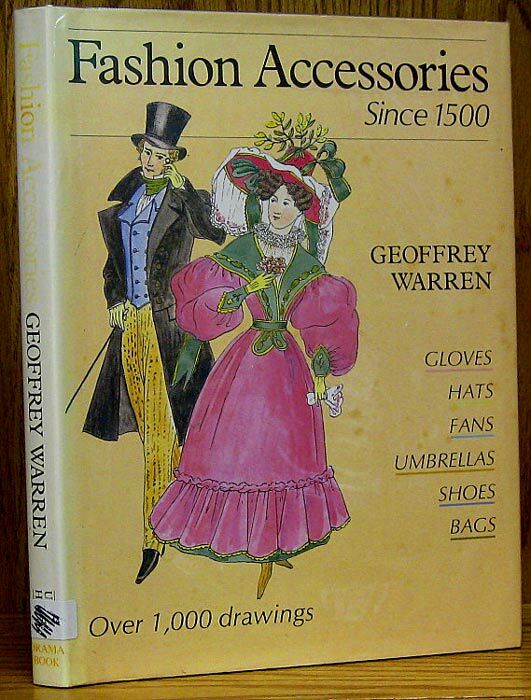 More than 3,000 illustrations, including 86 plates in full color and 1,500 line drawings. Austin: U.T. Press, 1967. 131 pages. Hardcover. Fine history of the sculptures of Aleigjadino, culminating with his masterpieces in the Sanctuary of Bom Jesus in Congohhas Do Campo, in Brazil. Excellent b/w photography. Philadelphia: Philadelphia Museum, 1973. 1st ed. 112 pages. Hardcover. 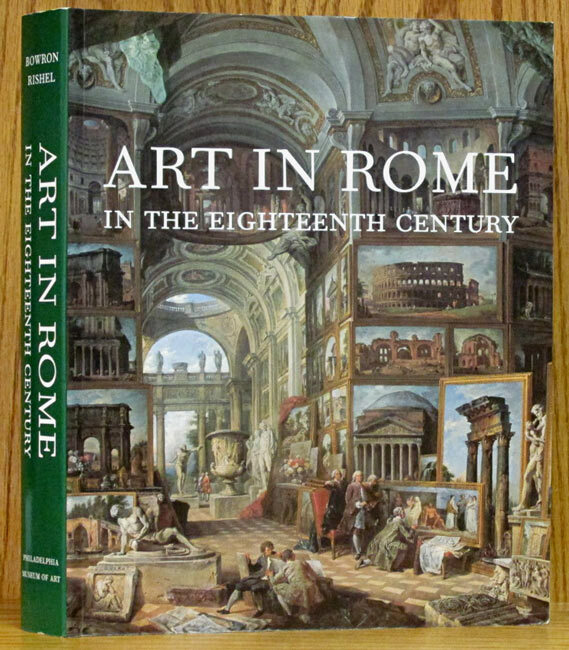 104 works presented as an introduction to the wealth of material collected during the first century of the Philadelphia Museum of Art. Illustrated with b/w & color photos. London: Arias, 1986. Paperback. Ten pages of text followed by color and b/w plates and notes of 56 ships. Foreword by Admiral Sir Anthony Griffin. Catalogue for a traveling exhibit organized by Oliver Swann Galleries and seen at five venues November 1986-September 1987. 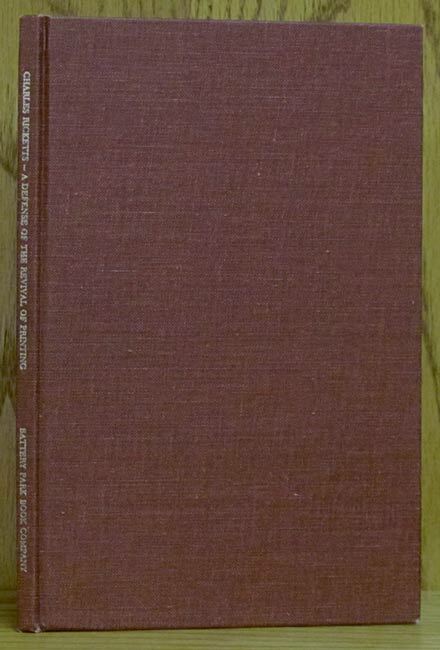 Pictorial front, white back and spine with title front and spine. E. Brunswick, NJ: Associated University Pres. 1st ed. 172 pages. Hardcover. 087413191X 0-87413-191-X. Art selected from the museum's collection od logbooks, sketchbooks, and journals. Four pages of color plates, and hundreds of b/w images. Biographical notes on the artists, bibliography, and index. New York: Watson-Guptill, 1984. 1st ed. 144 pages. Hardcover. 0823038610 0-8230-3861-0. Capture your personal responses to nature using experimental painting techniques. 50 black and white illustrations, 120 color plates. 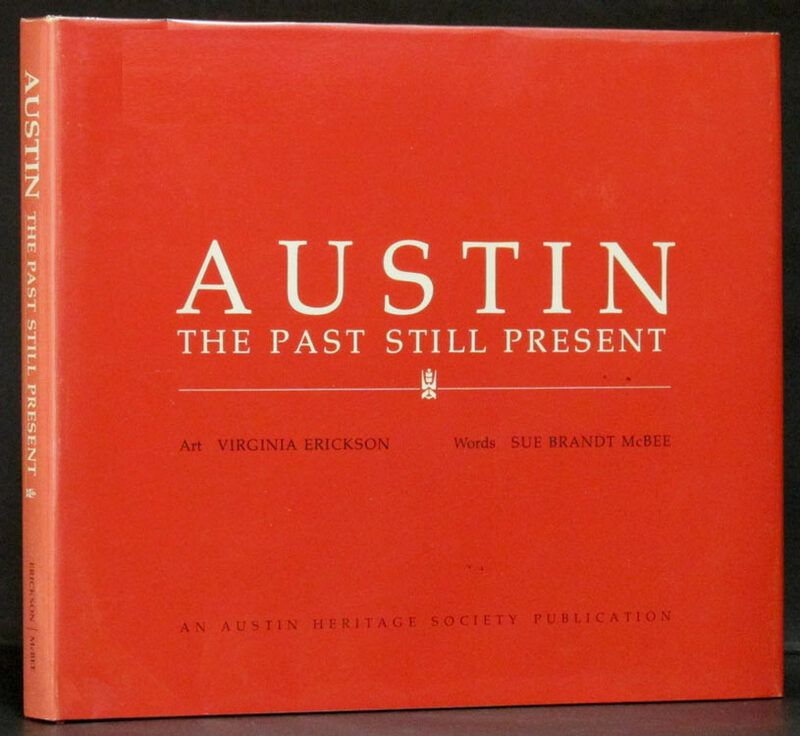 Austin: Austin Heritage Society, 1975. 1st ed. 129 pages. Hardcover. In this volume is presented a sampler of historically and architecturally important buildings to be found, still alive & well, in the Texas Capital City. San Antonio: Trinity Univ./Rosenberg Libr., . 1st ed. 161 pages. Hardcover. 0911536671 0-911536-67-1. 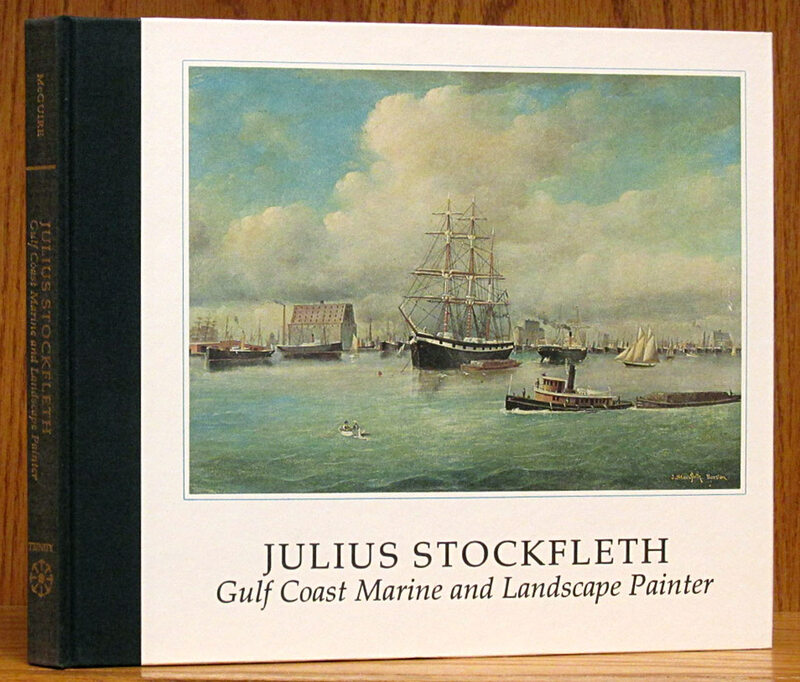 Published in conjunction with an exhibition of paintings and drawings by Stockfleth in December 1976 at Rosenberg Library in Galveston. 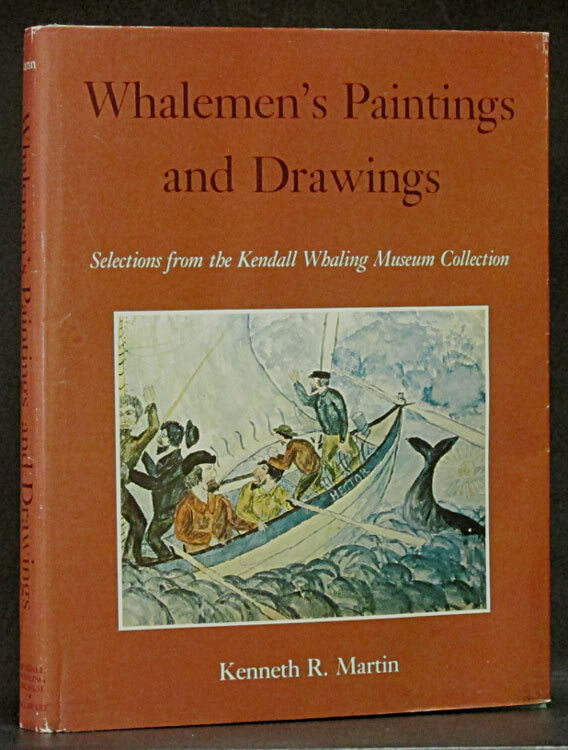 Includes biography and 68 paintings and drawings, six in color. There are depictions of Galveston before, during, and after the Great Hurricane of 1900, including the new seawall and several of the work of grade raising in the city. There are also ship pictures and bucolic scenes outside the city. Exhibiion flyer tipped-in. New York: Penguin Books, 1997. 1st ed. 150 pages. Hardcover. 0670862347 0-670-86234-7. 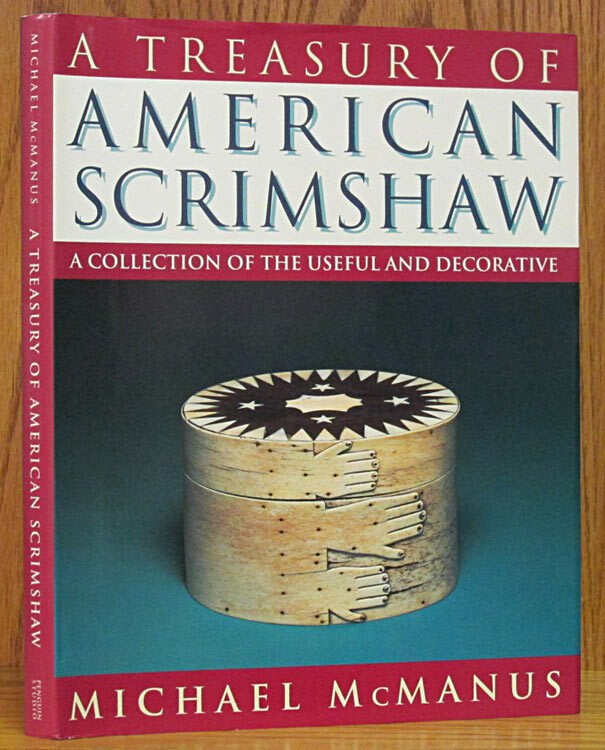 In-depth and well-illustrated study of utilitarian and decorative scrimshaw objects created by American whalemen of the nineteenth century. 200 illustrations and bibliography. New York: MMA/Viking Press, 1981. 1st ed. Hardcover. 0670220094 0-670-22009-4. Reproduces in facsimile size and in the fold-out format of the original copy in the collection of Metropolitan Museum of Art. In slip-case. New York: Crown Publishers, 1975. 96 pages. Hardcover. 0517516209 0-517-51620-9. Will guide the novice box-artist in making their own crreation. 182 photos and 19 color plates. New York: Crown Publishers, 1975. Reprint. 214 pages. Paperback. 0517524295 0-517-52429-5. 400 photos, 14 in color. 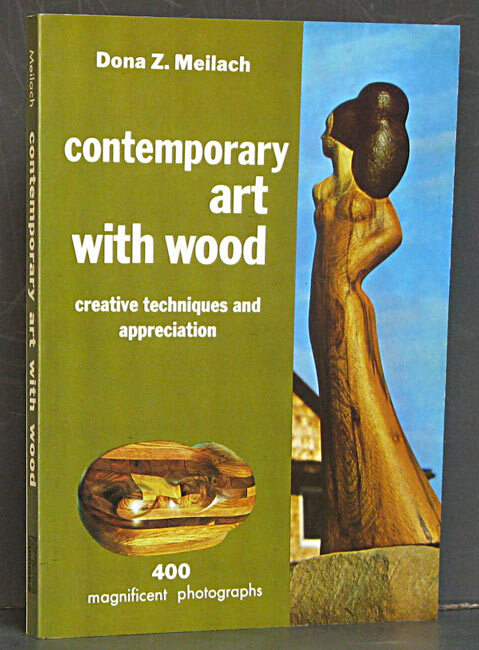 Instructions on selecting wood, hand and power tools, finishing and all sorts of techniques in working wood. Step-by-step photos. New York: Bramhall House, 1965. Reprint. 243 pages. Hardcover. 96 pages of drawings, 16 in color. Mielziner tells of his life designing sets for more than 250 stage productions. Linen covered boards with bright gilt title on dark blue spine. Pictorial dustjacket is color drawing for the set of Death of a Salesman. This is Bramhall House reprint. London: Black Dog Publishing, 2010. 190 pages. Hardcover. 1907317066 1-907317-06-6. 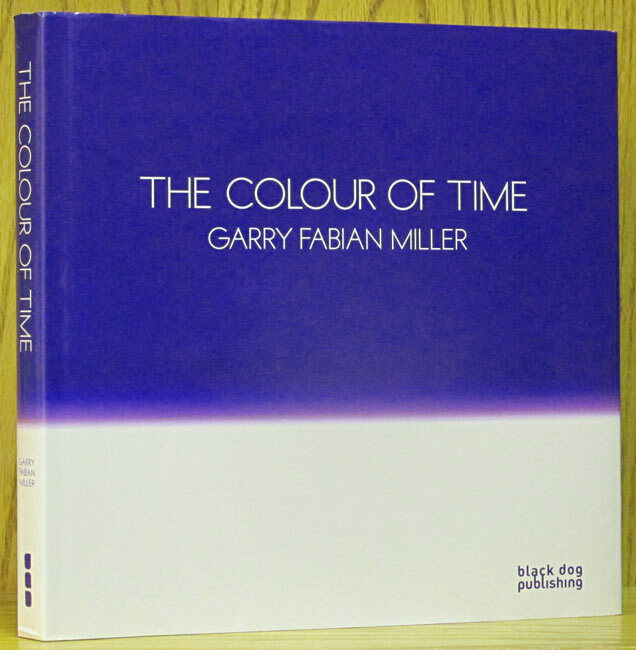 Catalog of Miller's paintings of the study of light. Color plates every page. Buffalo, NY: Firefly Books, 2003. 1st Am. ed. 416 pages. Hardcover. 1552977919 1-55297-791-9. 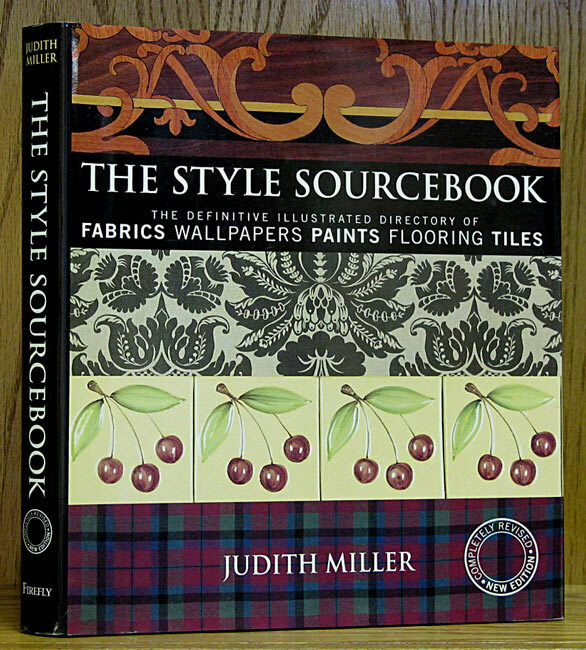 The Definitive Illustrated Directory of Fabrics, Wallpapers, Paints, Flooring, and Tiles. New York: Lladro Collectors, 1993. 120 pages. Paperback. 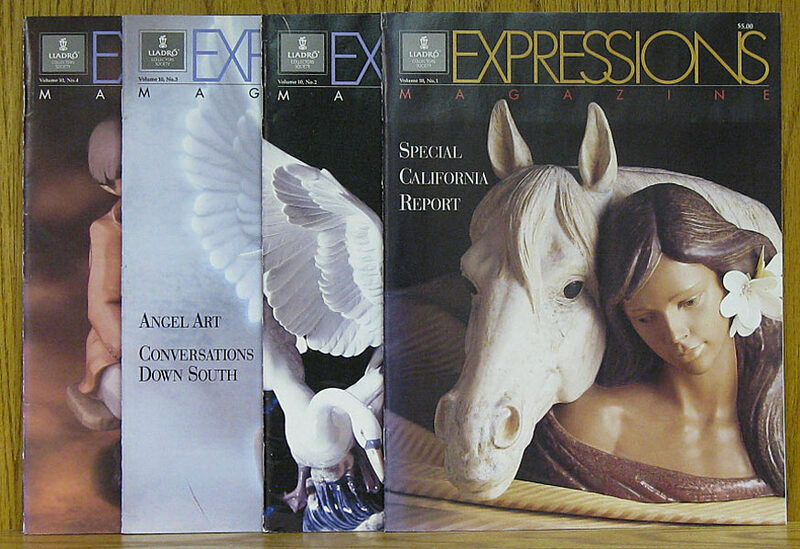 Four magazines complete issue for year 1993. New York: LLadro Collectors Sociey, 1995. 31 pages. Paperback. Displays 10 years of members only figurines. 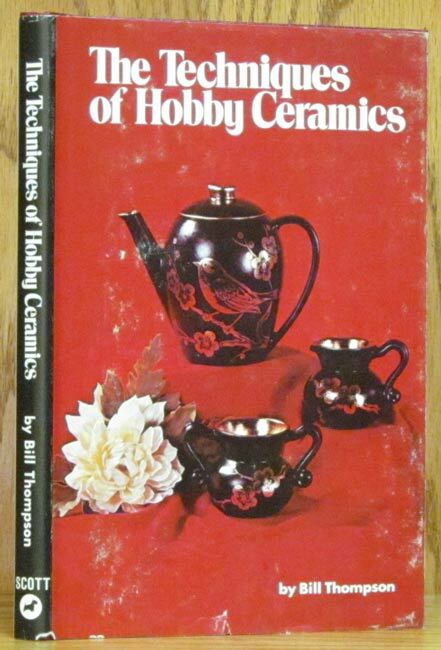 Also contains a tour of 'Porcelain City' and a short history of porcelain making around the world. 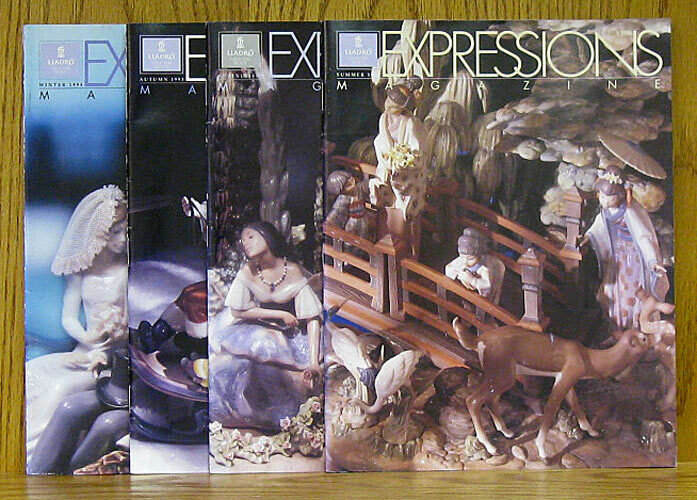 Includes reference index to Expressions editions from Spring 1990 to Winter 1994. The Expressions of Love 23 page brochure is also included. New York: Lladro Collectors, 1994. 120 pages. Paperback. Complete four magazine volume for 1994. New York: Clarkson Potter, 1992. 1st Am. ed. 144 pages. Hardcover. 0517585987 0-517-58598-7. 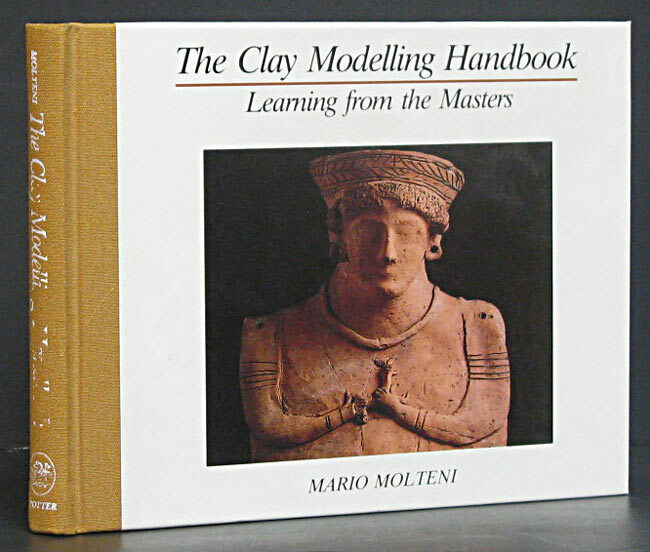 Provides practical instructions and expert advice on how to model in clay. Illustrations every page. Iola, WI: Krause Publications, 2004. 256 pages. Paperback. 0873497791 0-87349-779-1. 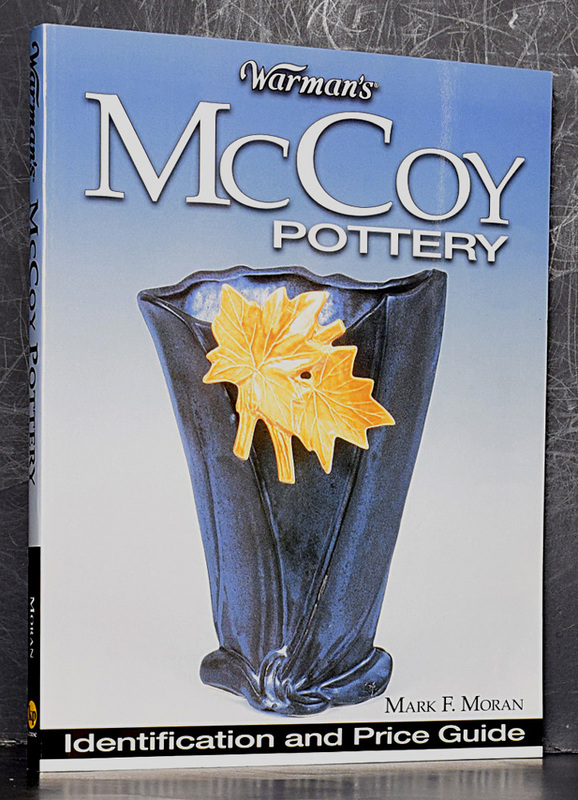 Historical data on the McCoy company. 1,000 color photos of more than 1,500 McCoy pieces. Descriptions and identification tips. London: Hazell, Watson & Viney, 1912. 1st ed. Hardcover. 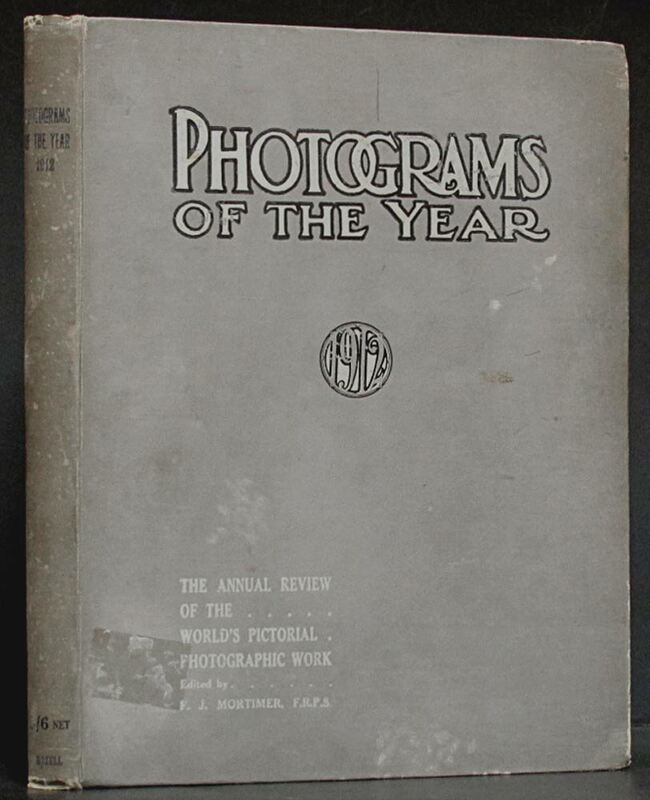 Annual review of the world's pictorial photographic work. 94 plates, index, and many pages of advertisements for photographers' equipment. Grey cloth-covered boards, title white on front and black on spine. Uncommon. New York: Shorewood, 1962. 140 pages. Hardcover. Includes 99 plates of the works discussed. 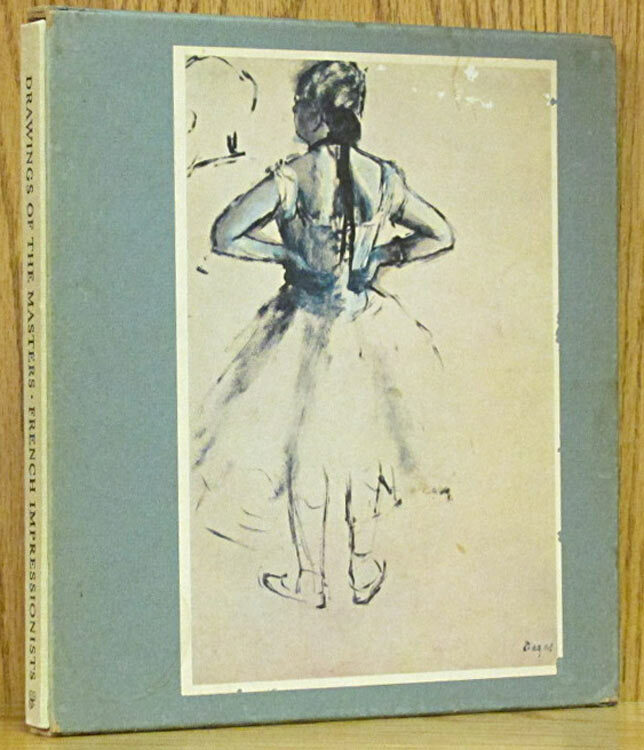 Pale green linen-covered boards, in green slipcase with paste-ond Degas drawing. James N. Muir, 204. 111 pages. Hardcover. 0976156881 0-9761568-8-1. 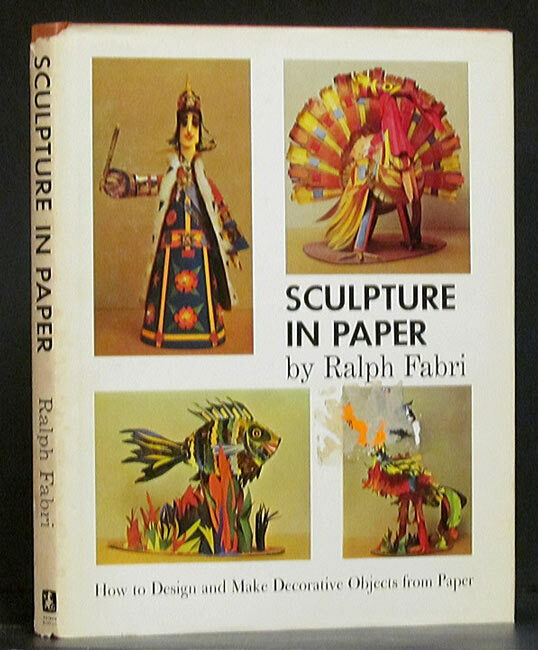 Color photos of 79 of the artist's sculptures, along with his deacriptions and commentary. Tokyo: BSS, 1987. 1st ed. 234 pages. Hardcover. 4568500737 4-5685007-3-7. 900 previously unpublished color photos of signs in 10 primary motifs: Stars and Planets, Human Figures, Animals, Plants, Tools and Implements, Costume, Food and Drink, Vehicles, Buildings, and Lettering. Bilingual in Japanese and English. Aimed at professionals in design and advertising. London: MFAH/Merrell Holberton, 1995. 1st ed. 182 pages. Paperback. 0890900701 0-89090-070-1. 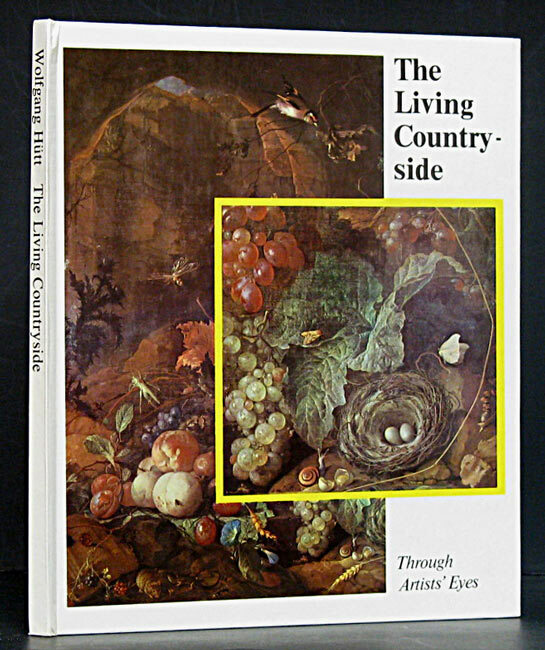 Published on the occasion of the exhibition of John Copley in England organized by the National Gallery in Washington and the Museum of fine Art in Houston, October 1995-April 1996. 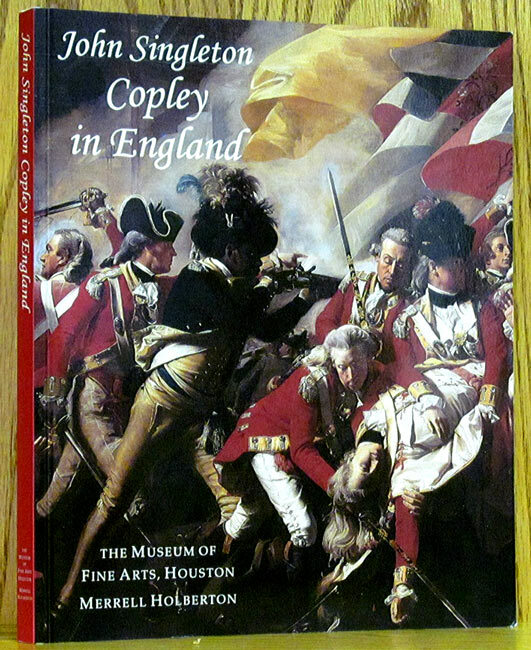 Much biographical info and insight into Copley's style and thoughts. Honolulu: Beyond Words, 1984. 1st ed. 208 pages. Hardcover. 0681299088 0-681-29908-8. An absolutely stunning collection of color photos of marine life in tropical waters. Printed on heavy stock. SIGNED by Newbert, IN SLIPCASE, with six separate photos laid in. New York: Crown Publishers, 1974. 144 pages. Hardcover. 0517513838 0-517-51383-8. Clear, step-by-step instructions for many kinds of frames, mats, and shadow boxes. New York: Watson-Guptill, 1991. 1st Am. ed. 112 pages. Paperback. 082302752X 0-8230-2752-X. 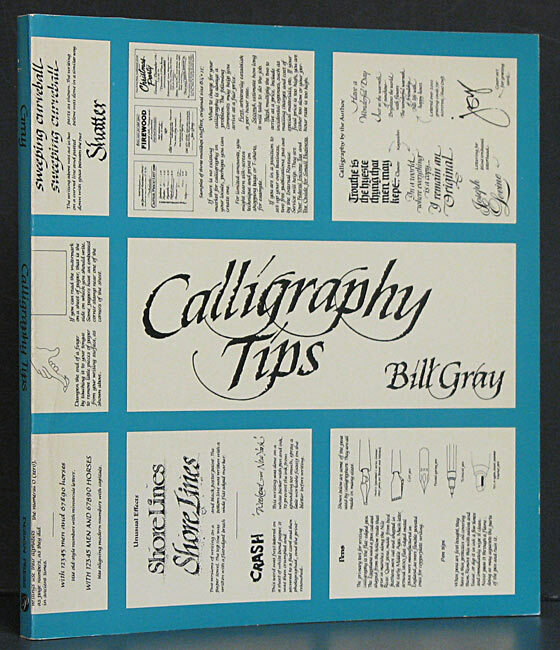 From the W-G Artist's Library, covers history of lettering and type for logos and signs. (Not calligraphy). El Paso: Texas Western, 1975. Limited ed. 93 pages. Hardcover. # 188 of 195 specially bound & boxed copies. Edited by E.H. Antone. Typography and design by Carl Hertzog. Signed by Hertzog. Slipcased. With original printed clear acetate Dj. A collection of pencil and charcoal sketches by D.D. 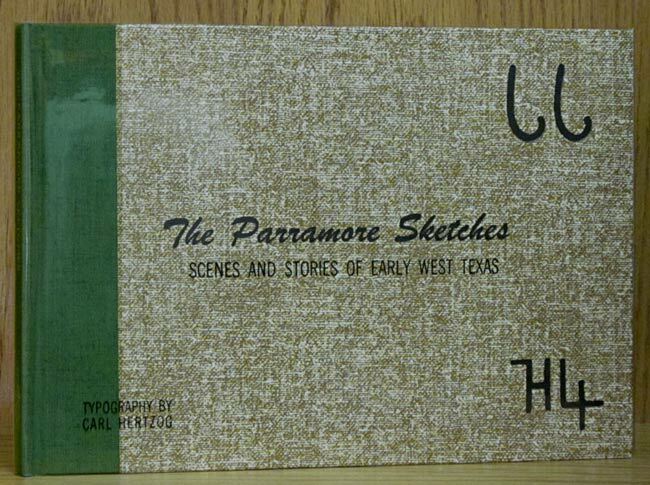 Parramore on the early settlers of West Texas, their work, play, travels and life. Cologne: Taschen, 1993. 96 pages. Paperback. 3822802999 3-8228029-9-9. 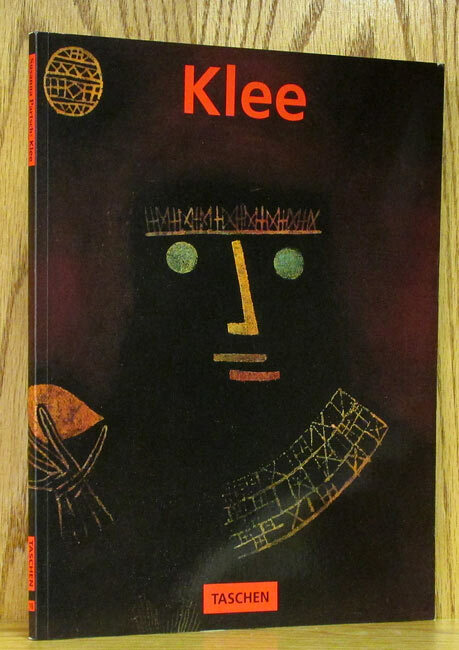 History of the life and work of German artist Paul Klee with color plates on most every page. 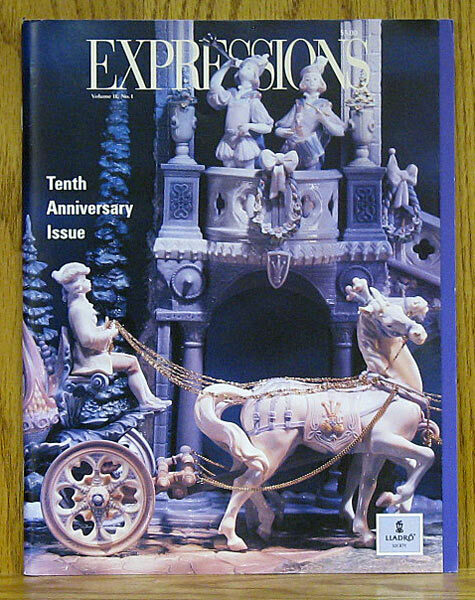 Boston: Bulfinch Press, 1990. Reprint. 712 pages. Hardcover. 0821217976 0-8212-1797-6. 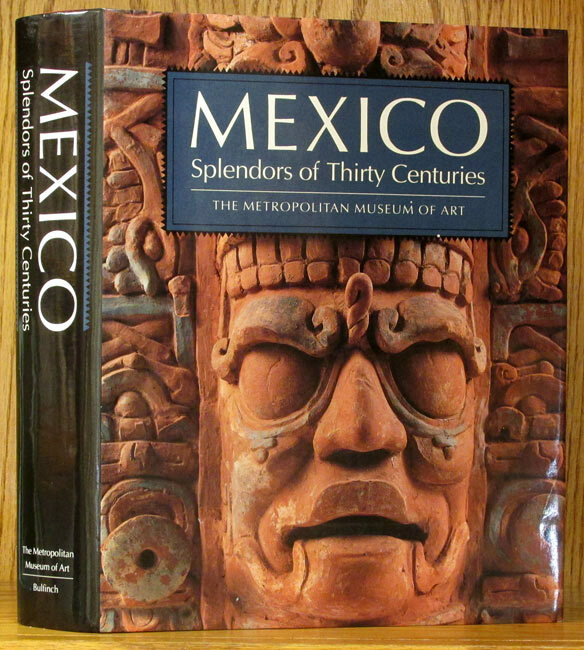 Celebrates the artistic riches created in Mexico during its 3,000 year history. Issued in conjunction with exhibit held at the Metropolitan Museum of Art in New York, 1990-'91, and later in San Antonio and Los Angeles. 550 illustrations, more than 400 in color. Large 9 x 12 inch format, 10 pounds. London: T. Fisher Unwin, 1909. Reprint. 424 pages. Hardcover. Illustrated with one hundred and eighty-three pictures by Joseph Pennell, also with plans and diagrams. The text is Elizabeth's travelog of their journeys about France for him to make the drawings. 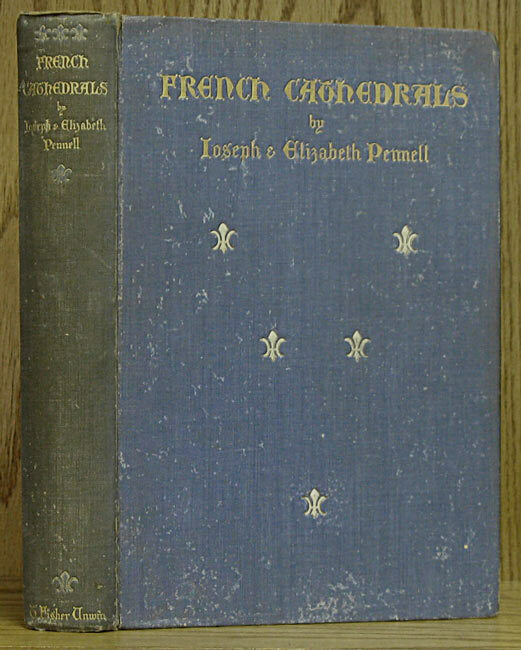 Blue cloth, white fleur-de-lis, and gilt titles. Gilt top edge. Austin: U.T. Press/Contemporary Austin, 2015. 248 pages. Hardcover. 1477305513 1477305513. 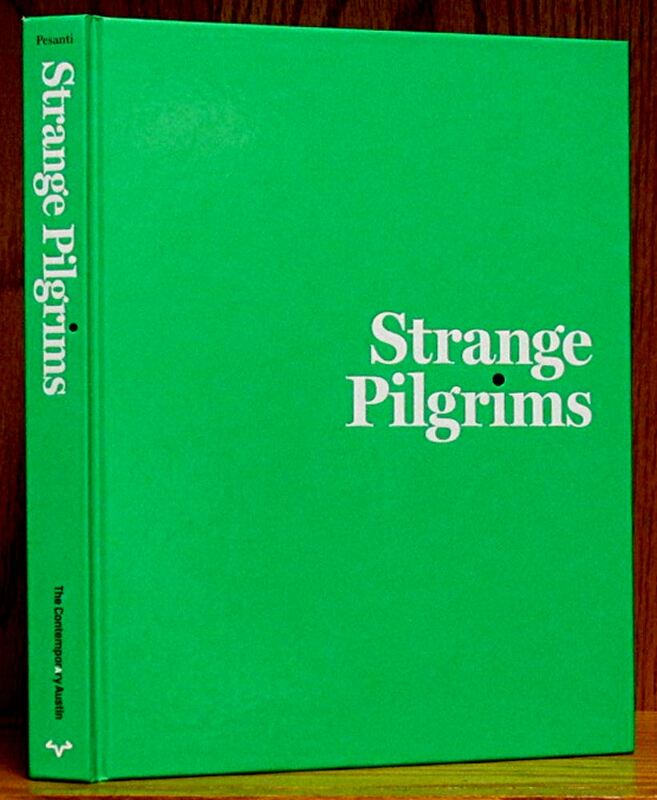 This catalogue accompanied the exhibition Strange Pilgrims 2015-2016 in Austin. Color plates and essays on the works. Des Moines: Woodsmith, 1993. 1st ed. 32 pages. Paperback. Included is Woodworking Plan Booklet 12, Bench Top Router Table. Munich: Prestel, 1999. 1st Trade ed. 616 pages. Paperback. 3791320041 3-7913200-4-1. First published on the occasion of the exhibition 'Africa: The Art of a Continent', Royal Academy of Arts, London, 4 October 1995-21 January 1996. Austin: U.T. Press, 1967. 1st ed. 232 pages. Hardcover. Introduction by Jerry Bywaters. 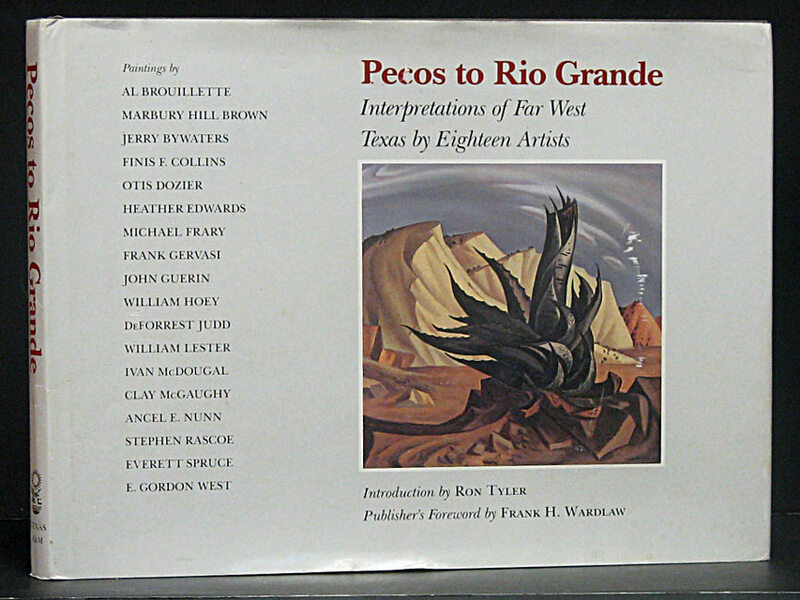 Published for the Amon Carter Museum of Western Art, Fort Worth. 117 b/w plates and 12 color plates. Fort Worth: Modern Art Museum, 1995. Reprint. 110 pages. Paperback. 0929865146 0-929865-14-6. 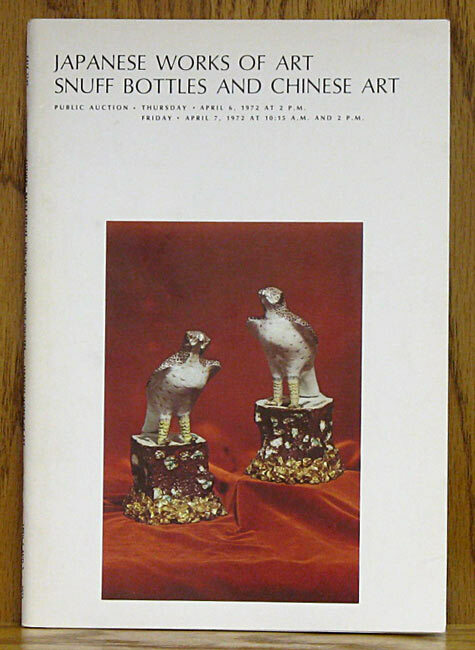 Reprint of catalogue of exhibit organized by the Fort Worth Art Museum in 1987. 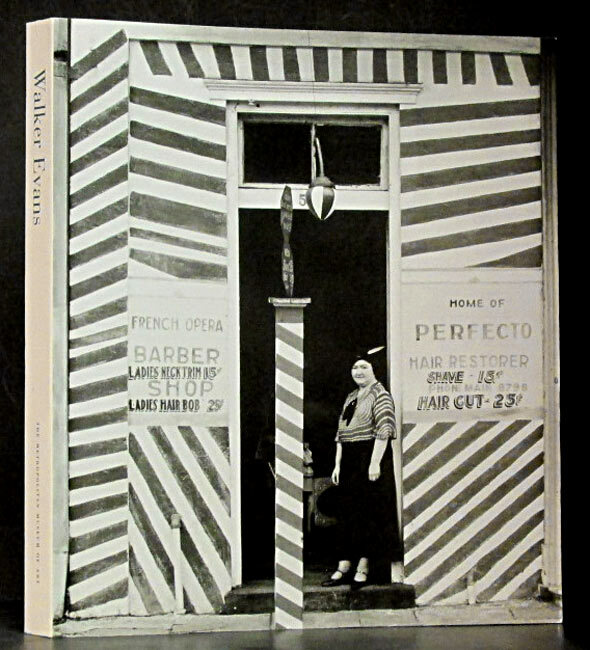 Color photos with essays by Pomar. Austin: U.T. Press, 1977. 1st ed. 354 pages. Hardcover. 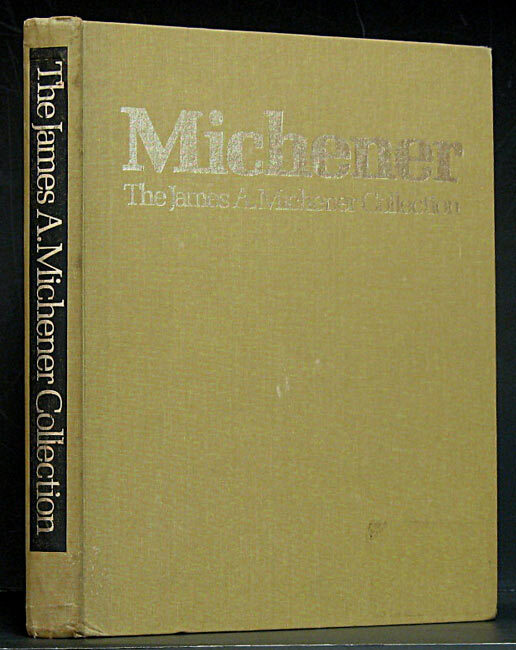 Catalog of the art collection given to the University of Texas by the Micheners. 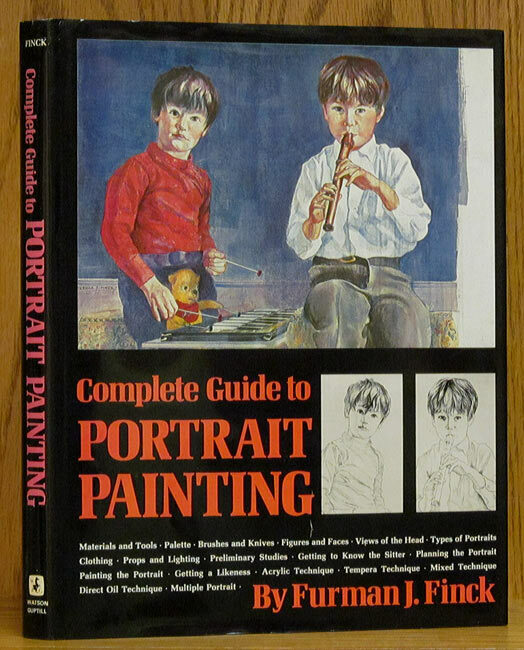 Contains b/w and color photos and thorough description of each painting. Bogota, NJ: Model Shipways, 1971. Reprint. 32 pages. Paperback. 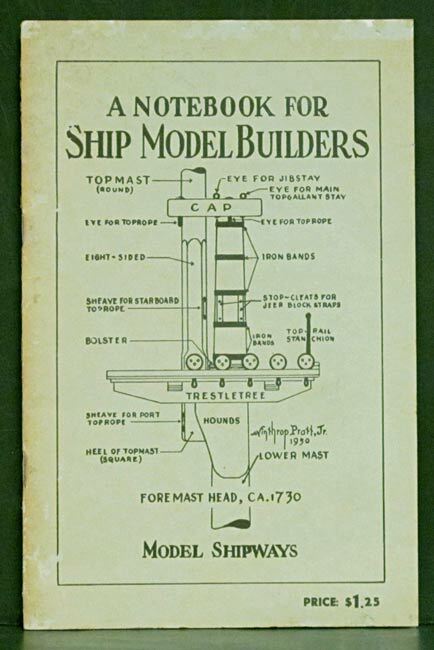 Much help for the novice and more advanced model ship builder. Drawings throughout and lots of descriptions, history, and suggestions. College Station: Texas A & M, 1998. 1st ed. 97 pages. Paperback. 0890968209 0-89096-820-9. Twenty-nine color plates and twenty-one b/w illustrations. Bibliography and index. Austin: U.T. Press, 1972. Reprint. 148 pages. Hardcover. 0292736223 0-292-73622-3. 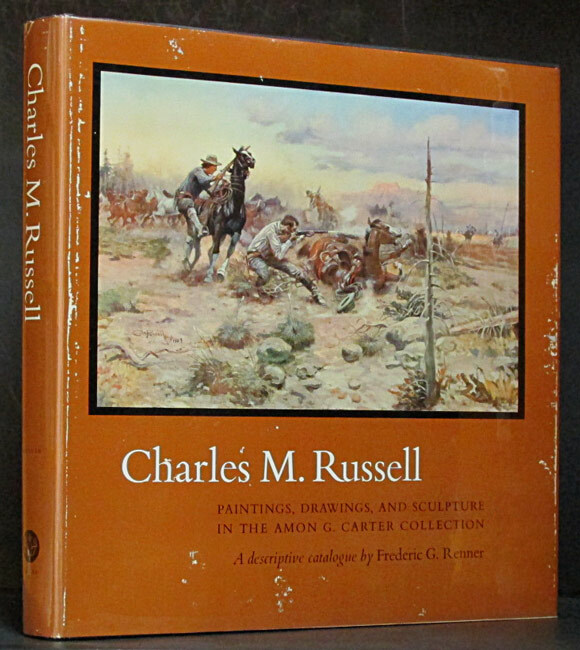 A fine work on the life and art of Charles M. Russell. Captured are his works on paper, canvas, and in sculpture. 36 color and 223 b/w plates. 11.25 x 11.75 inch format. In dark charcoal cloth with gilt spine lettering. Six pounder. Flagstaff: Northland Press, 1986. 1st ed. 132 pages. Hardcover. 0873583841 0-87358-384-1. 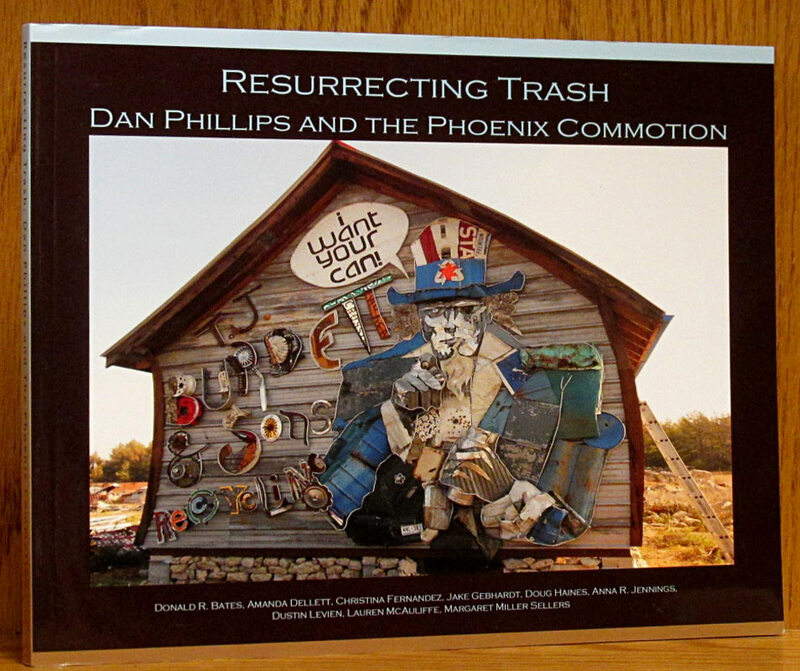 Paintings, pen & ink drawings, sculptures are all featured in this book which includes the illustrated pages from Parkman's OREGON TRAIL and illustrated letters to friends. Dj in mylar. Boulder, CO: Sounds True, 2006. 1st ed. 99 pages. Hardcover. 1591793459 1-59179-345-9. Twenty-two traditional Hebrew letters done in calligraphy and watercolors. 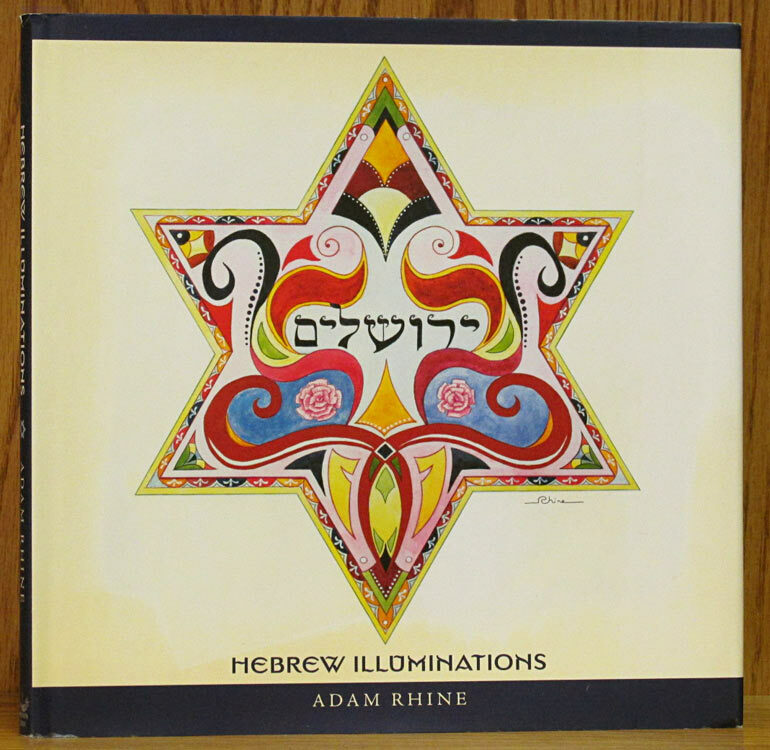 The second section is Rhine's Magen David Series of intricate shapes. Foreword by Rabbi David Zeller. 10.8 inch square format. New York: Watson-Guptill, 1972. Revised ed. 144 pages. Hardcover. 0823026159 0-8230-2615-9. The classic in a revised, updated version with more advice and information. 52 full color and 25 b/w illustrations. Forest Hills: Battery Park Book Co., 1978. Limited ed. 39 pages. Hardcover. 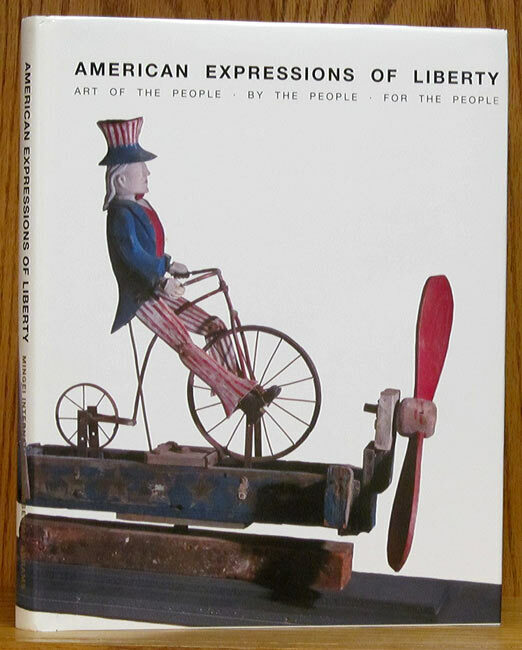 1978 reproduction of 1899 original in Battery Park's Bibliographical Reprint Series. Limited to an edition of 600 copies. Title is spelled Defense on spine and Defence on title page. Treatise on books, printing, etchings and other things put to paper. New York: Rizzoli, 1977. Reprint. 104 pages. Paperback. 0847801268 0-8478-0126-8. 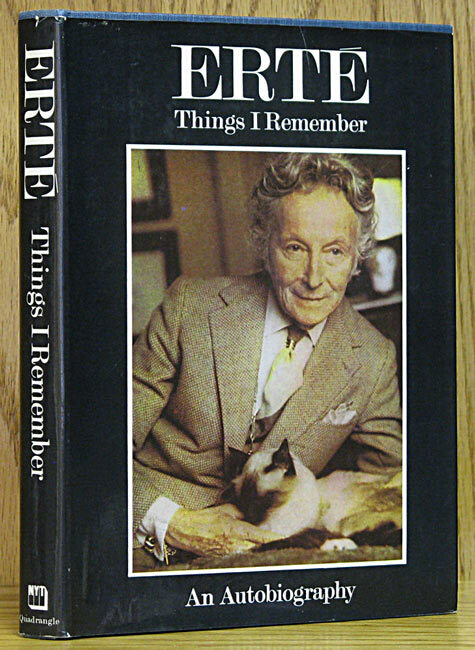 Includes biographical essay on the artist. 43 color plates and a few b/w. College Station: Texas A & M, 1976. 1st ed. 124 pages. Hardcover. 0890960194 0-89096-019-4. 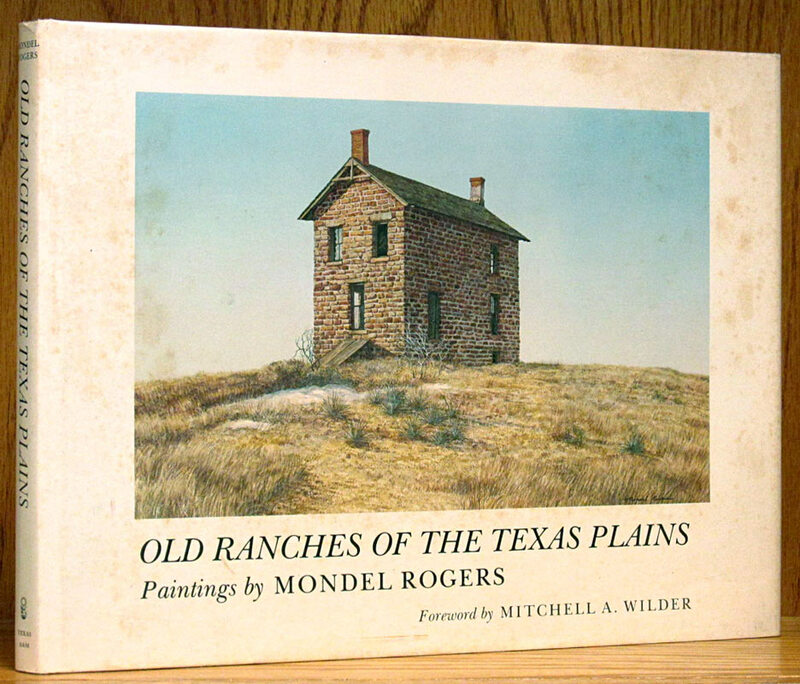 A beautiful artistic record of the development of ranch architecture on the High Plains of West Texas. 80 Color and b/w prints by Mondel Rogers. Number One in the Joe and Betty Moore Texas Art Series. New York: Abrams, 1977. 1st ed. Paperback. 081092093X 0-8109-2093-X. 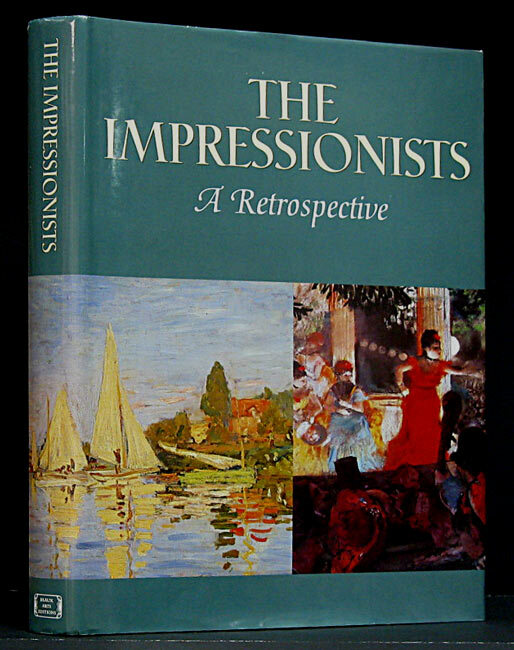 With an introductory biography & 15 tipped-in plates this large size book gives a nice over-view of the artist. 9.5 x 12.5 inch format. Printed in Leningrad, USSR, by Aurora Art Publishers, Harry N. Abrams, Publishers. London: Smith, Elder, and Co., 1984. 1st ed. 239 pages. Hardcover. Dark brown moire cloth covered boards. Fifteen plates of engravings. Publisher catalog removed at rear. Some words penciled inside FFEP and back endpaper. Top edge darkened. Fort Worth: Amon Carter Museum, 1962. 1st ed. 120 pages. Boards. Frederick Renner introduces and comments on the life and letters of Russell which often incorporated his artwork. B/w & color reproductions of the letters. The 1952 original. Leningrad: Iskusstvo, 1991. 479 pages. Hardcover. 5210003159 5-2100031-5-9. Outstanding b/w photography highlights this extensive study of Russian and Soviet sculpture in their monuments and architecture. Photo captions in English and Russian. Most emphasis on pre-1917 works. Cover blind-stamped with a lion head design. 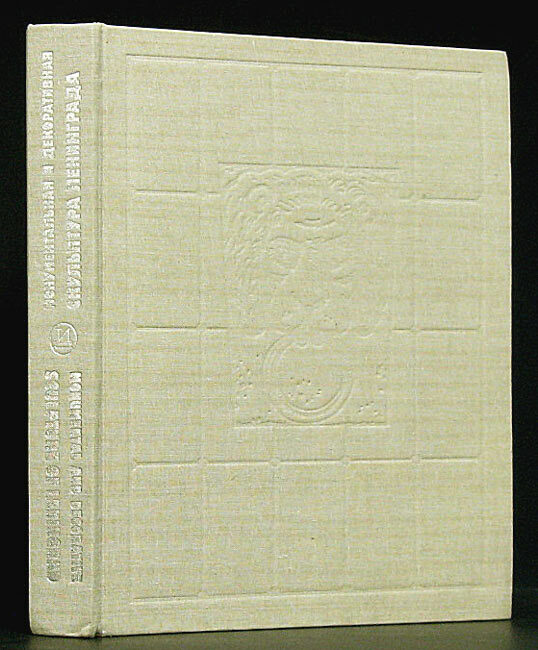 In oatmeal-color fine cloth with silver spine lettering. Santa Fe: CIAC Press, 2001. 1st ed. 317 pages. Hardcover. 0966694848 0-9666948-4-8. 700 photos in color and b/w, bibliography. Greenwich, CT: New York Graphic Society, 197. 1st Am. ed. 473 pages. Hardcover. 0821203657 0-8212-0365-7. 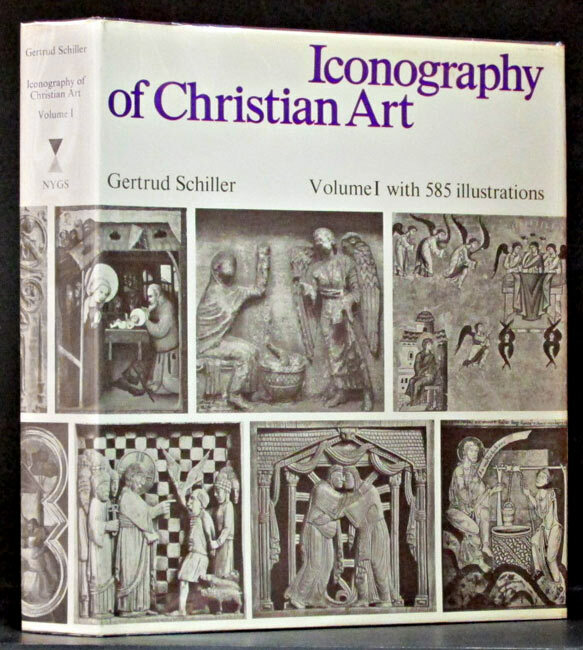 With 585 illustrations, a crucial reference work for art historians, this volume deals with Christ's Incarnation, Childhood, Baptism, Temptation, Works & Miracles. Austin: U.T. Press, 1972. 1st ed. 144 pages. Hardcover. 0292775024 0-292-77502-4. 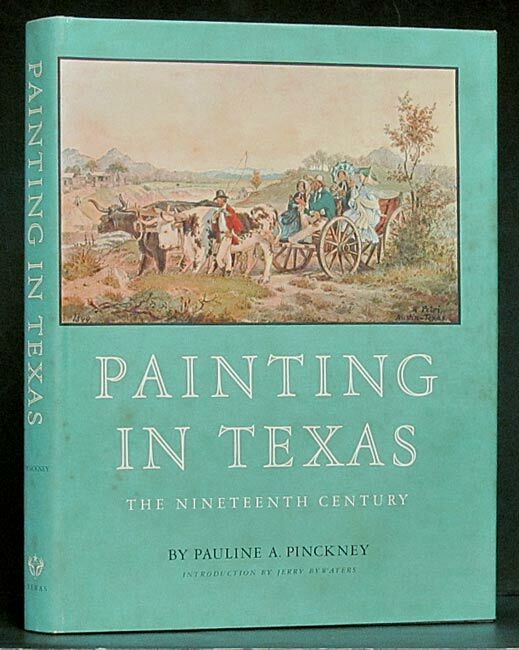 A great variety of Texas scenes, 48 full-page color paintings, 48 full-page b/w sketches. Schiwetz works in several mediums: oils, watercolors, lithography, etchings, mixed media. A handsome copy. Ames, Iowa: Iowa State Univ., 1998. 1st ed. 126 pages. Hardcover. 0813828899 0-8138-2889-9. 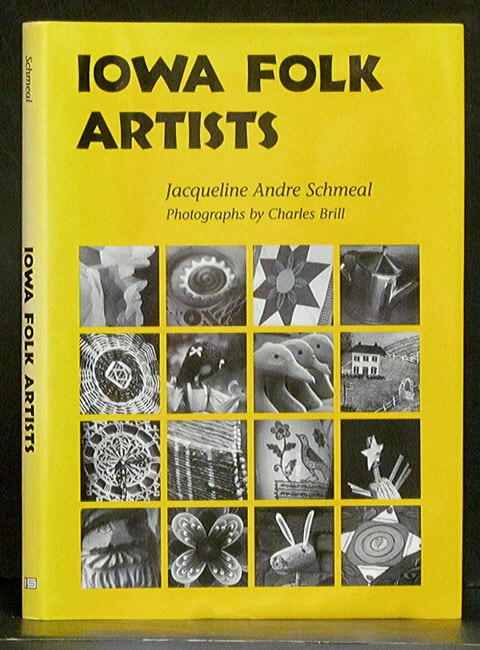 The work and brief biography of sixteen Iowa folk artists. B/w photos. Book has a gift inscription, possibly that of the author, but name is not legible. New York: Macmillan, 1973. 96 pages. Paperback. Illustrated book teaching the fundamentals of candlemaking. New York: Watson-Guptill, 1969. 1st ed. 104 pages. Hardcover. 0289796318 0-289-79631-8. The author shows you how he does it, and lets you watch & listen as he describes the work. Claremont: Aeolian Press, 1987. Reprint. 128 pages. Hardcover. 086422043X 0-86422-043-X. 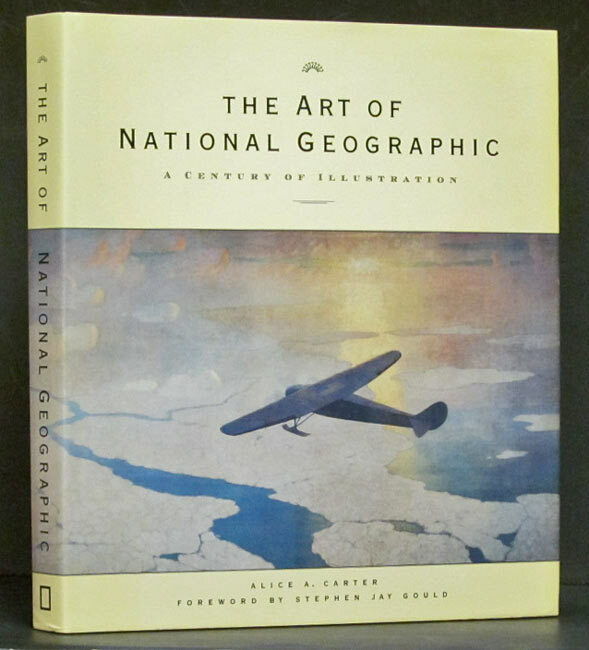 Seventy-one color illustrations, photos by Richard Woldendorp, and paintings of the same or similar scenes by various artists. Fifty-seven pages of text preceeds the illustrations. Boston: Boston Book & Art, 1971. 215 pages. Hardcover. 0843520264 0-8435-2026-4. 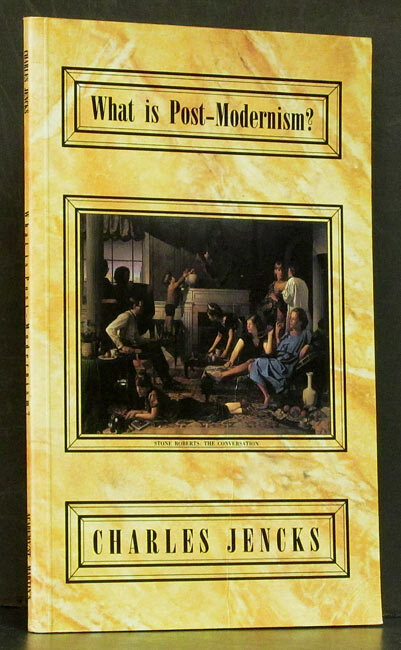 The catalog of a centennial exhibit in 1971, by the National Gallery, and shown in 6 cities, includes essays on the artist's life & works, a chronology, bibliography & a list of all books he illustrated. Albany: SUNY, 1990. 1st ed. 360 pages. Paperback. 079140210X 0-7914-0210-X. Brings together diverse aspects of postmodernism by philosophers, literary critics, historians of architecture, and sociologists. Aspen, CO: Aspen Art Museum, 1999. 1st ed. 108 pages. Hardcover. 0934324271 0-934324-27-1. 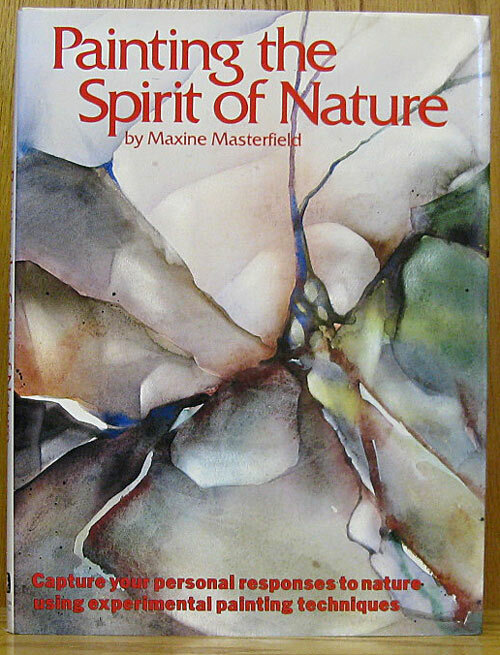 Published in conjunction with an exhibition in Aspen in 1999-2000. 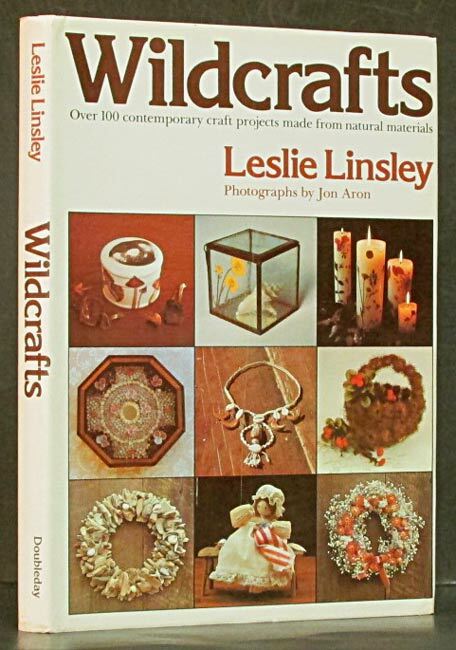 Color photos of antique basketry, beadwork, carving, and pottery. Large 12 x 13.25 inch format. Austin: Roger Beacham, 1968. 1st ed. Hardcover. Introduction by William Holman describing the ways librarians can use the book to help design bookplates for their needs. 72 color illustrations. Roger Beacham, Publisher is an imprint of William and Barbara Holman. Unpaginated. New York: Diadem Books, 1986. 1st Am. ed. 160 pages. Hardcover. 0517617730 0-517-61773-0. History of the Bikini bathing suit and color photos of celebrities and models wearing the style. 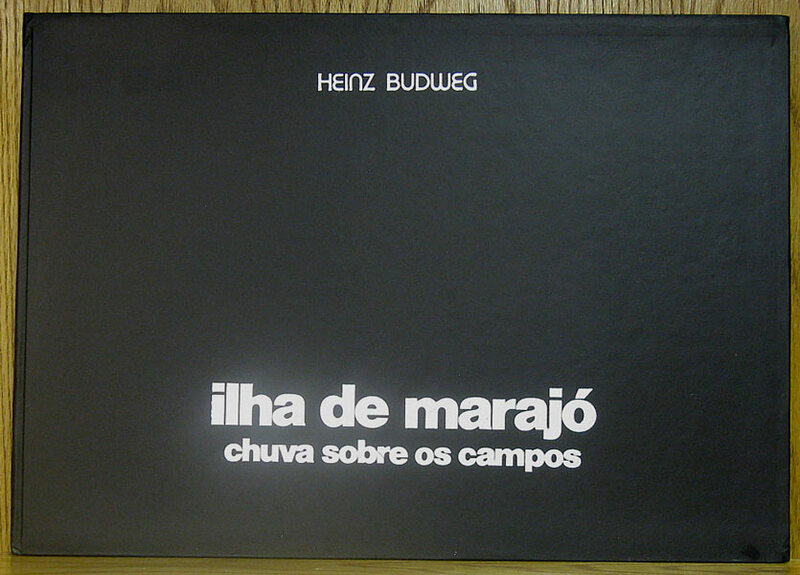 Black cover with white titles. Dustjacket has wrap-around photo of reclining woman in tiny red bikini. Flagstaff: Northland Press, 1973. Reprint. Paperback. 0873581172 0-87358-117-2. 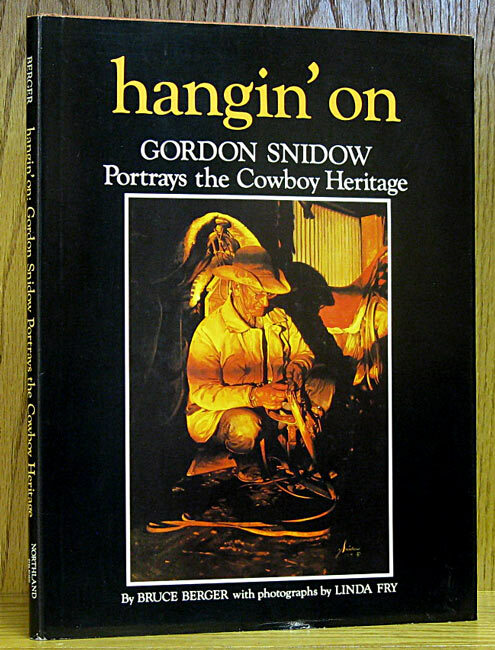 Foreword by Sam Gilluly, Montana Historical Society, and introduction by Don Hedgpeth of the Whitney Gallery of Western Art. Color and b/w drawings and paintings. B/w photos of several sculptures. New York: Gramercy Books, 1998. Reprint. 160 pages. Hardcover. 0517405024 0-517-40502-4. More than 100 color photos show the fabulous art in gold and jewels. London: Adam and Charles Black, 1905. Limited ed. 301 pages. Hardcover. Bound with an original mounted pencil sketch by Kate Greenaway, signed by her brother on the mount to certify authenticity. Bound in cream cloth-covered boards with embossed design and bright gilt titles on front and spine. Gilt top edge and wine colored ribbon marker. 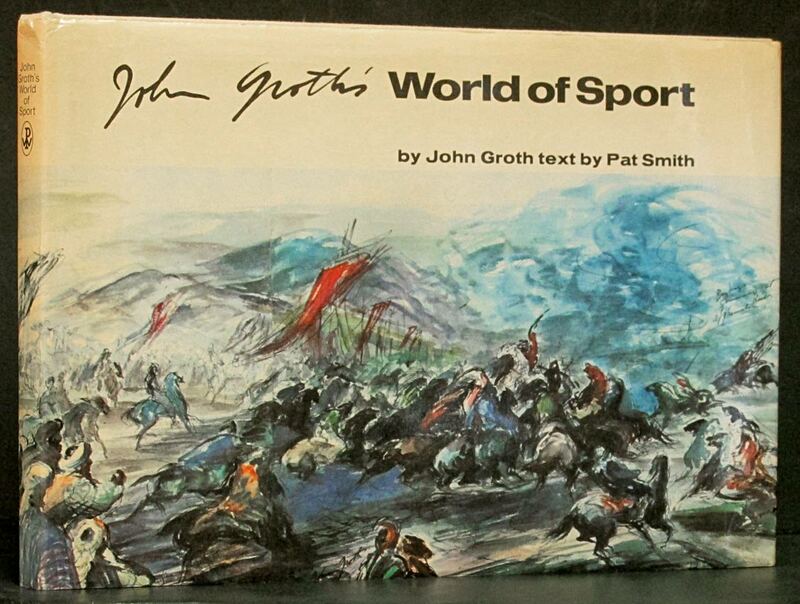 This is number 220 of 500 copies, signed and numbered by John Greenaway. 52 color plates. 90 sketches, thumbnails, and photos. 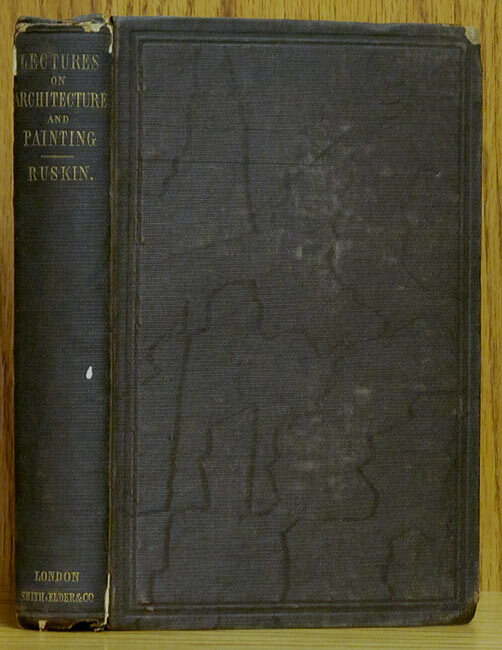 Biography and correspondence, especially with John Ruskin. Sketch is of a young woman, seated, and with a pensive expression. New York: Harry N. Abrams, 1987. 1st ed. 352 pages. Hardcover. 0810911183 0-8109-1118-3. 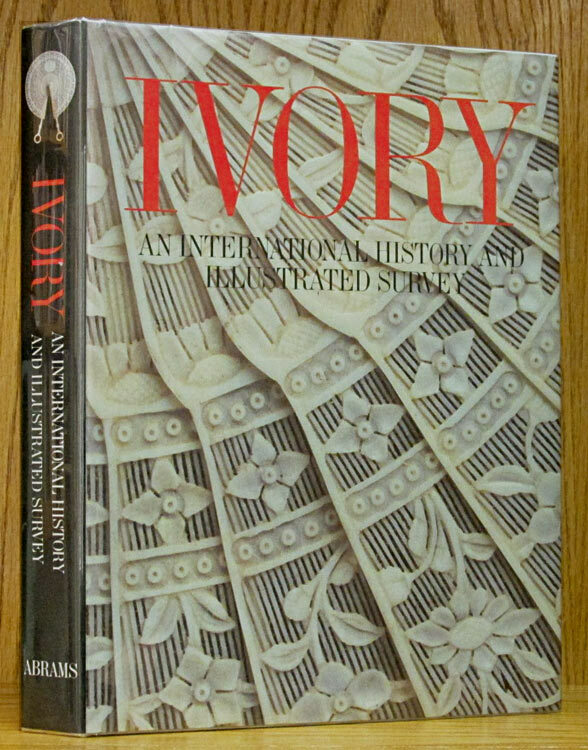 Essays on ivory by 12 experts, with a practical Guide for Collectors. 400 illustrations, 80 in color. Glossary, bibliography, and index. New York: Sotheby, Parke-Bernet, 1972. 1st ed. Paperback. 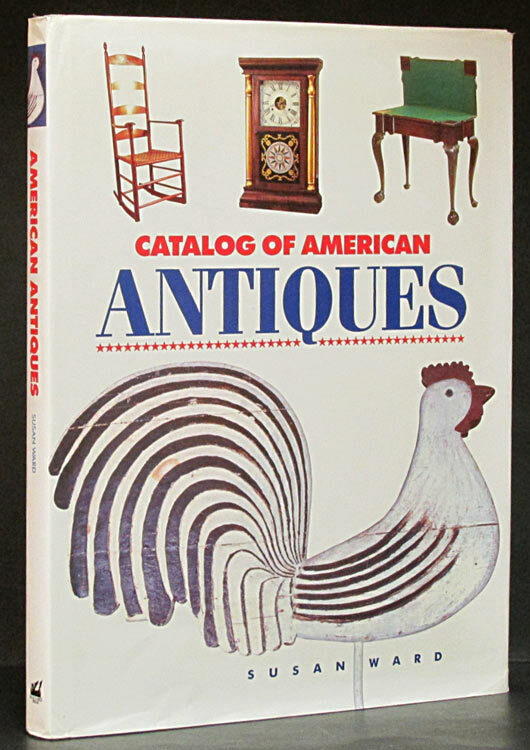 Catalog for auction in New York, 1972 with descriptions and photos of items. Includes prices realized folder printed later. San Antonio: Trinity Univ., 1974. Reprint. 263 pages. Hardcover. Brown canvas-covered boards with paste-on photo of antique food safe. 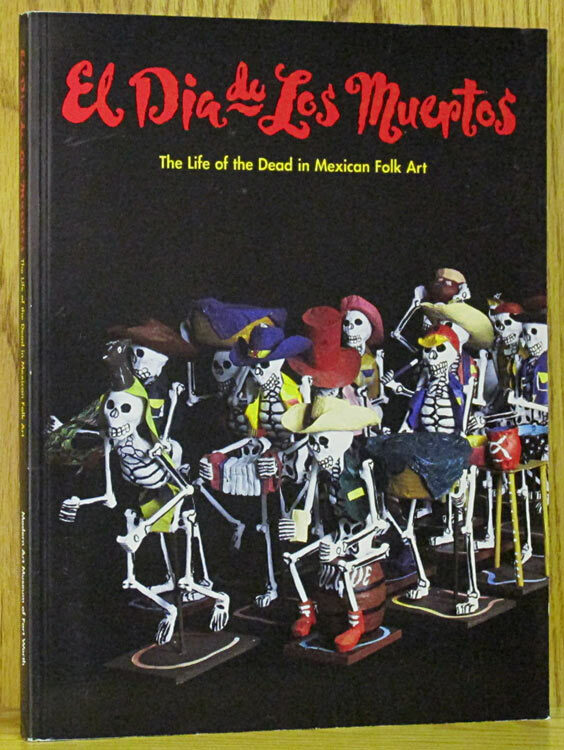 Some color, mostly b/w photos & descriptions of 344 objects included in an exhibition held at the Witte Memorial Museum in San Antonio June-December 1973. Irvine, CA: Irvine Museum, 2002. 1st ed. 196 pages. Hardcover. 0971409234 0-9714092-3-4. The landscapes and buildings of California presented with an Impressionistic flair. Barre, MA: Imprint Society, 1973. Reprint. 150 pages. Hardcover. 087636055X 0-87636-055-X. 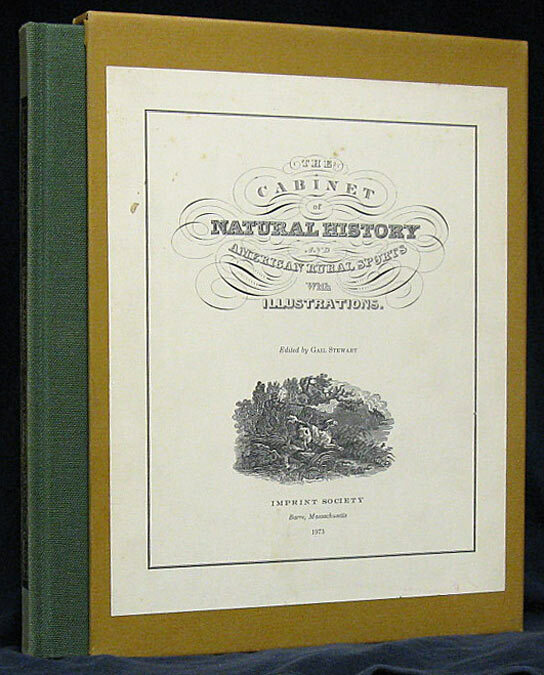 Reprint in one volume of original three annual volumes, 1830-1833, including all 56 plates, 12 in color, by Charles Wilson Peale & William Bartram. Accompanying text has been abridged from original. Franklin Center: Franklin Library, 1977. Reprint. 844 pages. Leather. 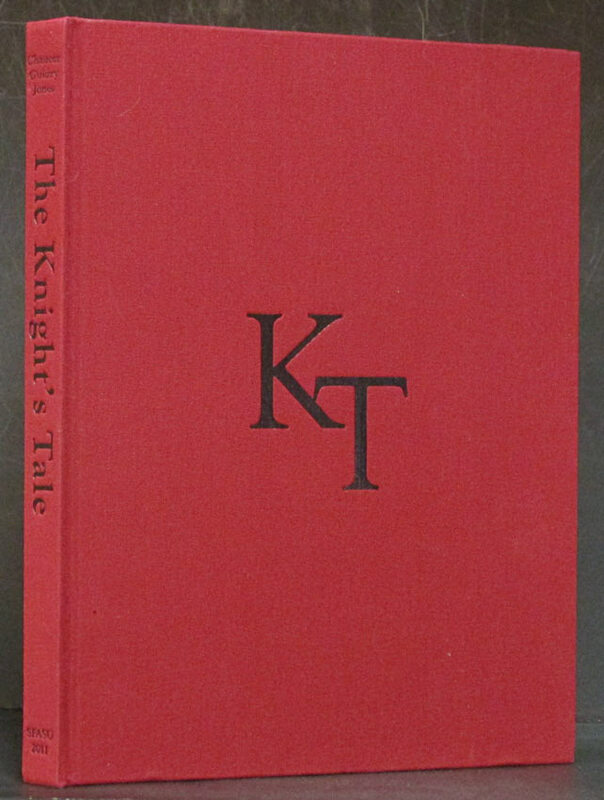 In full red leather, with five raised spine bands, gilt decorations and lettering, moire endpapers and silk ribbon. All edges gilt. SIGNED by the author. 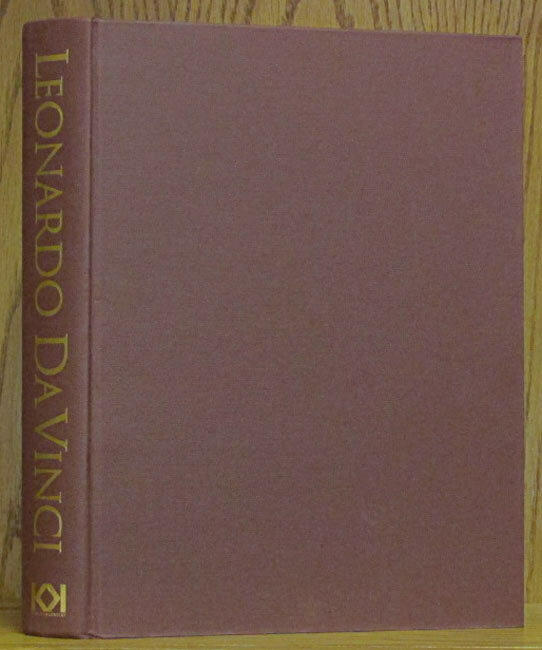 Stone's acclaimed biographic novel of the artist Michelangelo. .
London: Thames & Hudson, 1978. 1st ed. 192 pages. Hardcover. 0500670161 0-500-67016-1. 121 illustrations, 28 in color. 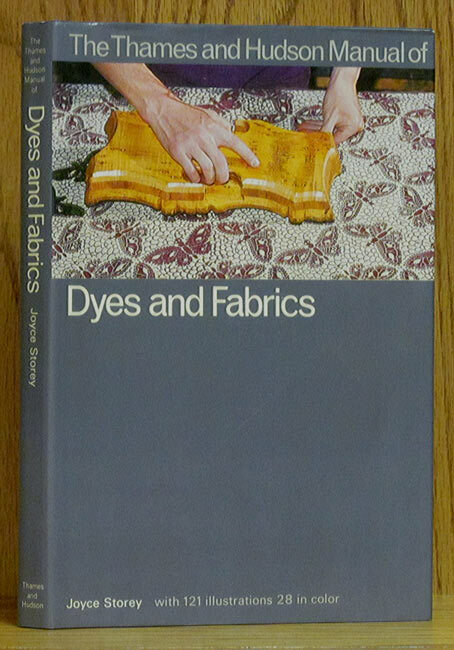 Covers all aspects of textile printing, including information on fibres and fabrics. New York: Harry N. Abrams, 2004. 1st ed. 160 pages. Hardcover. 0810950111 0-8109-5011-1. 100 mostly full-page historical architectural duotone photographs take you back to the city as it was between the wars. 10 x 12 inch format. Westport, CT: Hugh Lauter Levin, 1985. 1st ed. 387 pages. Hardcover. 0883633019 0-88363-301-9. 132 color and 119 black and white illustrations. Reviews, articles, and interviews written by Proust, Zola, Maupassant and others, selected and edited by Stuckey. Beaux Arts Editions. New York: Crescent Books/Crown, 1967. Reprint. 212 pages. Hardcover. Editor's introduction by Harris and a five page appreciation by Symons. 198 b/w plates. 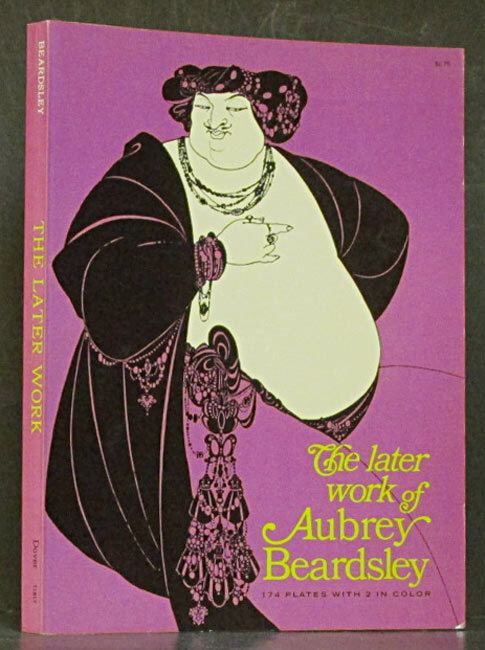 Includes a life list of drawings by Beardsley. 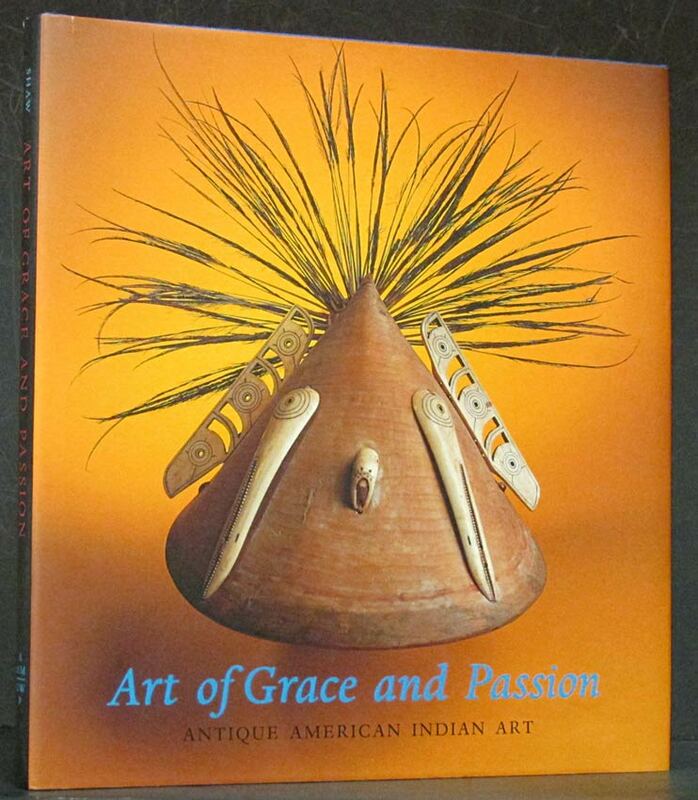 Scottsdale, Az: American Indian Art, Inc, 20. 1st ed. 96 pages. Paperback. Beautiful photos of weaving, jewelry, carving, basketry, and other crafts and arts. Essays about Cree dolls, vertically twined Plateau bags, the Hudson's Bay Collection in the Manitoba Museum, and Zacheriasand the Chicago Settee. College Station: Texas A & M, 1985. 1st ed. 8 pages. Print. 0890962324 0-89096-232-4. 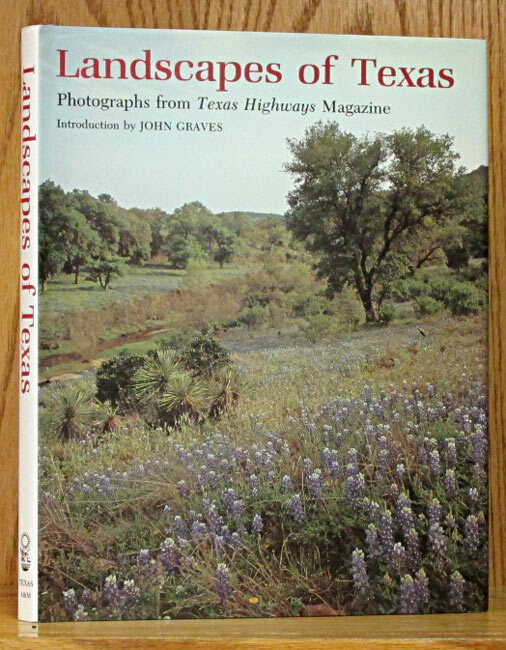 Photographs from Texas Hiways Magazine. 18 X 14 inches, 7 prints suitable for framing. Livonia, MI: Scott Advertising, 1977. Reprint. 159 pages. Hardcover. 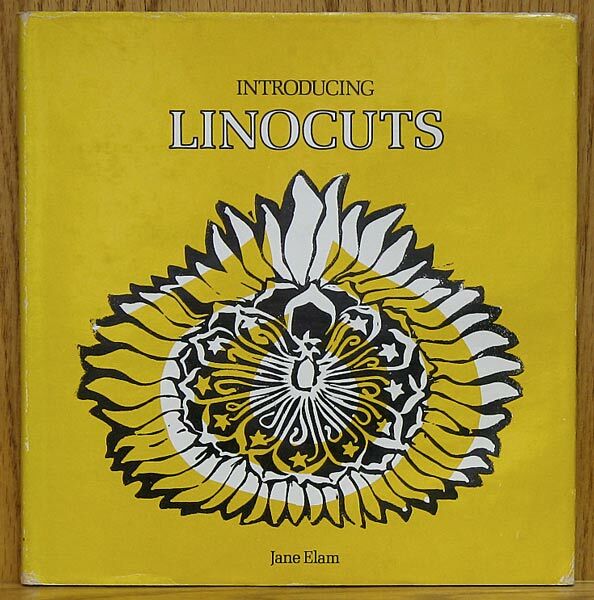 Twenty-five color plates, line drawings of patterns. Step-by-step instructions to paint each style. 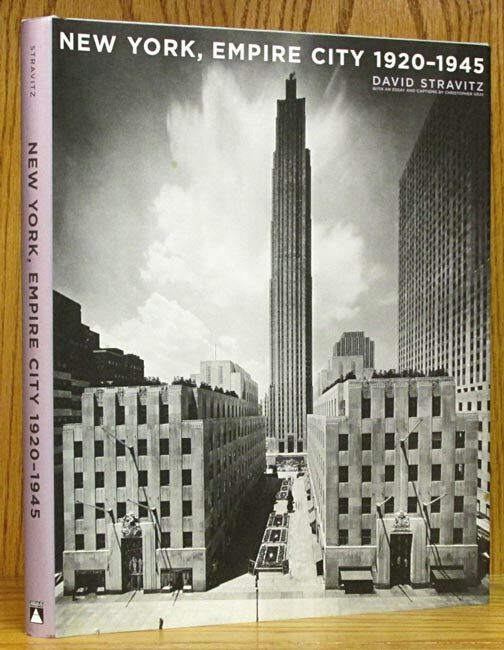 New York: Phaidon, 1954. 424 pages. Hardcover. 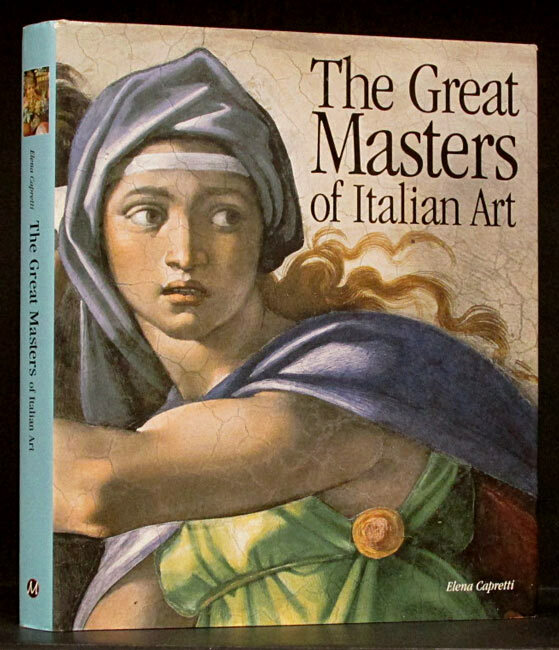 An introduction to the paintings in the famous museums of the Western World, with 300 illustrations, 24 in color, by 143 artists. Mexico: Editorial Proyecta, 2007. 311 pages. Hardcover. 9685943028 9-6859430-2-8. 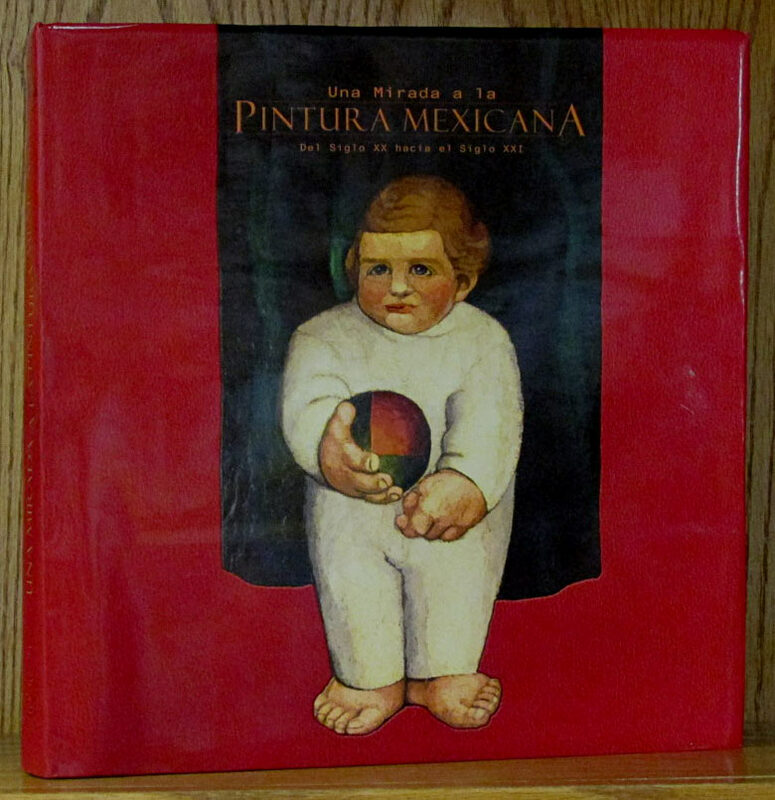 Overview of artists and their work in the twentieth century in Mexico. Very high production values in the printing of the color plates. Text in Spanish, final 35 pages is an English translation of the introduction, prologue, and the biographical sketches of the artists. New York: Knopf, 1993. 1st ed. 268 pages. Hardcover. 0679415513 0-679-41551-3. Growth and change of the world's view of Leonardo. Translucent patterned Dj over gray boards. New York: Dial Press, 1976. 1st ed. 191 pages. Hardcover. 0803705808 0-8037-0580-8. Color photos by Gina Harris and drawings by Janine Kirwan. 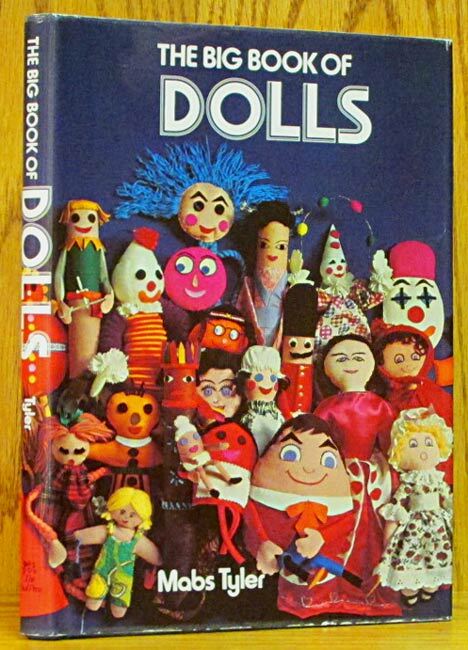 Making dolls from many materials and for many uses. College Station: Texas A & M, 1983. 1st ed. 125 pages. Hardcover. 0890961662 0-89096-166-2. Color paintings in a variety of mediums capture the feel of West Texas. Osceola, WI: Motorbooks International, 1988. Reprint. 208 pages. Hardcover. 087938266X 0-87938-266-X. 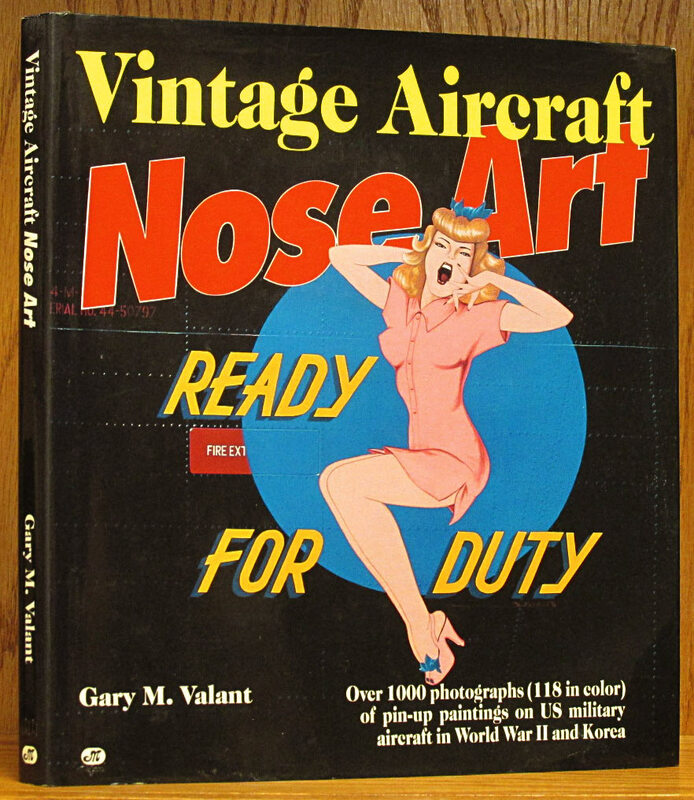 Over 1,000 photos (118 in color) of pin-up paintings on U.S. military aircraft in World War II and Korea. Printed on glossy photogrpahic paper. Mexico, D.F. : BanCrecer, 1993. Reprint. 206 pages. Hardcover. 9687266090 9-6872660-9-0. 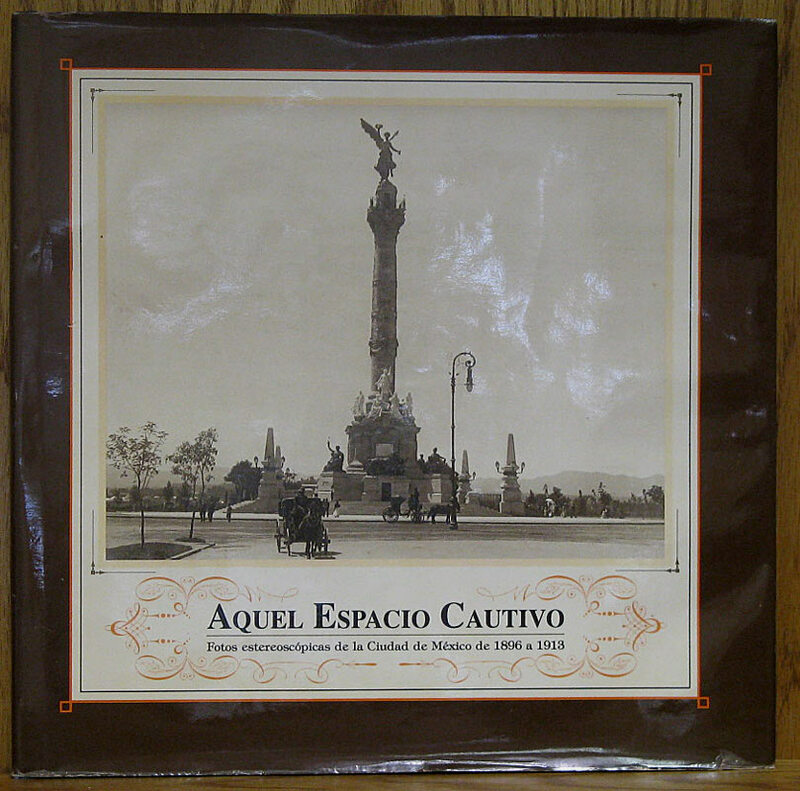 Stereoscopic photos of Mexico City in 1896 to 1913. Can be viewed in 3D using red/blue glasses from pocket inside back board. All text is in Spanish. Dark blue boards with bright gilt titles. Barcelona: Ediciones Poligrafa, 1971. 367 pages. Hardcover. Selected and edited by Joan Prats Valles. English language Dj, text in French, German, Spanish, and English. From the FOTOSCOP Collection of Visual Language. Index of illustrations in separate fold-out for each language. 240 full-page photos, b/w and color. List on Dj flaps of other titles in the collection. White linen boards, pictorial Dj. 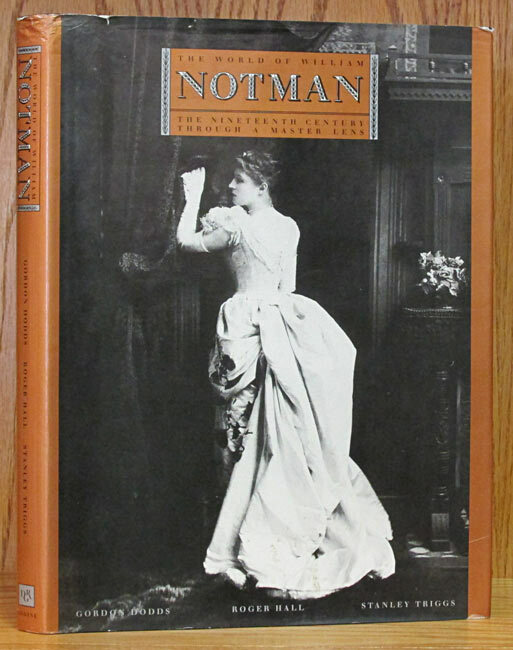 Distributed in U.S. by Tudor Publishing, New York. New Haven: Yale Univ., 1997. 312 pages. Hardcover. 0300073178 0-300-07317-8. 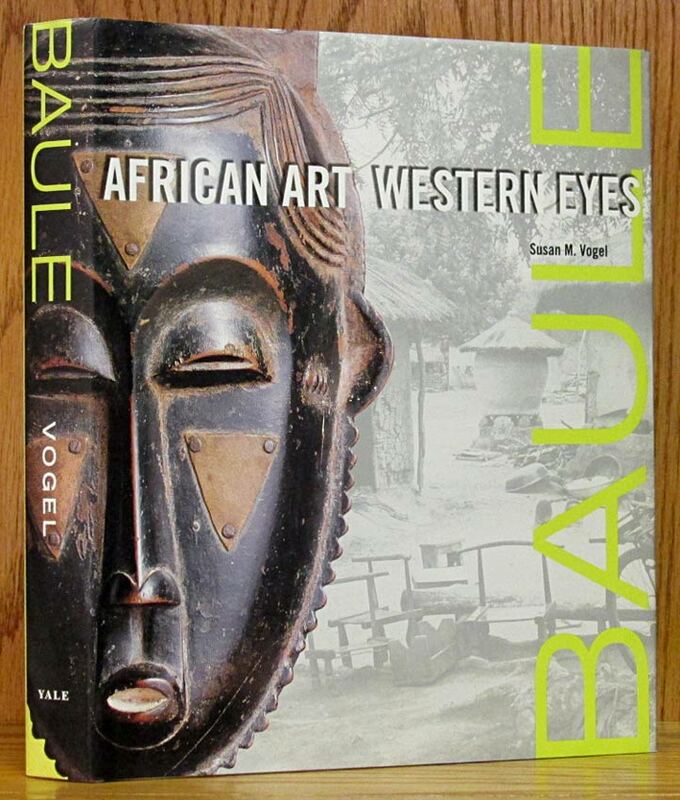 Art of the Baule People of the Ivory Coast, and the history and traditions surrounding it. Field photos made by the author and images of museum objects. Published in association with an exhibition organized by Yale University in cooperation with the Museum of African Art. Glossary, bibliography, checklist of objects, and index. New York: Thames & Hudson, 1984. 1st Am. ed. 160 pages. Hardcover. 0500541019 0-500-54101-9. 136 photos, 95 in color by Charlie Waite, with commentary by Adam Nicolson. London: Spring Books, 1967. Reprint. 250 pages. Hardcover. 21 pages biographical sketch precedes the plates. New York: Mallard/BDD, 1990. 1st ed. 175 pages. Hardcover. 0792450809 0-7924-5080-9. Hundreds of color photos of the best examples of American antiques. Cologne: Taschen, 1991. 216 pages. Paperback. 3822805475 3-8228054-7-5. 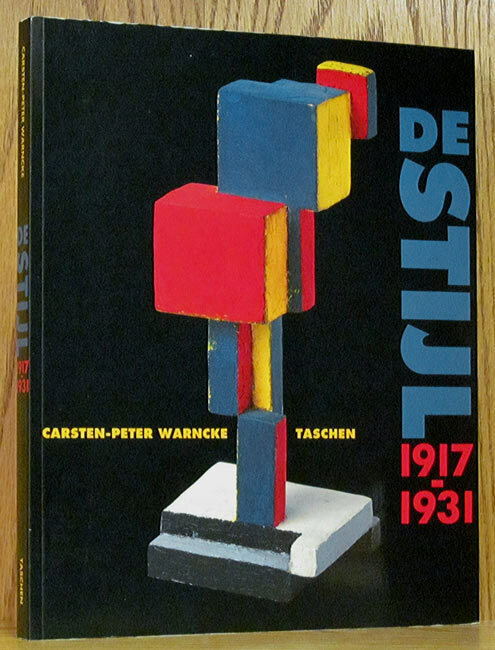 With De Stijl, Dutch artists and architects made a considerable contribution to classical Modernism, and yet the movement is virtually unknown - a situation which this book seeks to remedy. Large format 9.4 x 11.7 inches. Color & b/w photos & illustrations. New York: Drama Book, 1987. 1st Am. ed. 160 pages. Hardcover. 0896760944 0-89676-094-4. Over 1,000 b/w drawings detail every nuance of headcoverings, fans, gloves, umbrallas, bags, and shoes. FFEP removed, library stamp on top edge. New York: Harry N. Abrams, 1974. Reprint. 179 pages. Hardcover. 0810902621 0-8109-0262-1. 139 illustrations, including 48 hand-tipped plates in color. Second printing. 10 x 13 inch format. New York: Hearthside, 1959. 1st ed. 128 pages. Hardcover. How to make and judge Japanese flower arrangements in seven styles: Ikebana, Ikenobo, Nageire, Heika, Moribana, Morimono, & modern Japanese free-style. Includes standard system of judging, scale of points, basic divisions, and staging exhibitions. Inscribed, signed, and corrected by the author. Dj not PC, no chips, but lightly foxed all over, and a paper clip mark at top of rear. New York: Abrams, 1954. 1st ed. 257 pages. Hardcover. 167 plates, many in color and numerous fold-outs provide an insight to the collections. Included is a history of the museum. Wynnewood, PA: Livingston,. 160 pages. Hardcover. Translated from the French by Eva Cooper & profusely illustrated, this one traces the theme of the human figure through prehistoric & primitive art & each era through-out the world to the 20th century. San Antonio: Trinity Univ., 1977. 51 pages. Hardcover. 0911536701 0-911536-70-1. 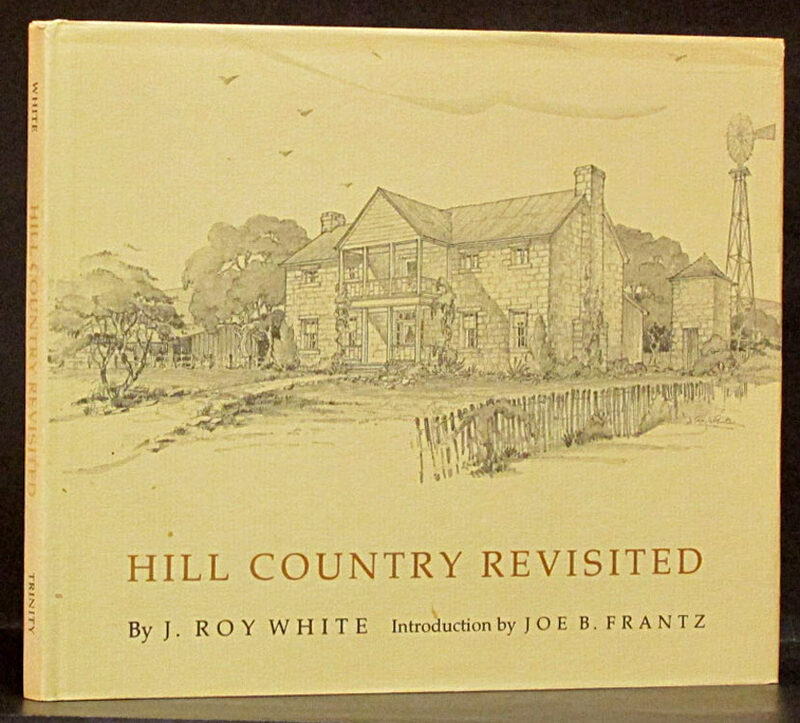 A fine collection of White's sketches of scenes from the Texas Hill Country. Introduction by Joe B. Frantz. Belfast: Appletree Press, 1997. 1st ed. Hardcover. 0862816645 0-86281-664-5. 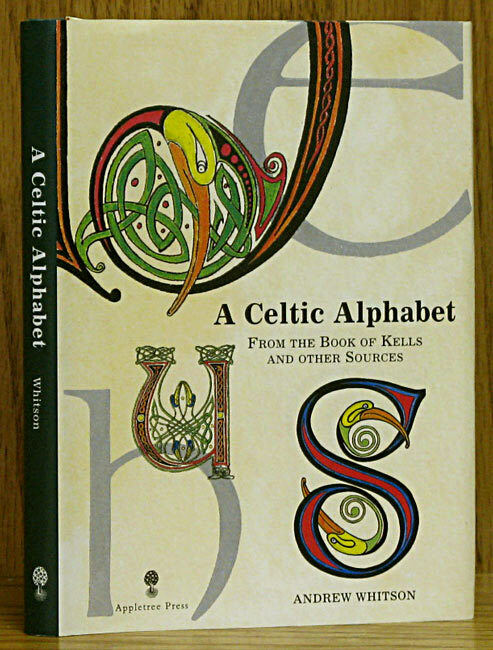 A complete aalphabet of Celtic letters, based on original sources. Color illustrations throughout. Secaucus, NJ: Chartwell Books, 1972. 351 pages. Hardcover. 089009649X 0-89009-649-X. 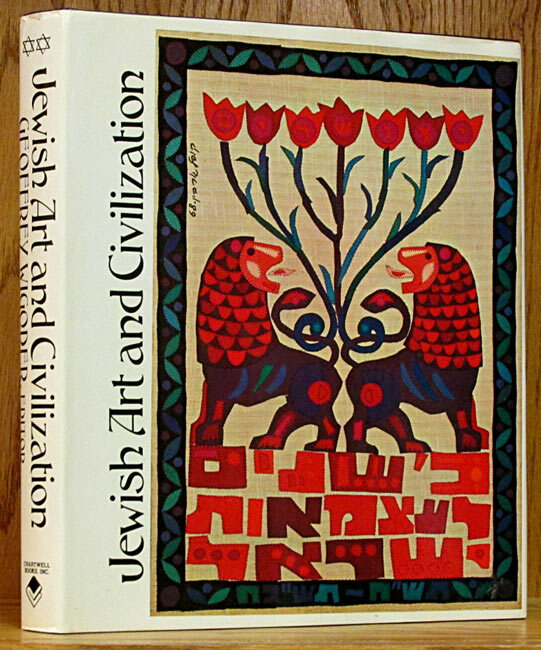 Good history of art, sculpture, tapestries, icons and cultural artifacts of the Jewish peoples. Lots of b/w and some color photos & illustrations. Arranged geographically. Bibliography & glossary. Large 10 x 12 inch format. Suffolk UK: Antique Collectors' Club, 2002. 1st ed. 295 pages. Hardcover. 1851493646 1-85149-364-6. History of the company and information on artists, workers, and administrators. B/w photos and many b/w and color illustrations of the wares. Beaverton, OR: Beautiful America, 1978. 1st ed. 72 pages. Paperback. 0915796740 0-915796-74-0. 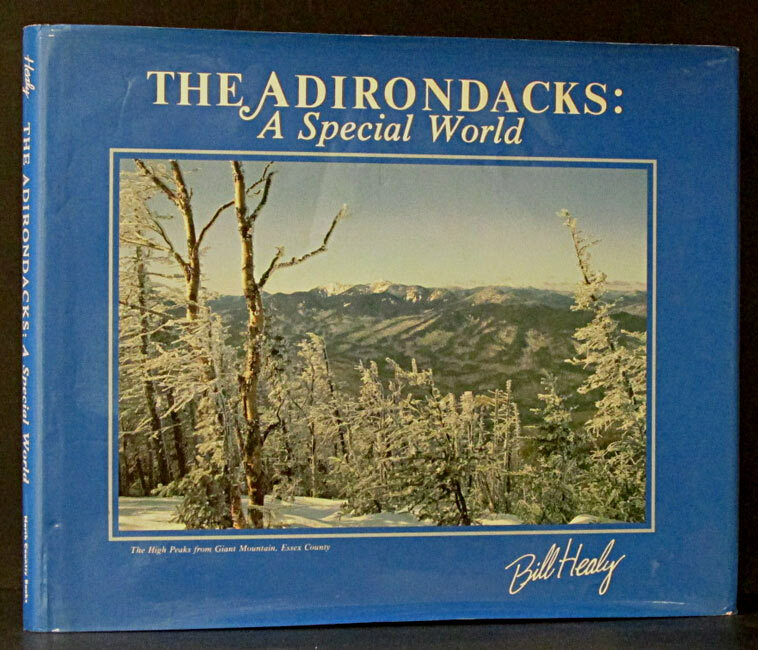 Full page color photos of scenic views throughout the state, with one to three page essay about each region. Chicago: Wilton, 1976. 5th ed. 223 pages. Hardcover. Illustrated throughout with b/w and color photos. Smithville, TX: Morningtown Press, 1991. Limited ed. 107 pages. Hardcover. 0962709611 0-9627096-1-1. Number 33 of Special Limited Edition of 100. Quarter dark blue leather, gilt title on spine. Heavy linen boards with paste-on image and title. 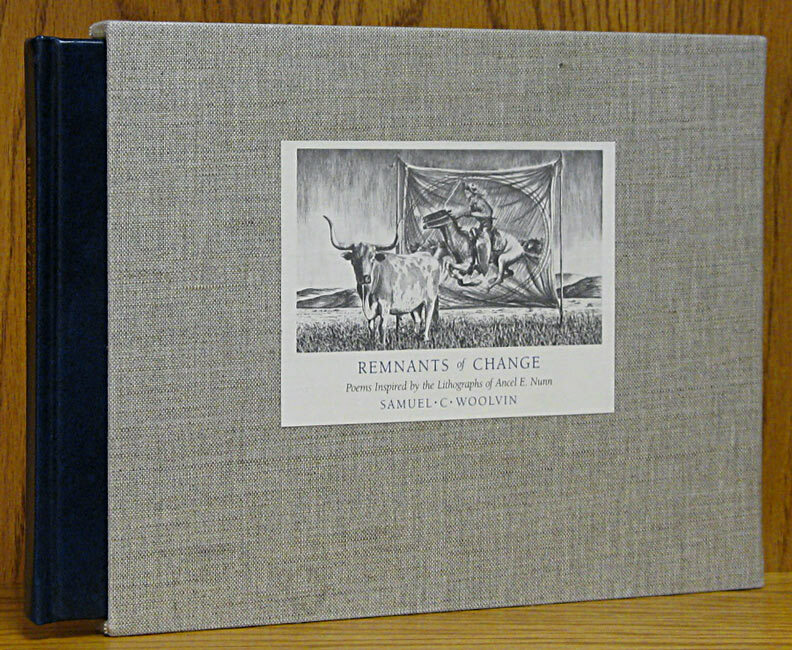 The slipcase is also heavy linen with same image and title paste-on. Book and slip case in pristine condition. Signed on the half-title page by Samuel Woolvin, Ancel Nunn, and Bill Porterfield, who wrote the foreword. Numbered on the same page 33/100. Designed and produced by Whitehead and Whitehead. 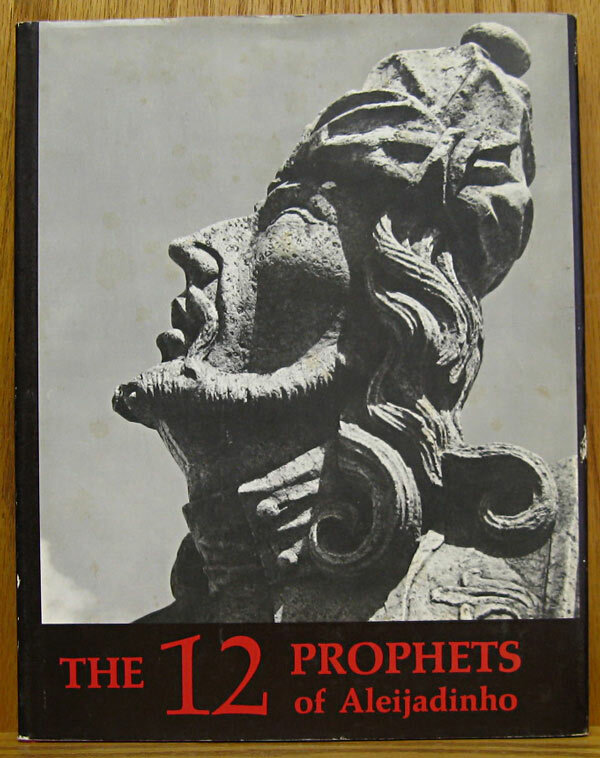 Santa Fe: Ancient City Press, 1984. Reprint. 132 pages. Paperback. 0941270181 0-941270-18-1. Line drawings of various pieces and the typical joinery and motifs used. No dimensions given. Miami, FL: Serious Studios, 2002. 1st ed. 62 pages. Paperback. 0976273101 0-9762731-0-1. Inscribed and signed by the author/artist. Dublin, NH: Yankee Books, 1988. Reprint. 160 pages. Hardcover. 0899091644 0-89909-164-4. Project designs and instructions for stencilling, papercutting, wood carving, antiquing and much more. 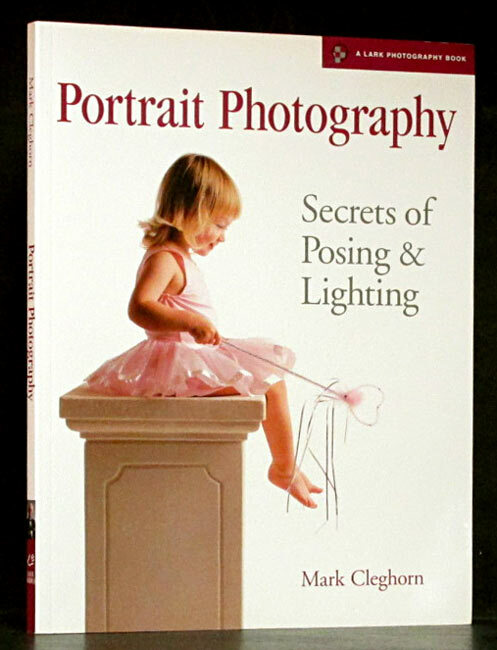 Photos and drawings on every page. Hong Kong: Galerie Du Monde, 1995. Limited ed. 152 pages. Hardcover. 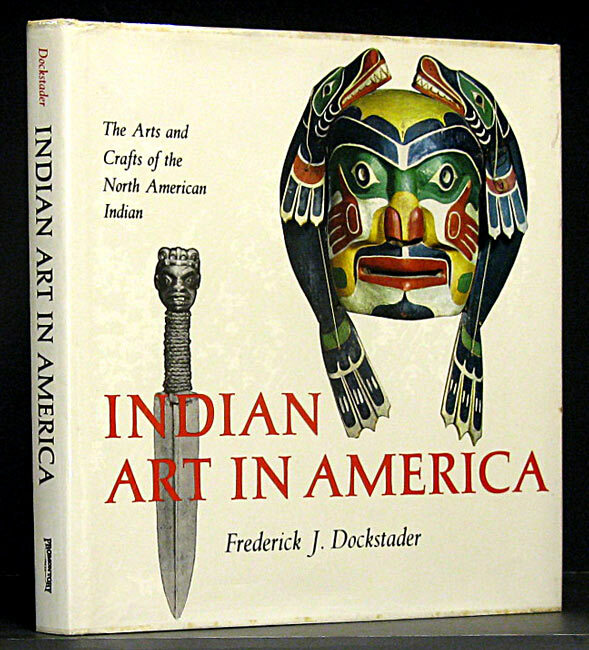 Foreword in English by Fred W. Scholle. (Repeated in Chinese) Biographical outline in English and Chinese. 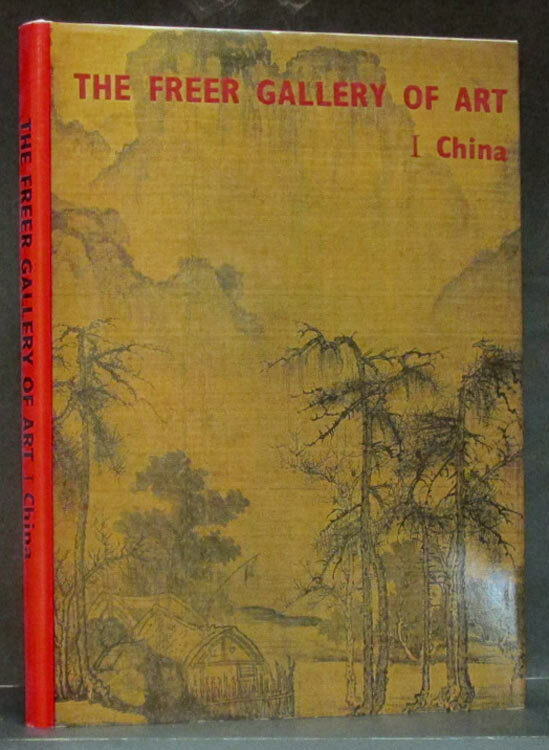 Alphabetical index of painting titles with page numbers in English and Chinese. Boldly signed by the artist and numbered 19/500. Subject To Prior Sale: Unfortunately, many of the out-of-print items are one-of-a-kind and sell quickly. We try to keep our database up-to-date (usually weekly). Returns: We strive to accurately describe our listings. Items are returnable with permission if not as described for a full refund. Shipping: We are in the business of selling books, not making money on shipping. We strive to be reasonable and pack your items carefully. Sets and heavy items or items requiring special packaging will be quoted. 4th Class: $3.50 first book, $0.50 each additional. PRIORITY MAIL: Postal Rate changes based on weight and distance have made it impossible to quote Priority Mail without knowing your location. Please advise and we will gladly quote your options. FOREIGN SHIPMENTS: We will gladly quote your shipping options. Here is a link to the USPS International Rate Calculator. We accept PayPal, VISA & MasterCard, Discover and checks. Libraries and institutions may be billed with a purchase order. CATALOG HELP: To be brief, this catalog has links to send email to inquire on, order or reserve books. If your email program does not support the ?subject= command, then you might have to edit the To: address to delete any characters after the .com. To increase or decrease the size of the text, use your browser's View - Text Size command.